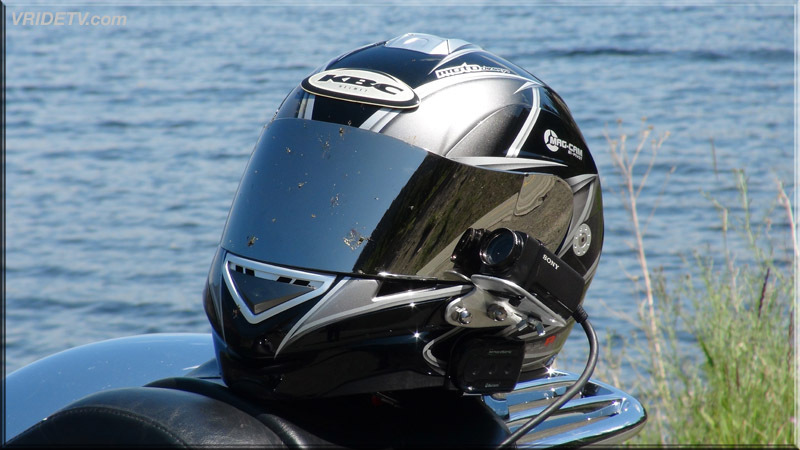 March 9th, 2012: New High definition video has been posted featuring: Motorcycle touring and travel in Kananaskis Country, it's filled with beautiful scenery, wildlife and windy roads. 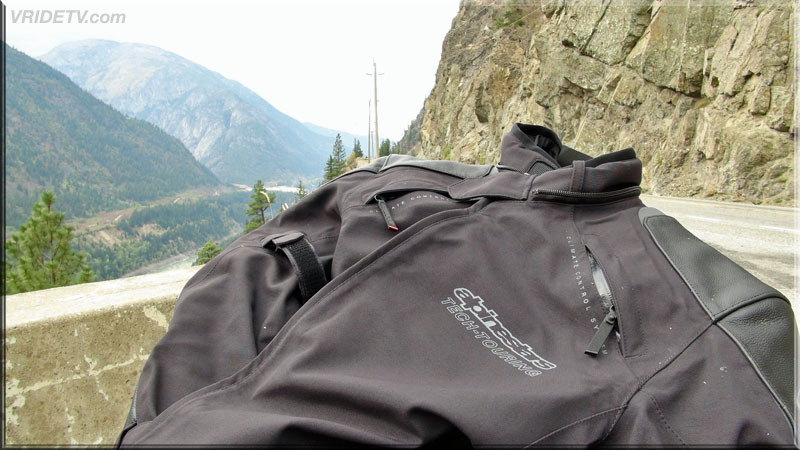 The Kananaskis Trail (Highway 40) begins about 20 minutes East of Canmore Alberta and is definitely one of my top five favourite roads to ride. 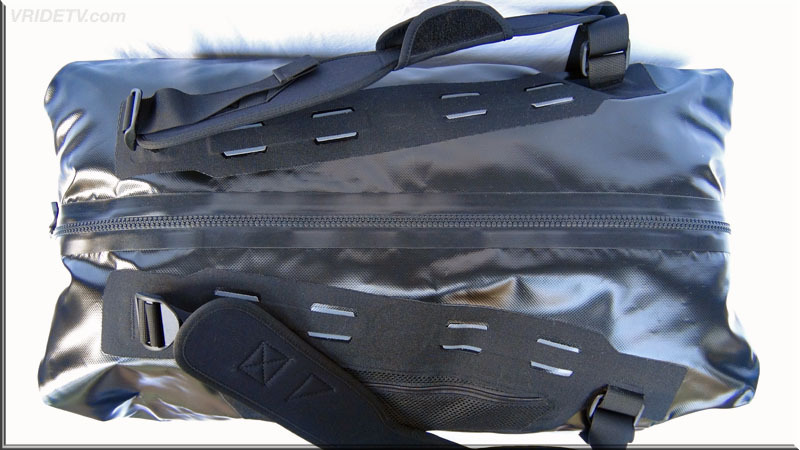 I was very fortunate to capture footage of Rocky Mountain sheep at the beginning and end of this video. 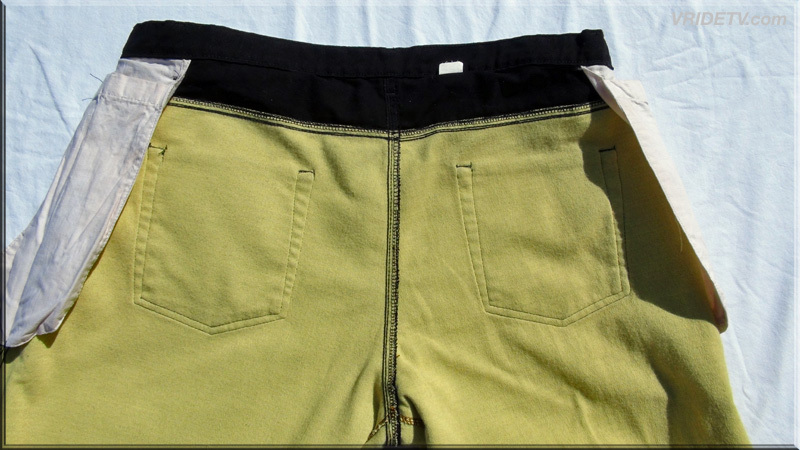 click here for more video info, images and map of area. 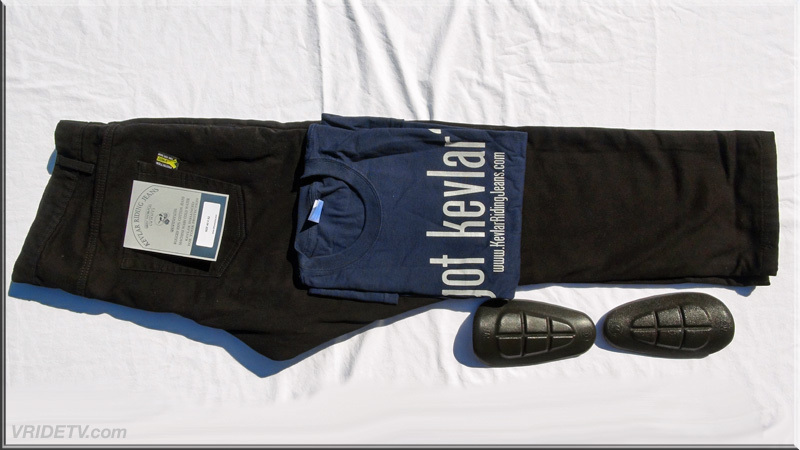 Protect your legs, hips and knees, with our Kevlar Jeans, they cover you where it counts, yet they are so comfortable you may forget you're wearing Abrasion Protection. 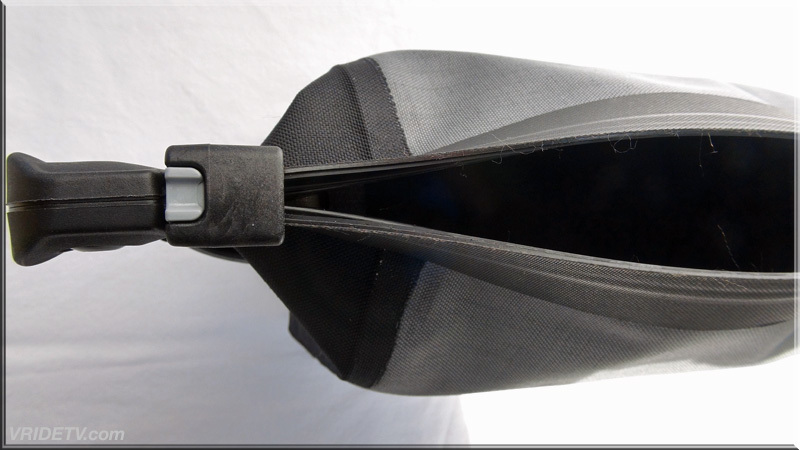 That's because our Kevlar Jeans have flexible woven Kevlar in the seat, hips, and knees all the way down the front and back for Full Coverage Protection! 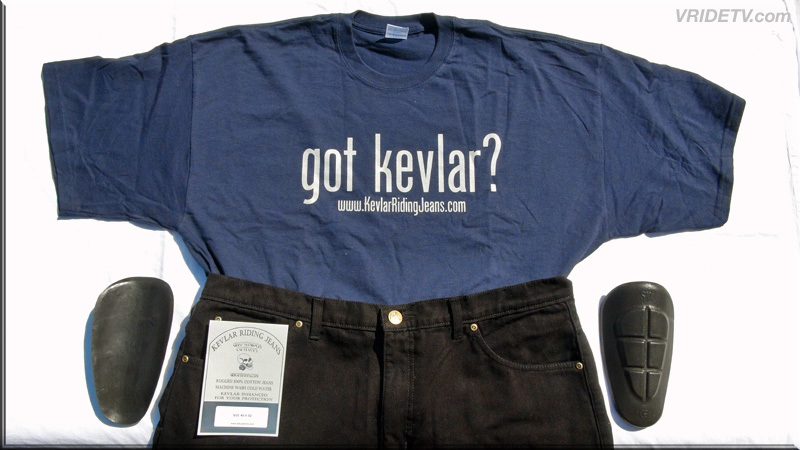 The Blue Kevlar Riding Jean is a Heavy-Weight Pre-Washed Blue Denim with a 200 weight Kevlar. 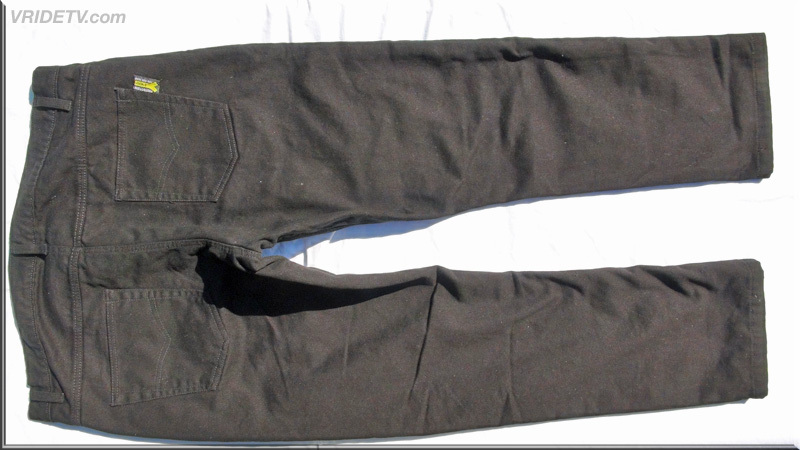 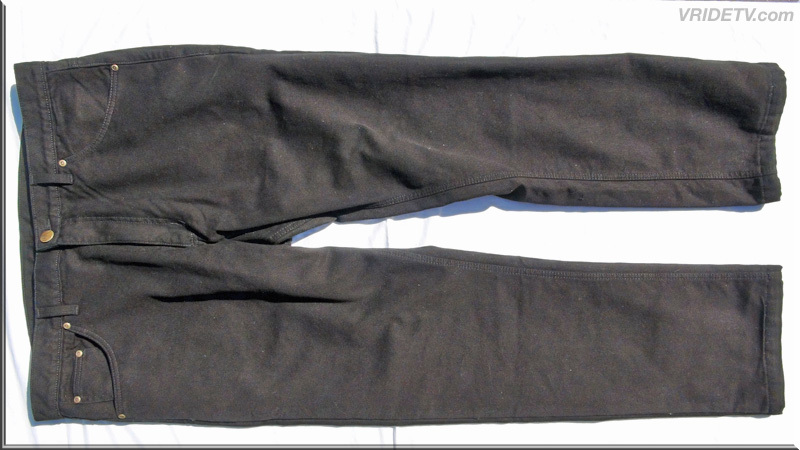 Our Pre-Washed Black Denim Riding Jean is the same but in Classic Black. 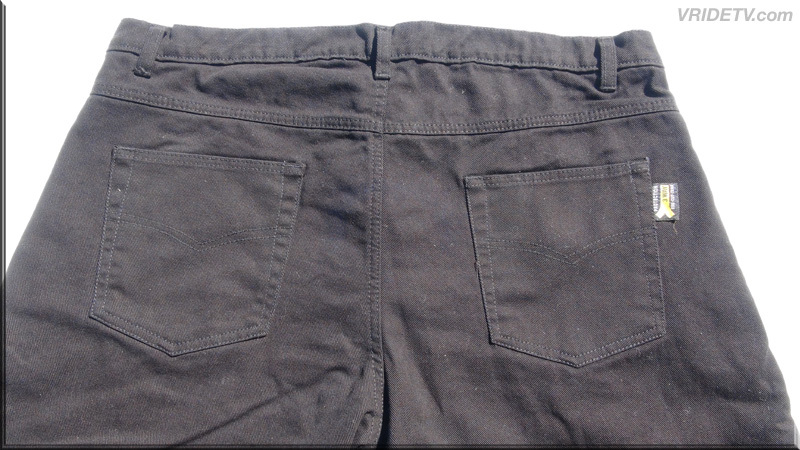 LEVI Cut for that comfortable fit that you Know and Love! 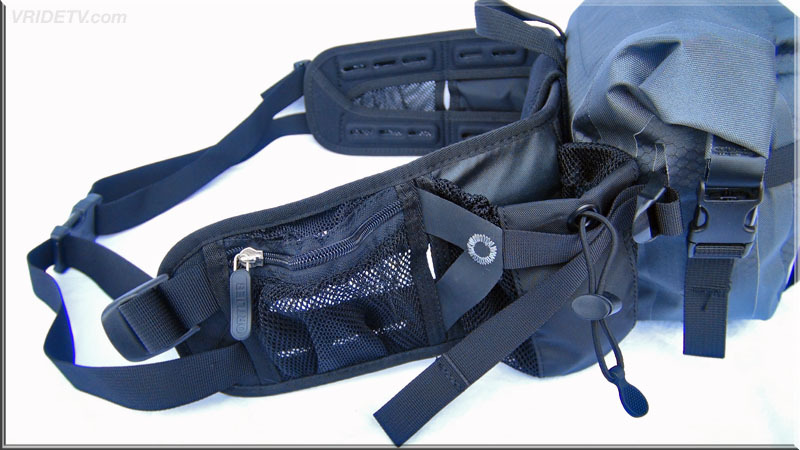 Also they have Two Hidden "pouches" for the "Hip Protectors" that are included, or you can stash Money or Registration etc. 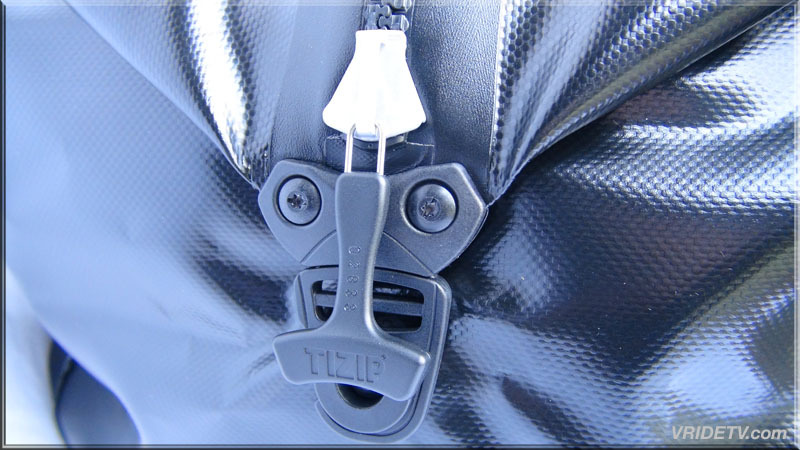 in the Pouch instead! 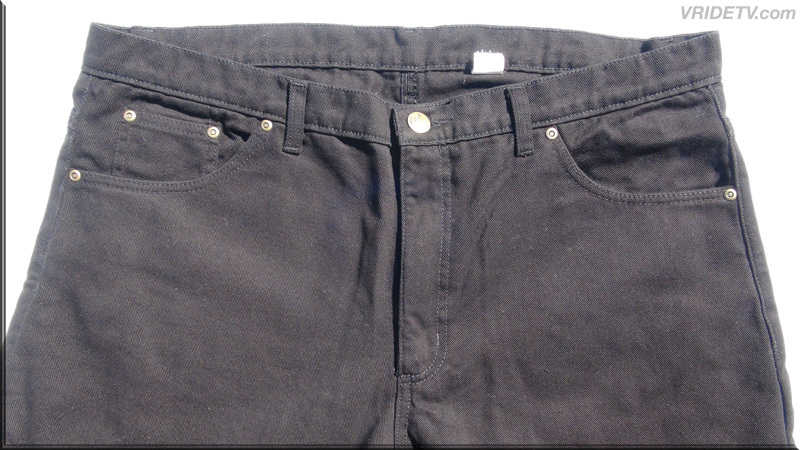 June 7th 2012: This one is for all our female viewers. 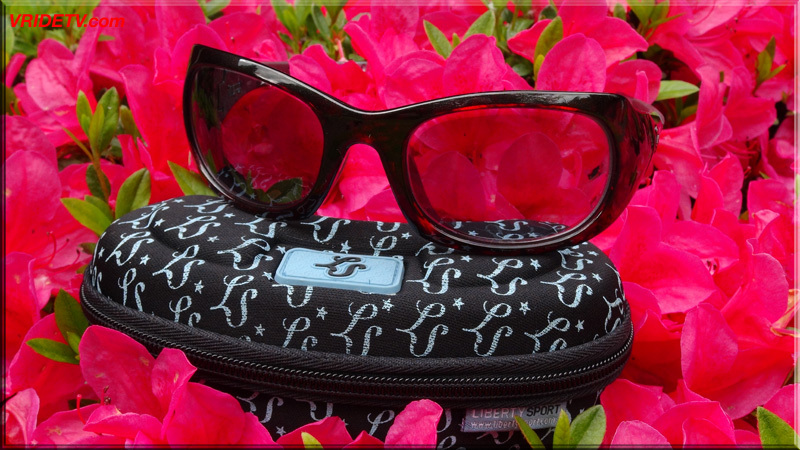 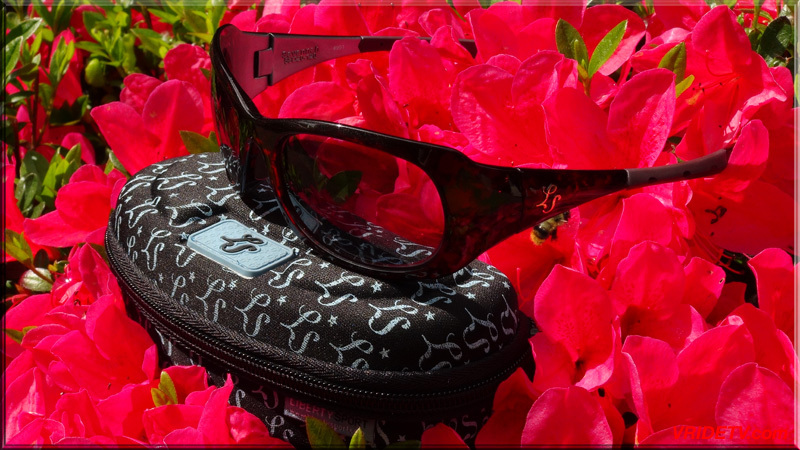 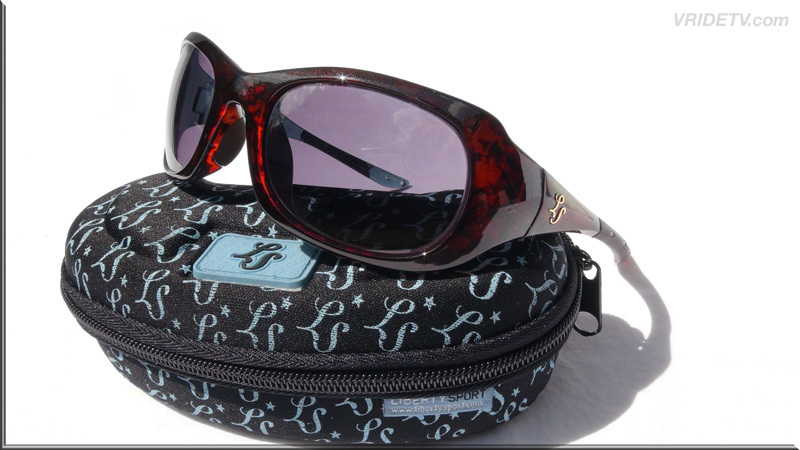 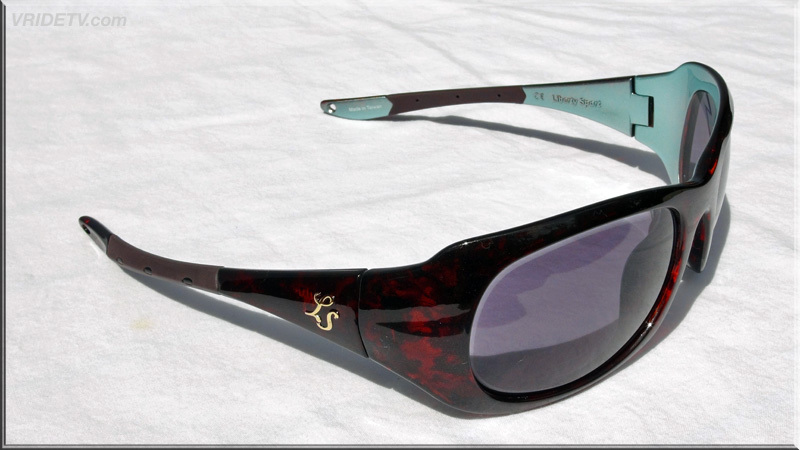 Our sponsor Liberty Sport Performance Eyewear has sent this pair of Savannah glasses for every day living. 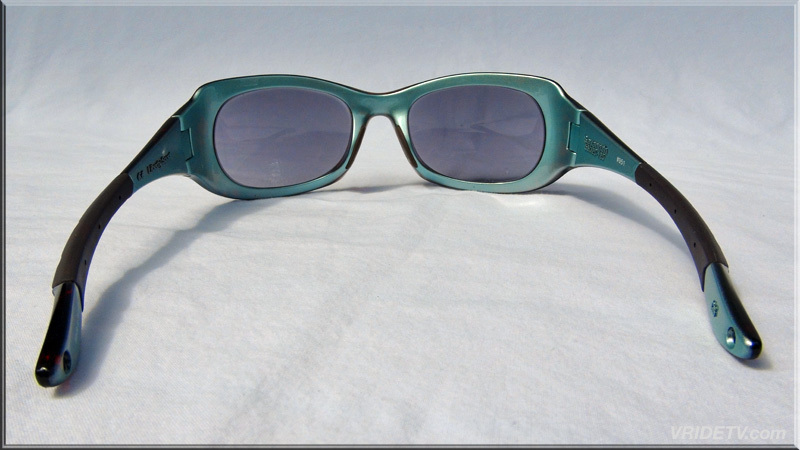 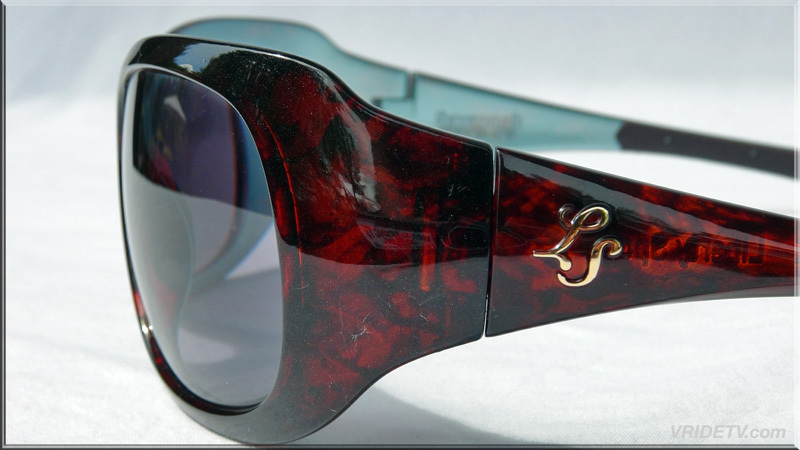 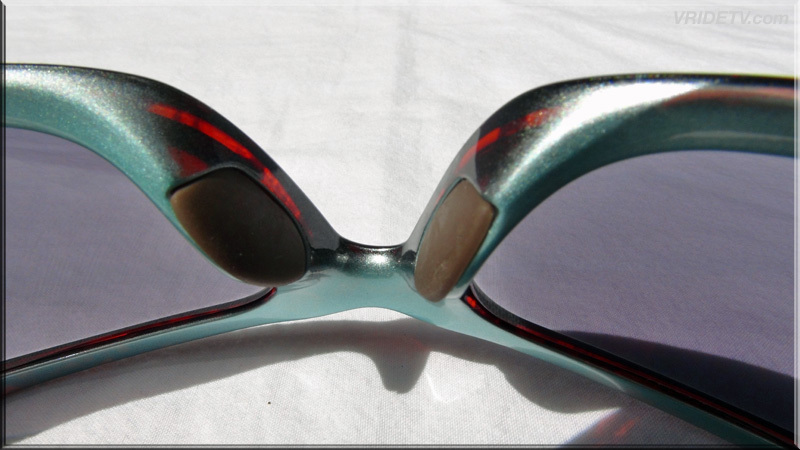 Diane will be doing a full review on the Savannah glasses after she has worn them awhile. 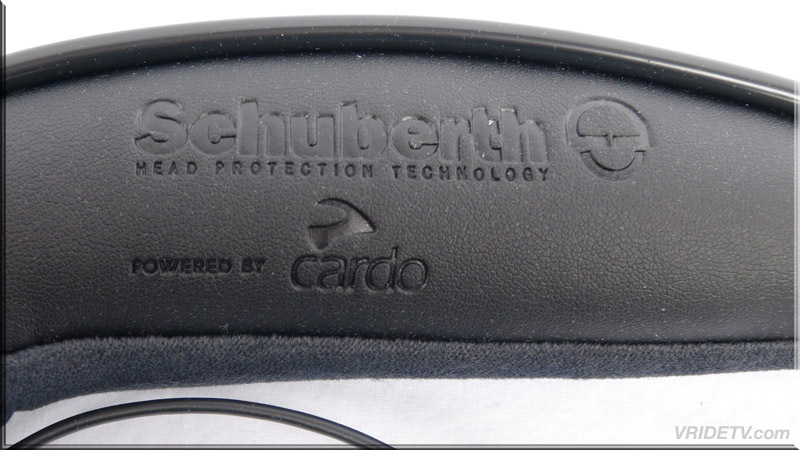 Till then, here are some of the key features. 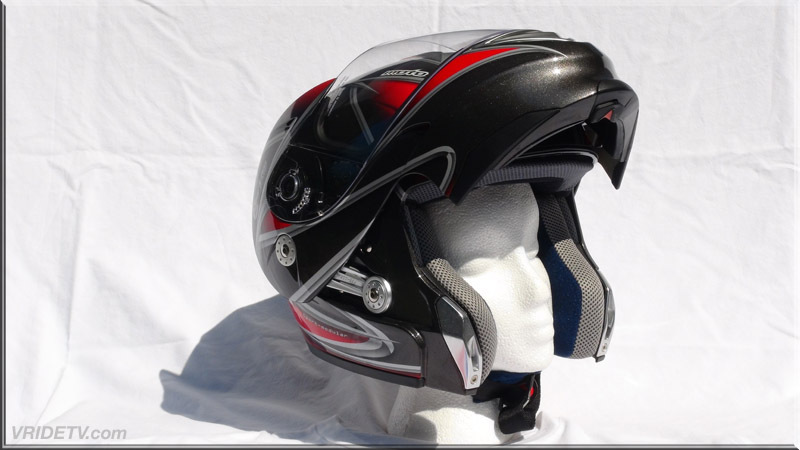 Any activity: Motorcycling, cycling, golf, general sports, scuba diving, swimming, water sports, and more, Liberty Sport has your eyes covered. 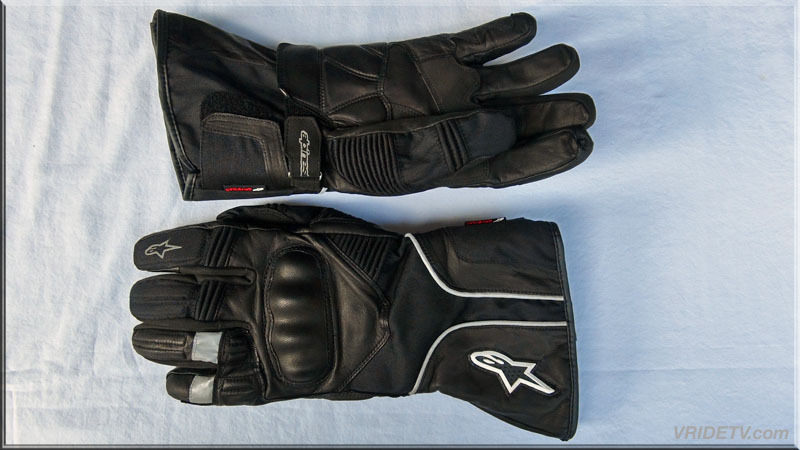 June 8th 2012: Special thanks to our sponsor Alpinestars for sending a pair of their SP-1 Sport Performance riding gloves for this riding season. 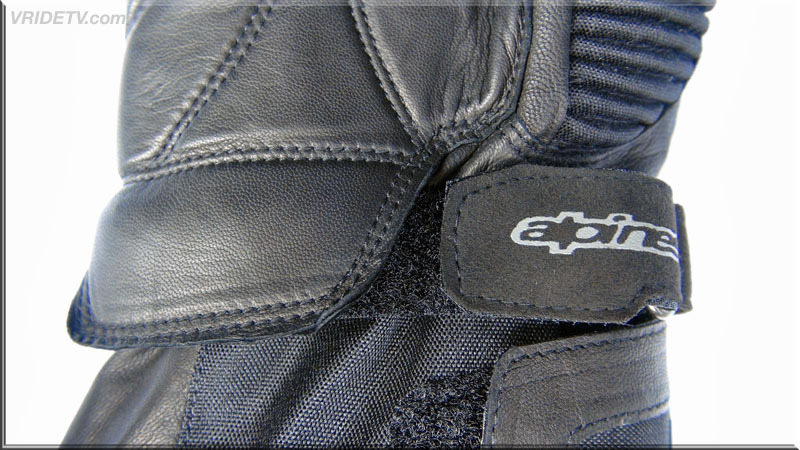 I will be doing a full review on these impressive gloves after I've used them awhile. 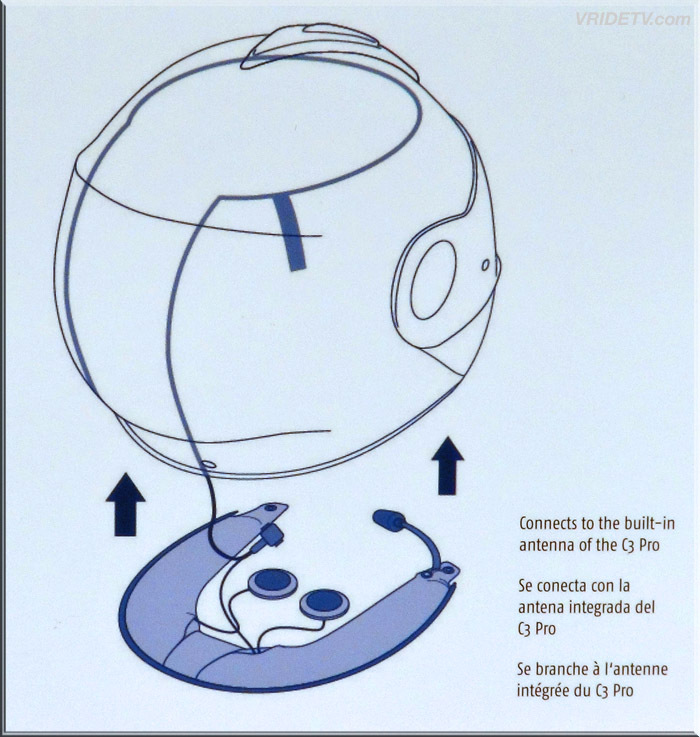 Till then, here are some of the incredible features. 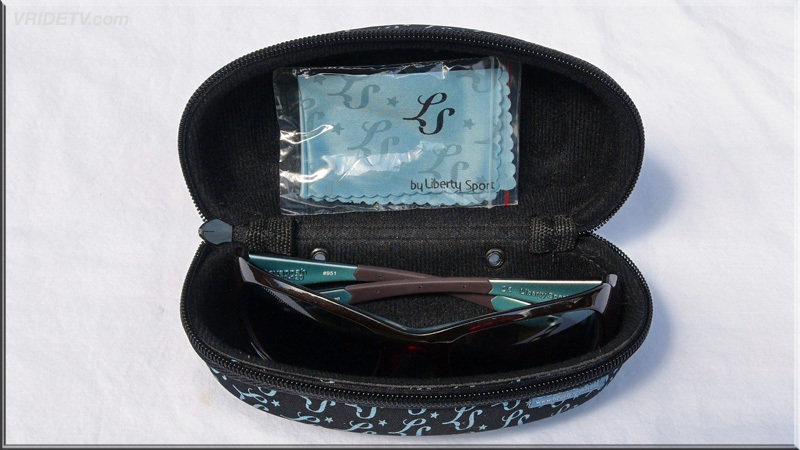 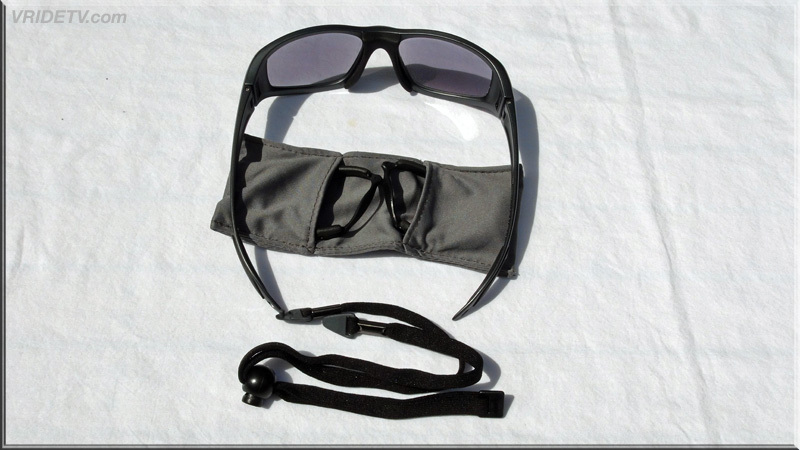 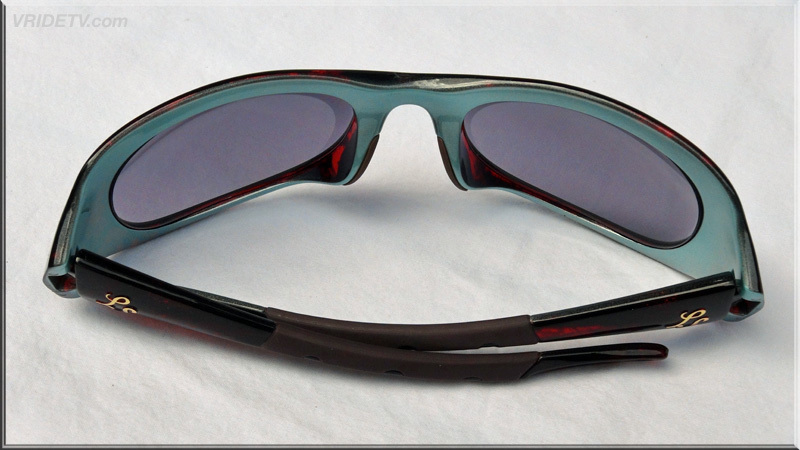 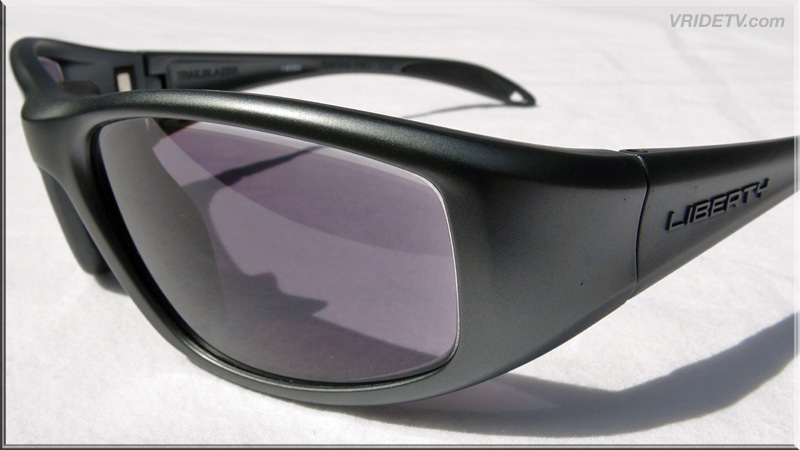 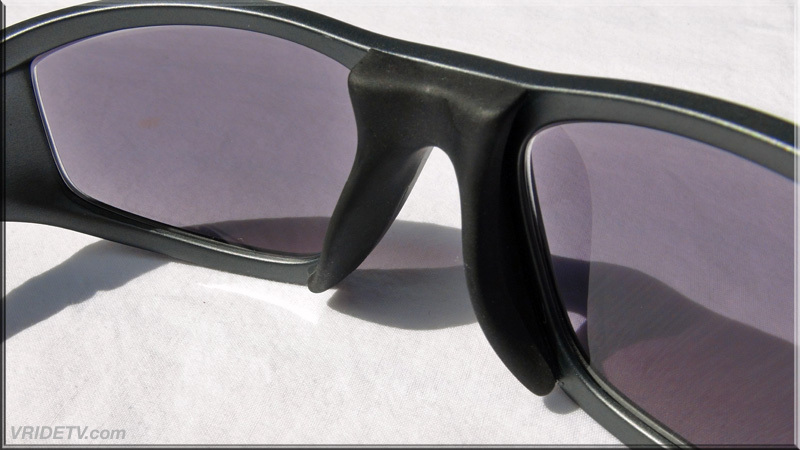 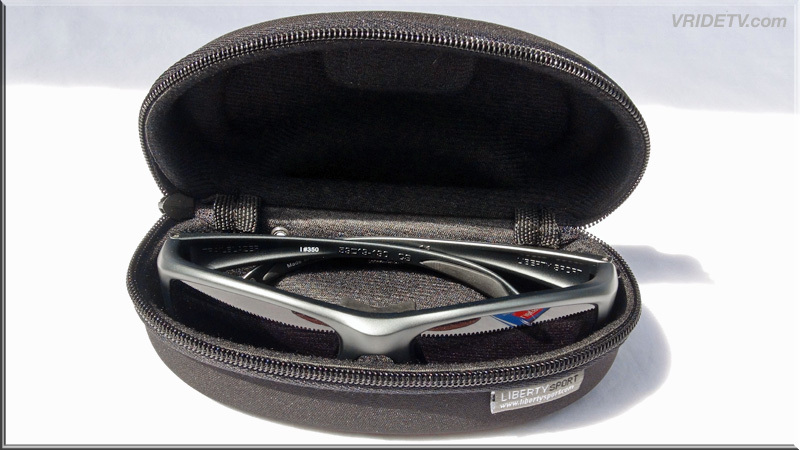 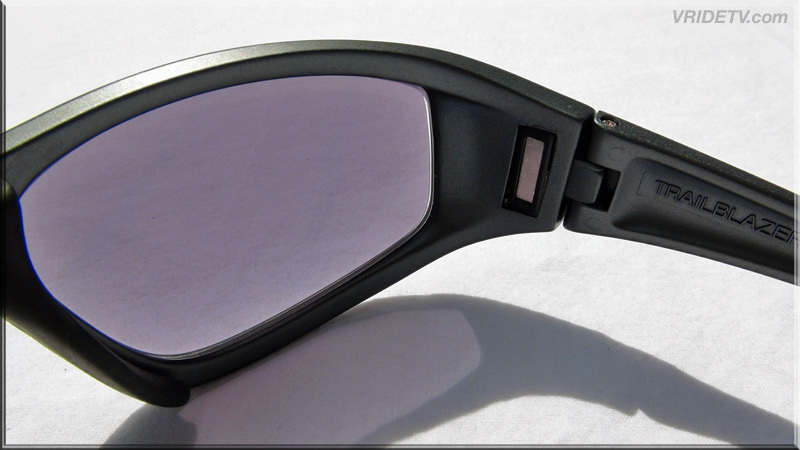 June 12th, 2012: Our sponsor Liberty Sport Performance Eyewear has sent this pair of Trailerblazer glasses for this riding season. 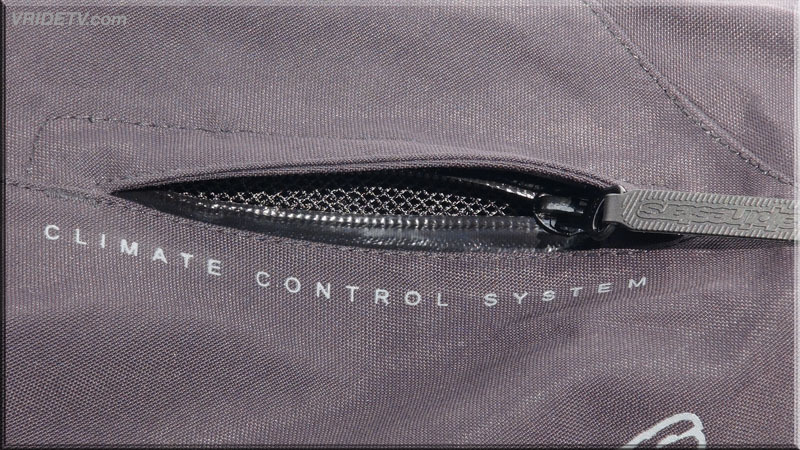 here are some of the key features. 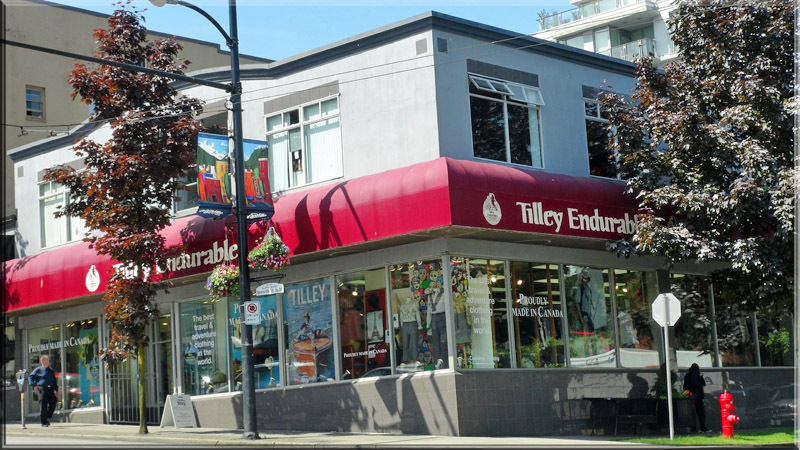 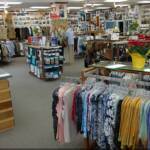 June 22nd, 2012: Special thanks to Tilley Endurables Western Store in Vancouver British Columbia for their continued sponsorship. 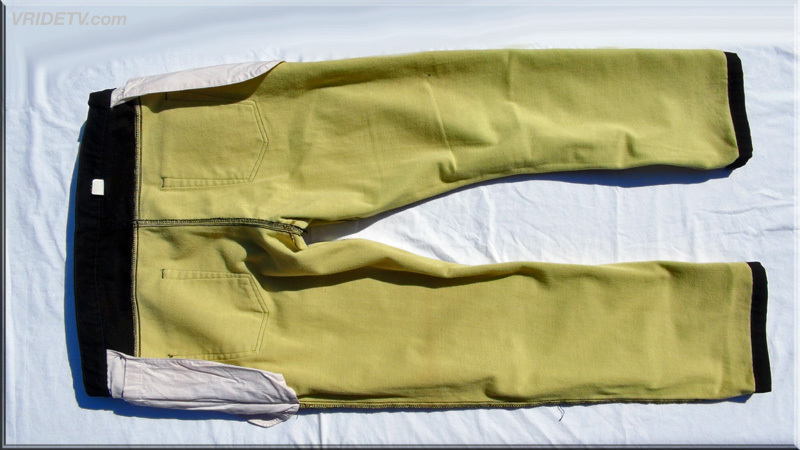 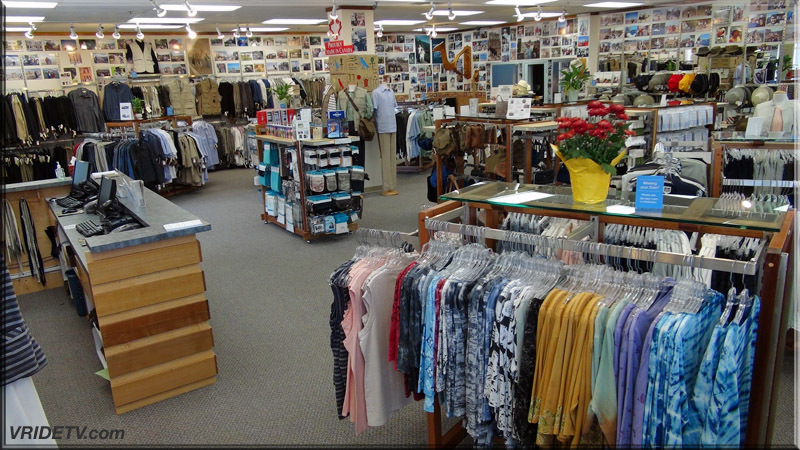 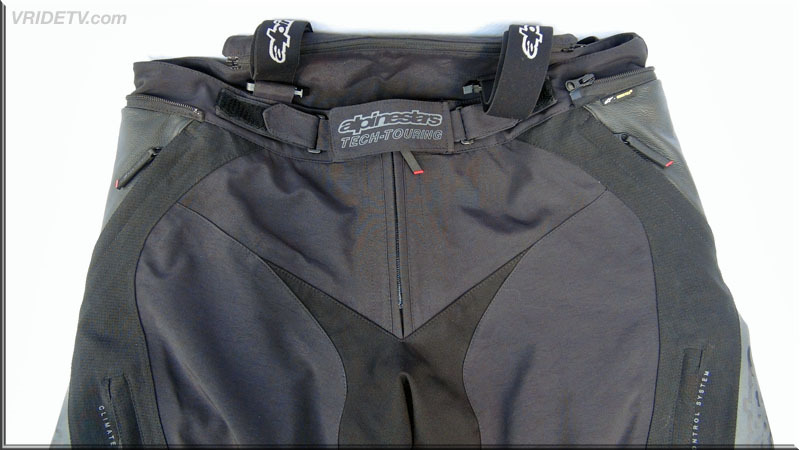 We have enjoyed their world renowned travel apparel and appreciate the comfort that it offers after a long day of riding. 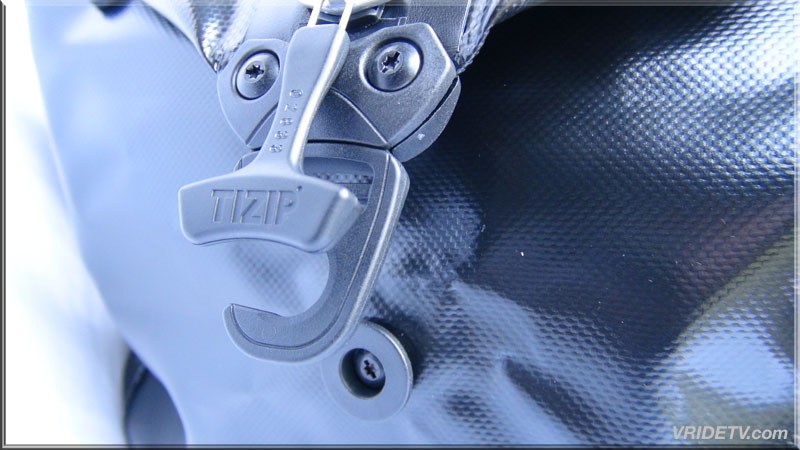 Visit our review page for all of the Tilley products that we are currently using. 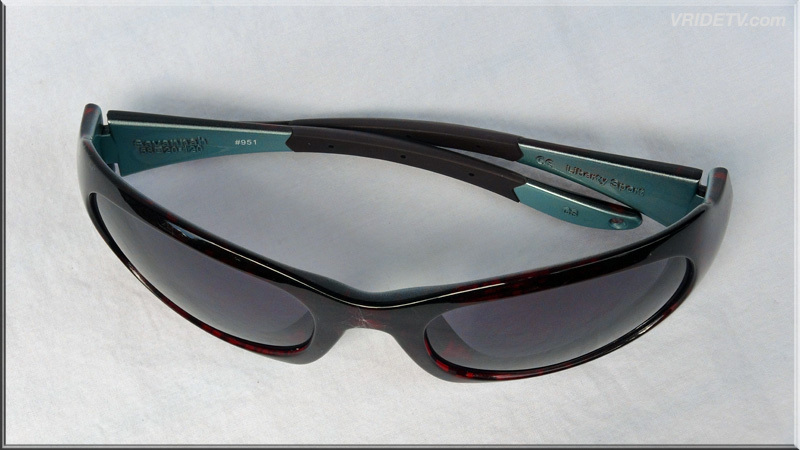 They are itemized with hyper links to their designated Tilley pages. 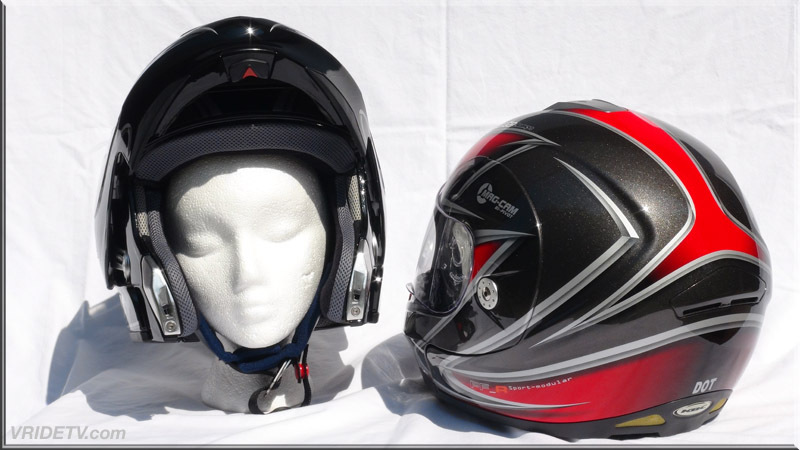 June 29th, 2012: New High definition video has been posted featuring: Celebrating World Ride Day in Langley, British Columbia. 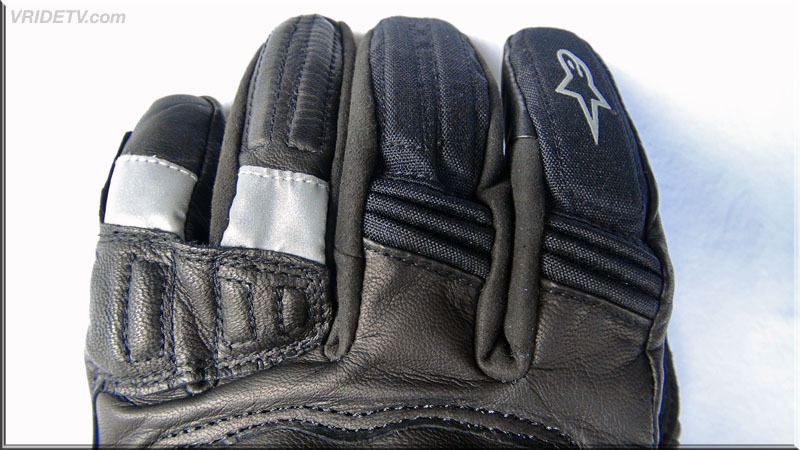 On June 24 & 25 Harley-Davidson asked riders to participate in World Ride Day and register their milage on those days to "Take Over the World". 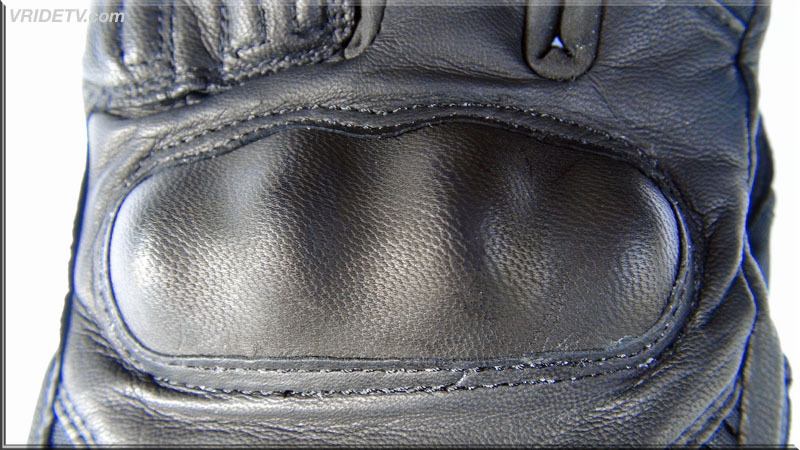 The total collective millage registered so far is 7.5 million. 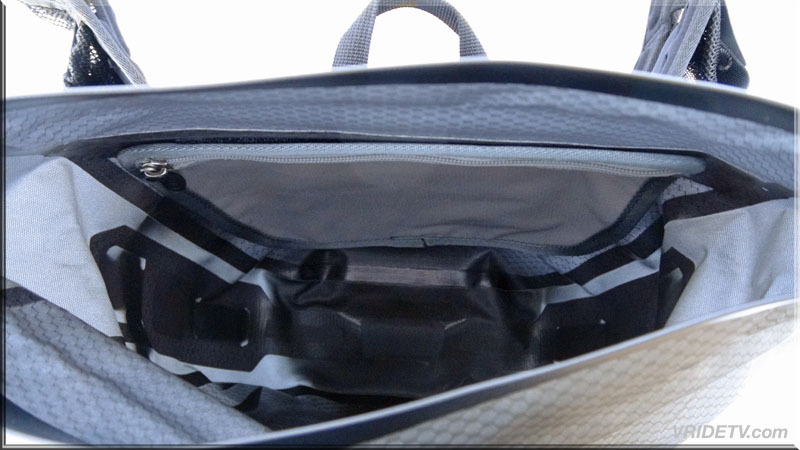 I decided to shoot and edit a quick video on my short ride to commemorate this event. 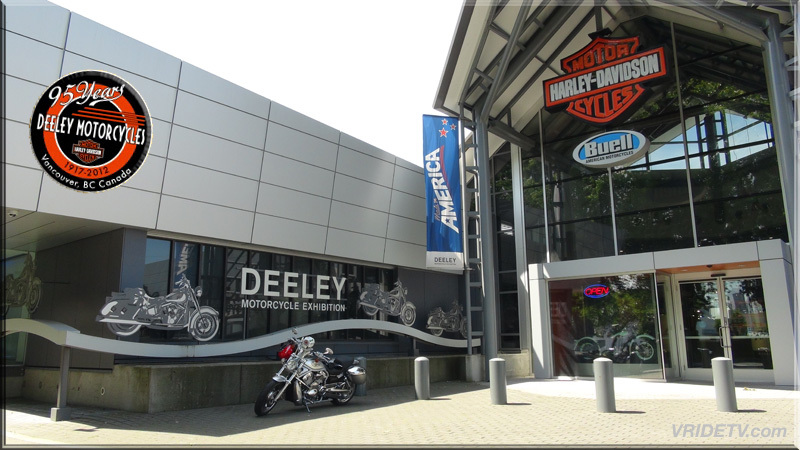 July 3, 2012: We are very pleased to announce that Trev Deeley Motorcycles is now an official sponsor of Vridetv. 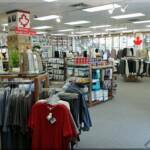 They are Canada's oldest Harley-Davidson Dealership celebrating their 95th Anniversary this year. 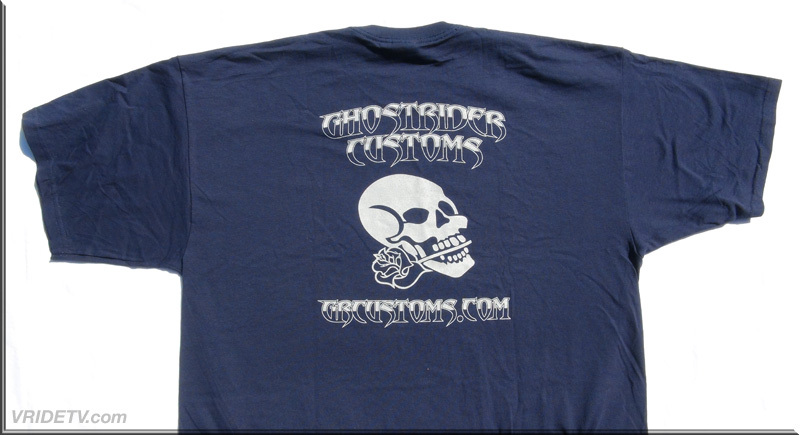 Specializing in Harley-Davidson Sales, service, parts, accessories, clothing, rentals, and a motorcycle exhibition that must been seen. 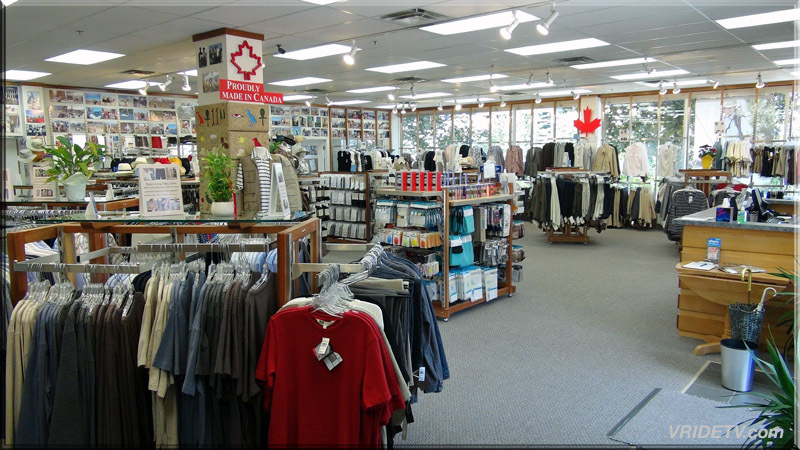 Located at 1875 Boundary Road in Vancouver, British Columbia. 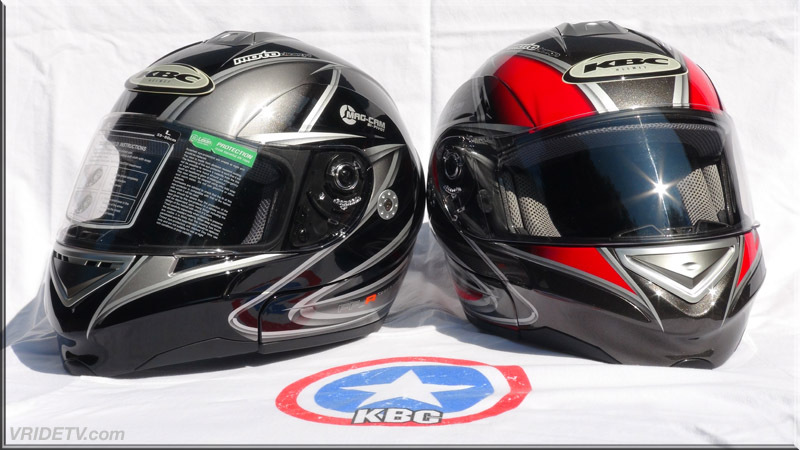 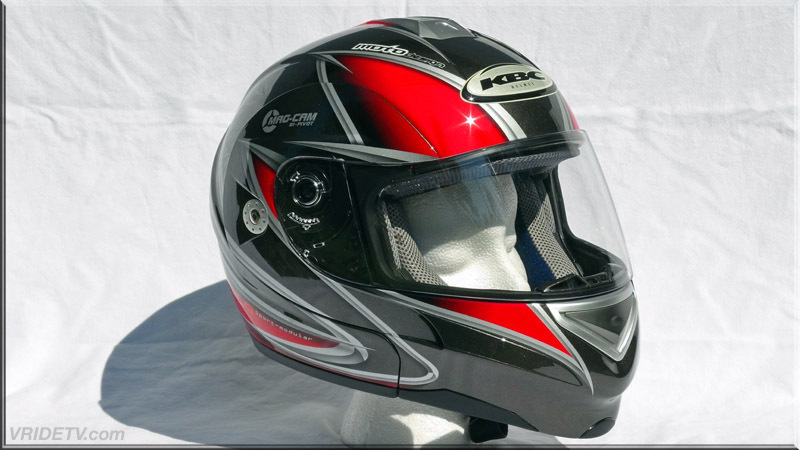 July 9th, 2012: Special thanks to KBC Performance helmets for their continued sponsorship of Vridetv. 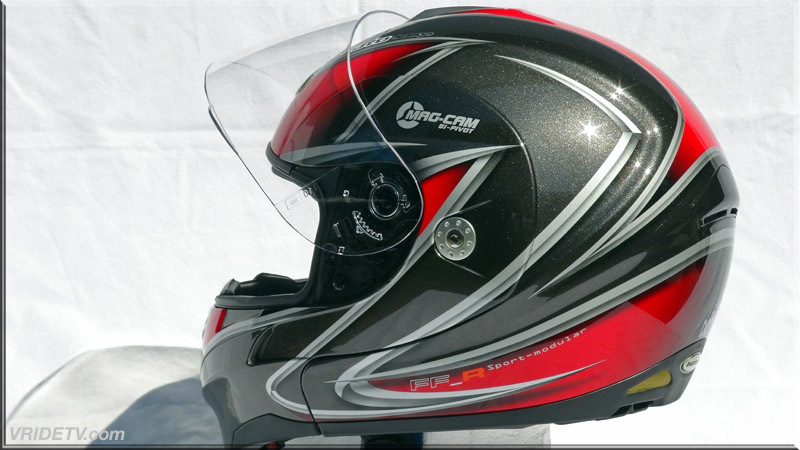 Here's are the FFR Sport helmets that we'll be wearing for the remainder of the year. 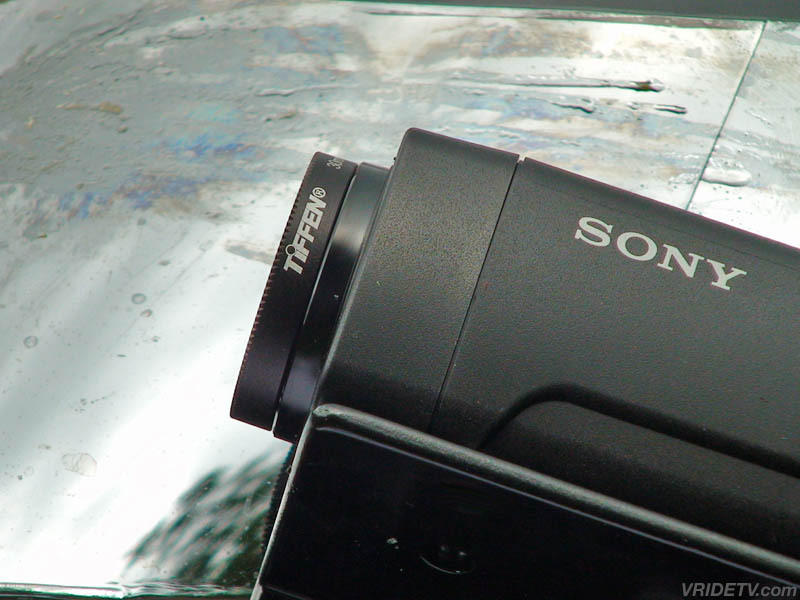 I have installed a M-Sonic 800BH Bluetooth headset, and the camera bracket for our Sony HXR-MC1 POV cam. 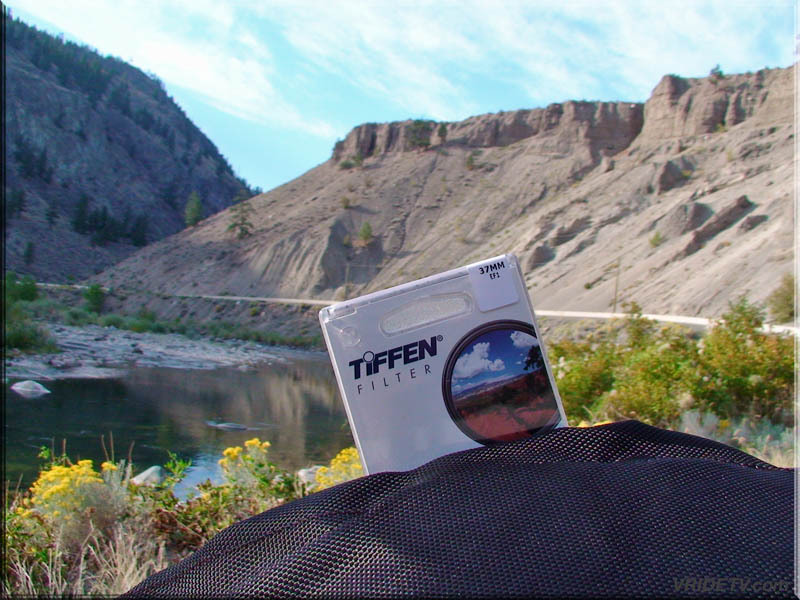 August 9th, 2012: We would like to thank Tiffen, for their continued sponsorship for the 2012 riding season. 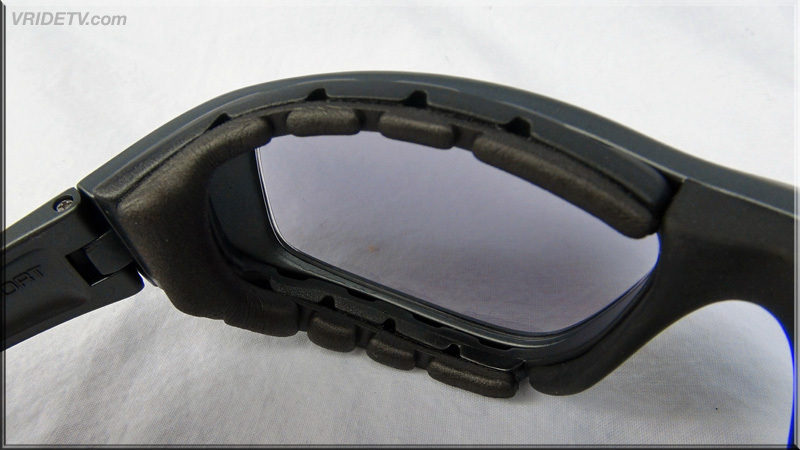 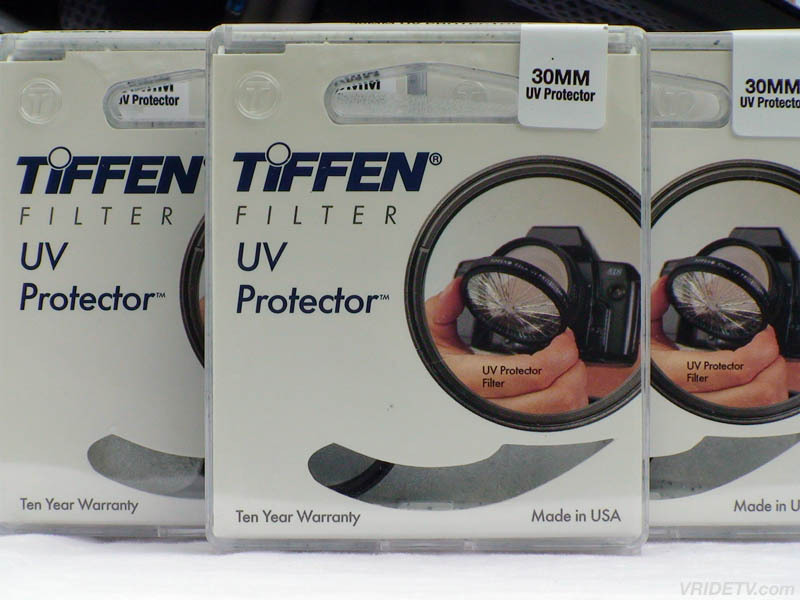 Their UV Protector filters are on all three of our high definition video cameras and provide crystal clear protection from UV, rocks, dirt, bugs, and road grime. 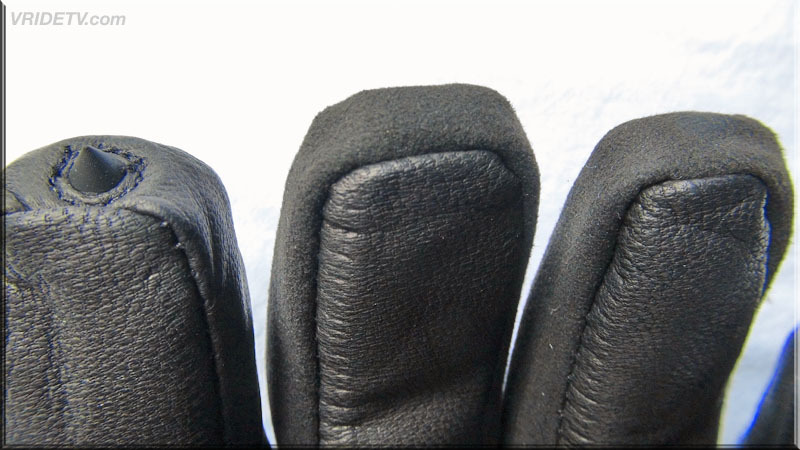 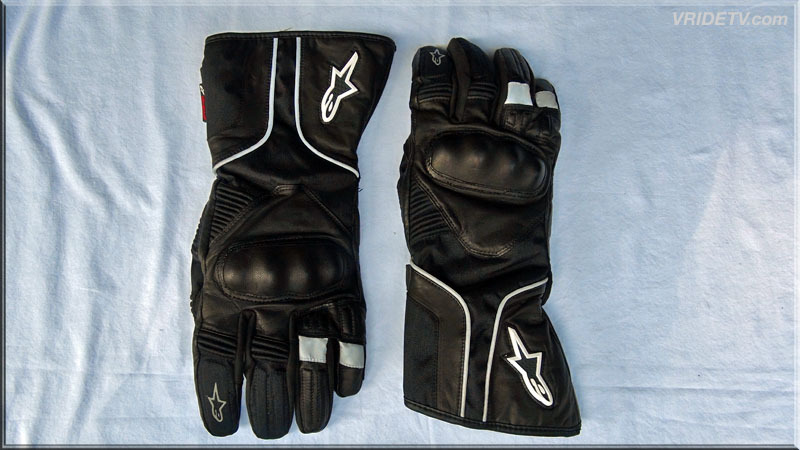 Oct 2, 2012: Alpinestars has sent a pair of their all-weather touring gloves, featuring Alpinestars exclusive Drystar® waterproof and breathable technology. 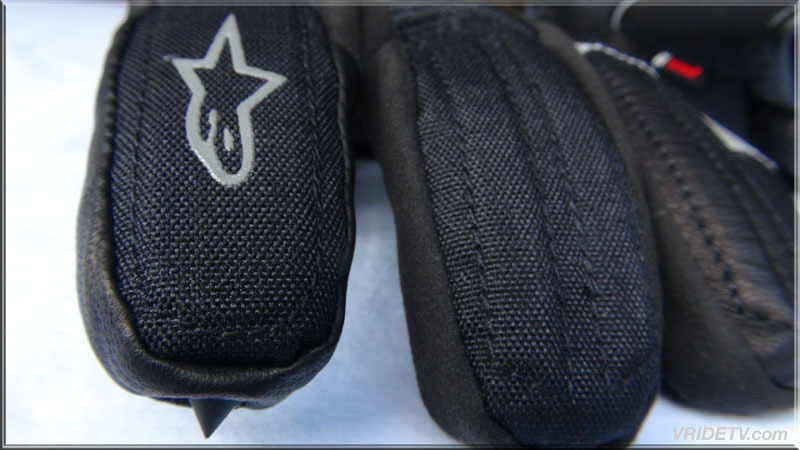 The Overland features advanced TPR molded knuckle protection and Alpinestars patented finger bridge technology, improving safety performance and strength. 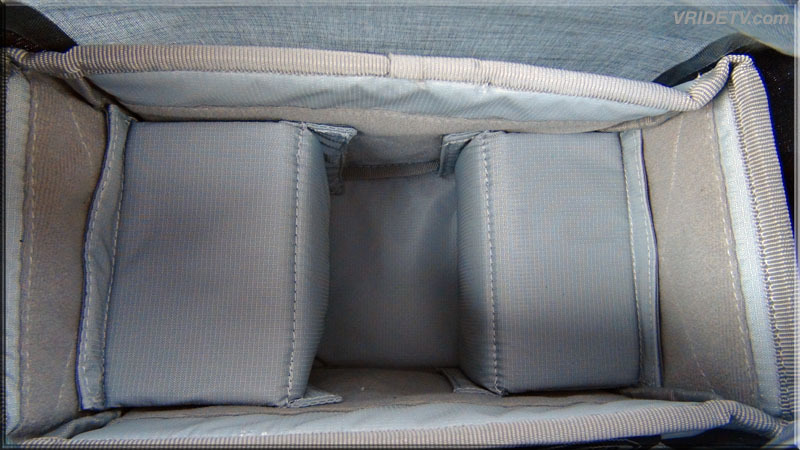 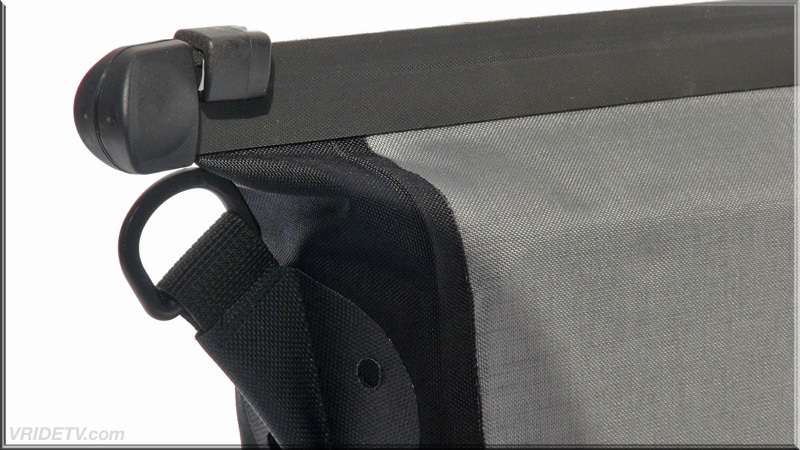 Accordion flex inserts enhance fit and feel while reducing hand fatigue on long journeys. 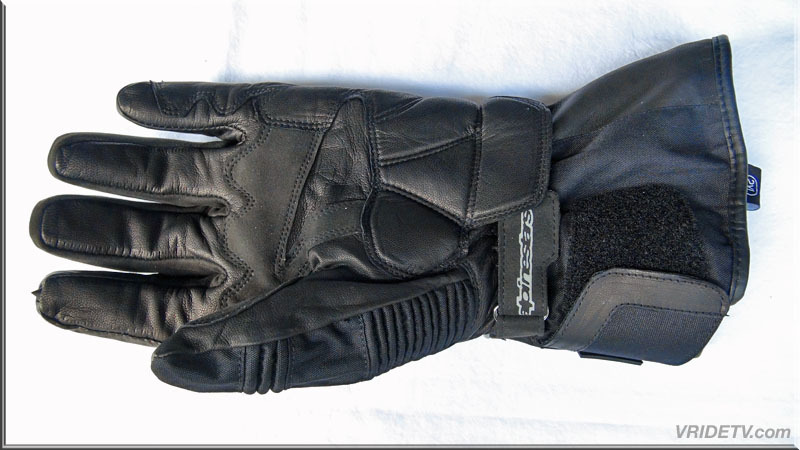 for this riding season. 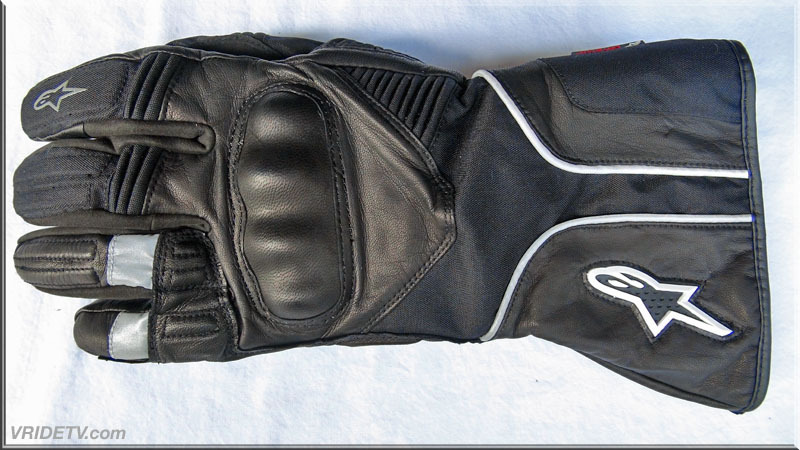 I will be doing a full review on these impressive gloves after I've used them awhile. 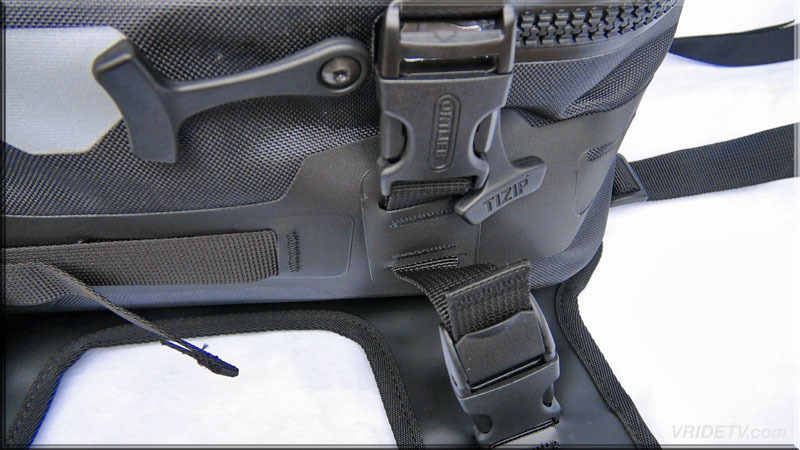 Till then, here are some of the incredible features. 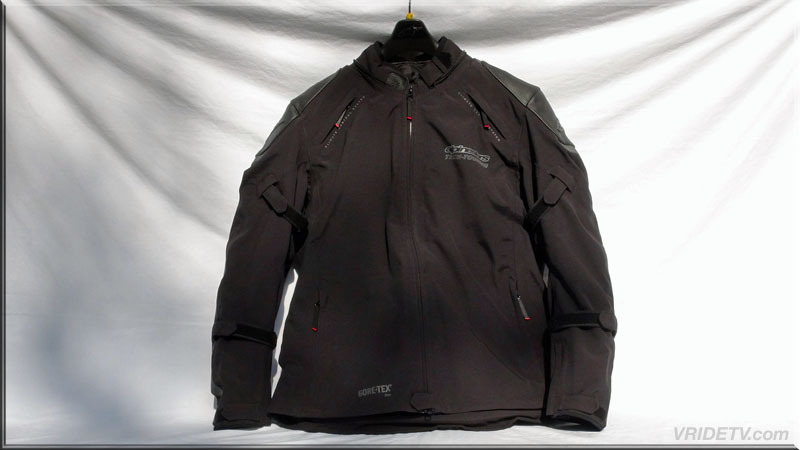 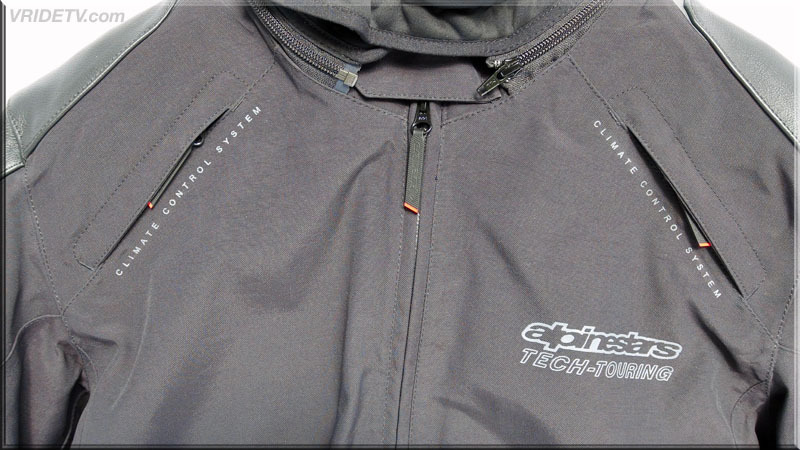 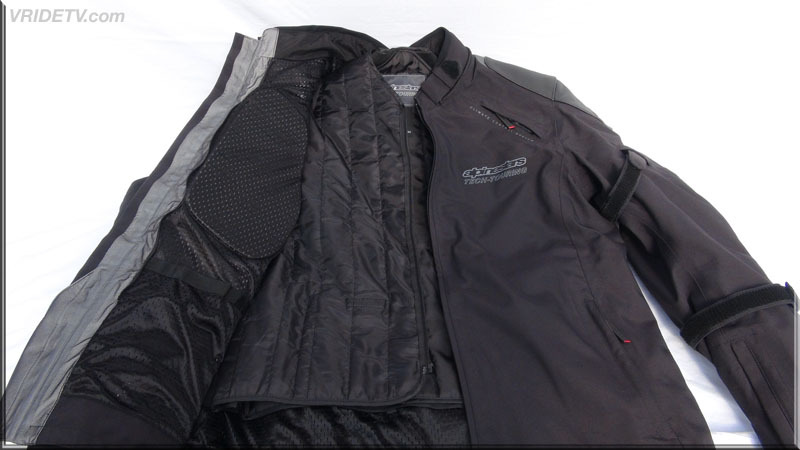 Oct 3, 2012: Alpinestars has sent their 2013 Tech ST premium all weather road touring Jacket. 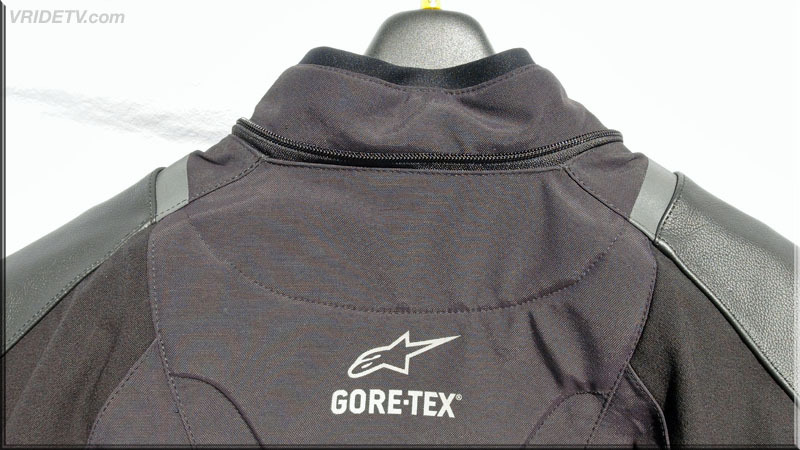 The outer shell is wholly constructed from GORE-TEX® Pro textile fabric for unsurpassed weather protection, breakability, weight-saving and durability. 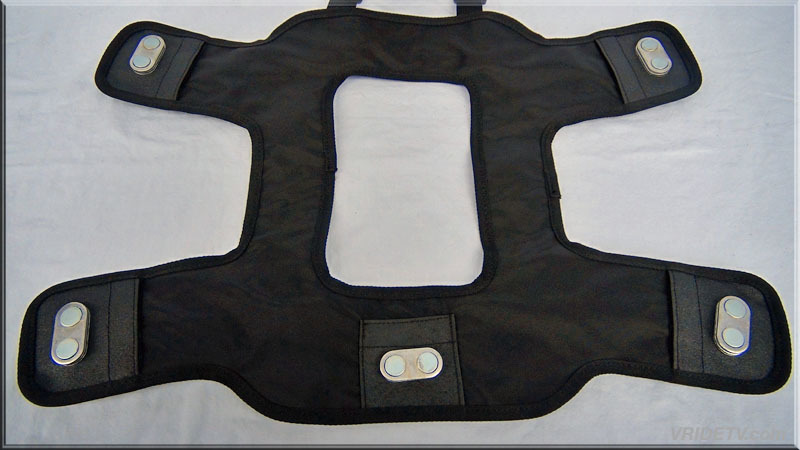 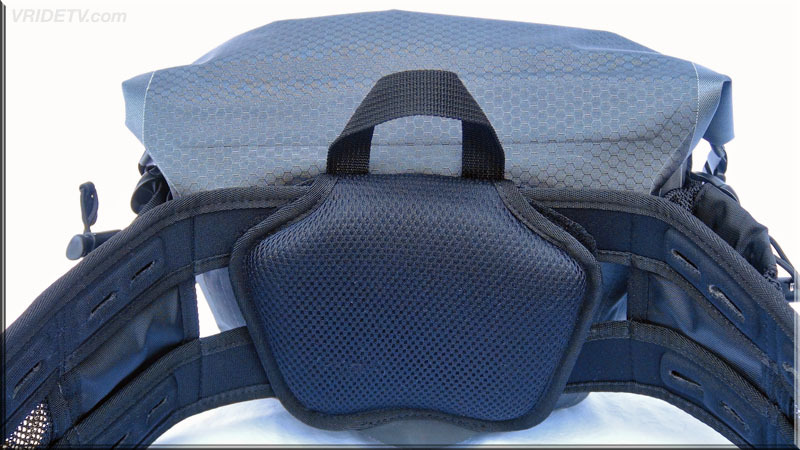 High-performance, CE certified elbow and shoulder protectors combine with abrasion resistant leather outer panels for superior protection performance. 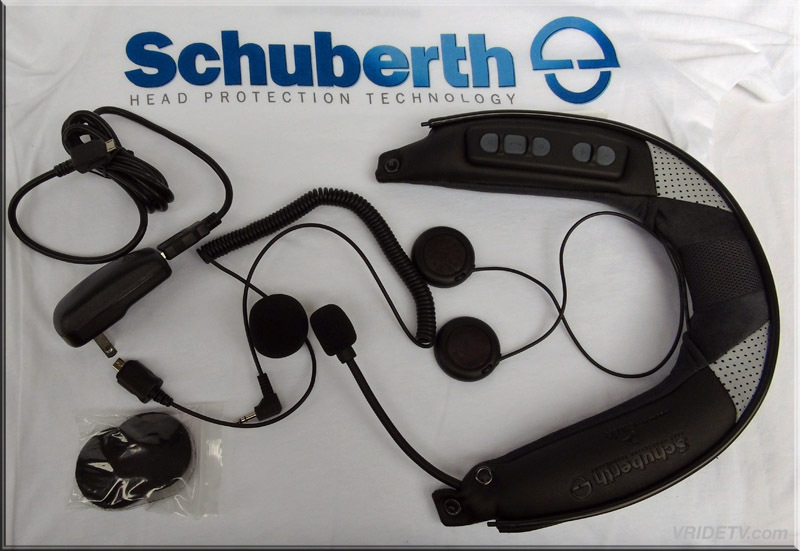 I will be doing a full review after I've worn it awhile, till then here are some of it's key features. 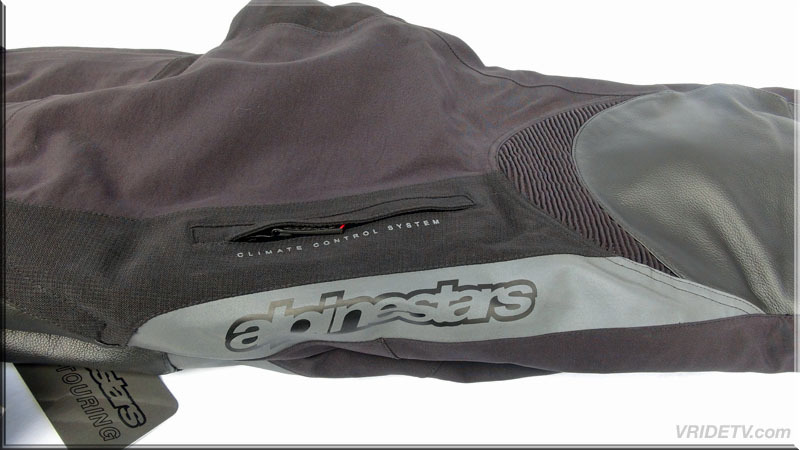 Visit Alpinestars website and see their full line of motorcycle jackets, pants, racing suits, footwear, gloves & so much more. 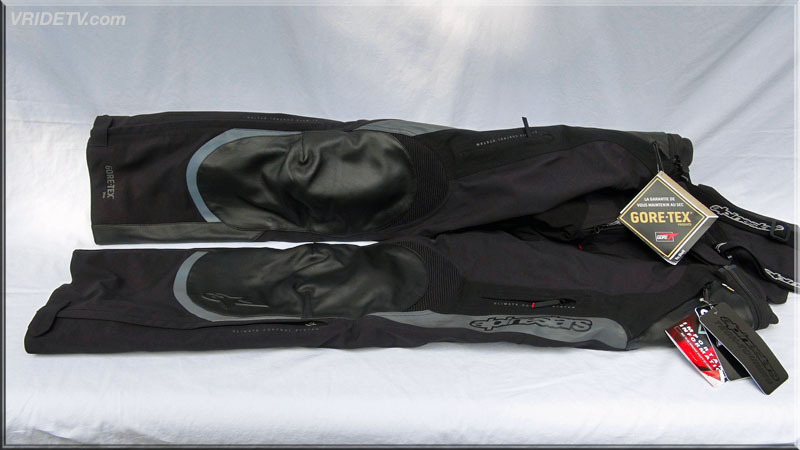 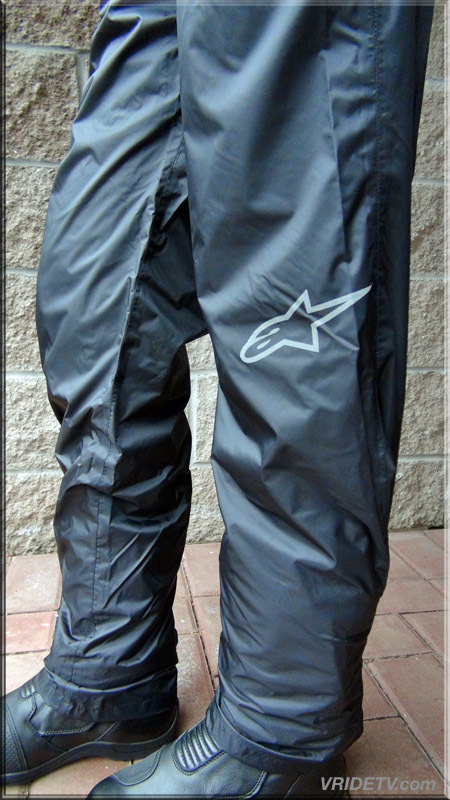 Oct 4, 2012: The set is complete, Alpinestars has sent their 2013 Tech ST Pant to accompany the Tech St jacket. 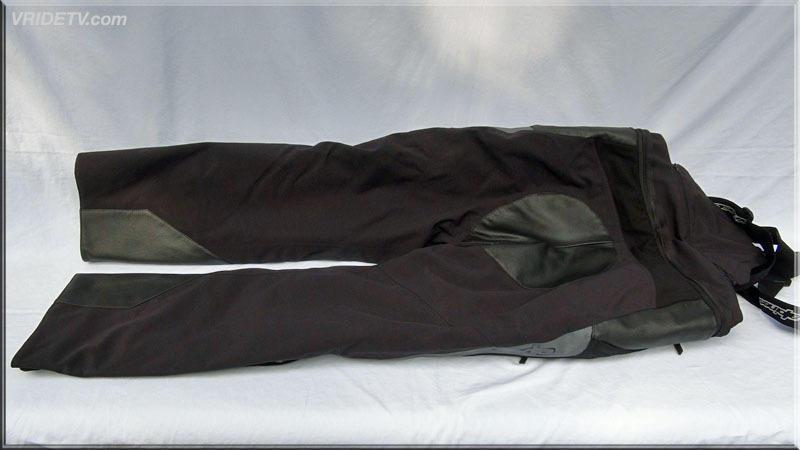 These pants offer unsurpassed road touring performance with a 100% waterproof GORE-TEX® outer shell for weather protection, breathability, weight-saving and durability. 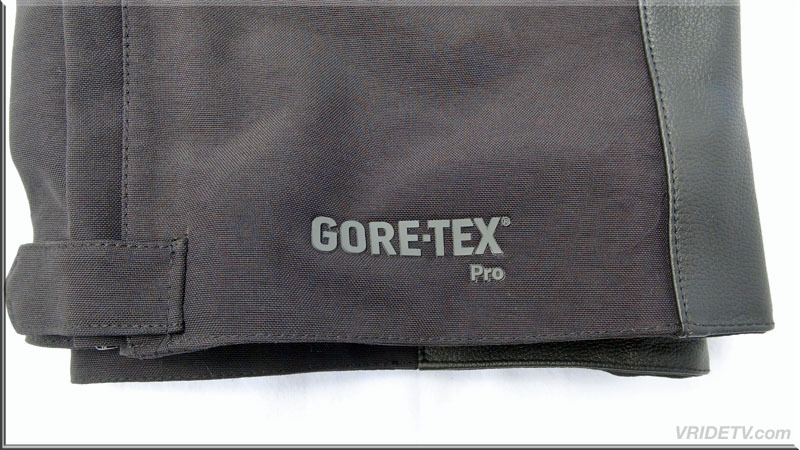 Designed to accompany the Tech ST GORE-TEX® Jacket, the pant features CE-certified knee protectors and abrasion resistant leather outer panels for superior protection. 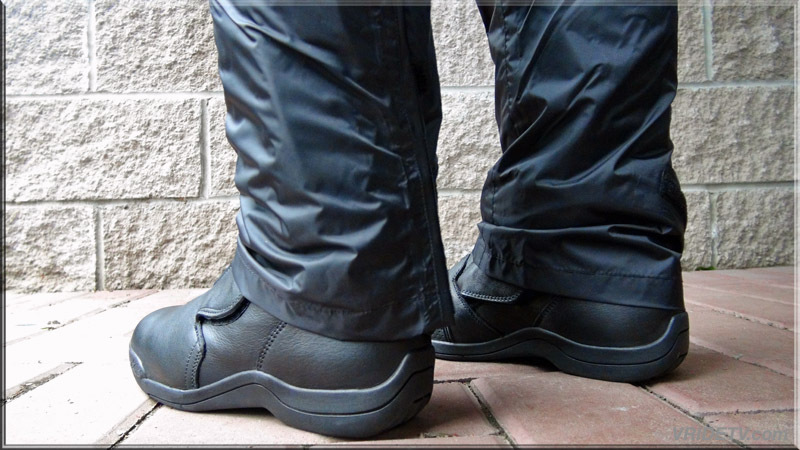 I will be doing a full review after I've worn them awhile, till then here are some of it's key features. 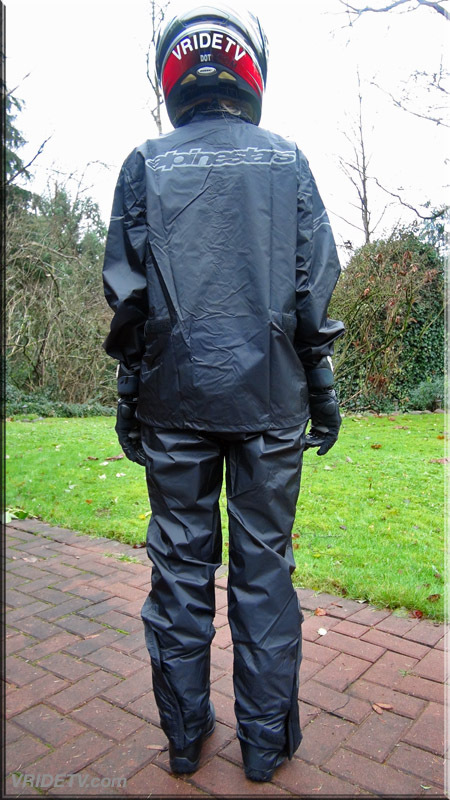 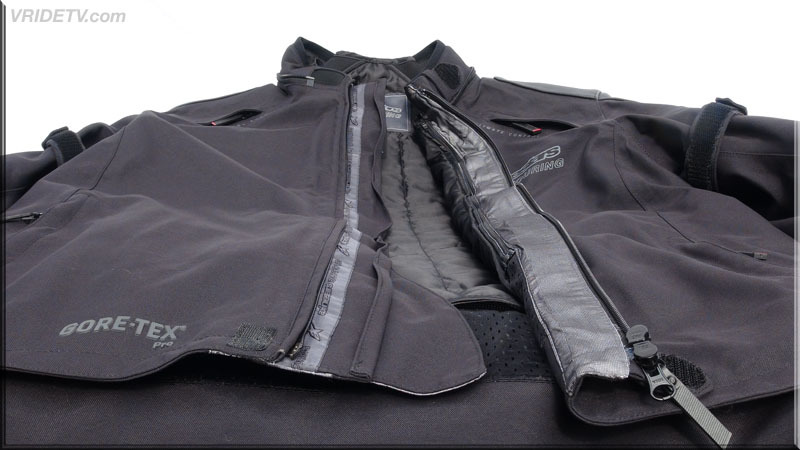 Innovative, 3-layer textile and leather construction with sealed waterproof seams and ventilation openings, which is fully compliant with GORE-TEX® motorcycle rain test requirements. 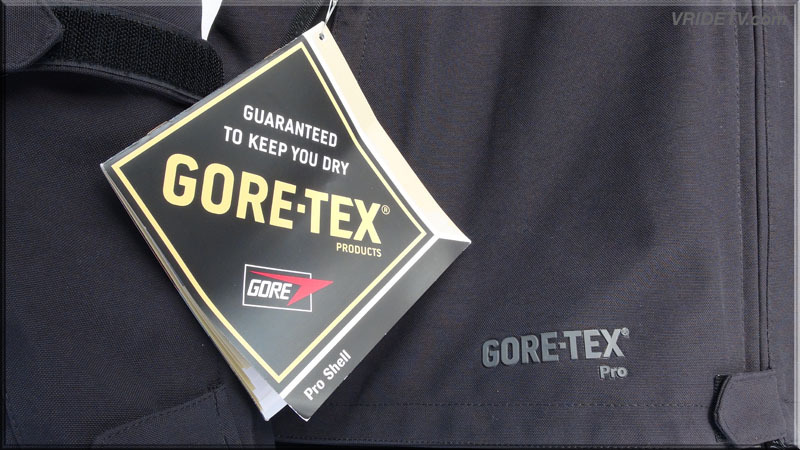 GORE-TEX® outer shell is lightweight and provides impenetrable barrier against rain and wind while maintaining breathability. 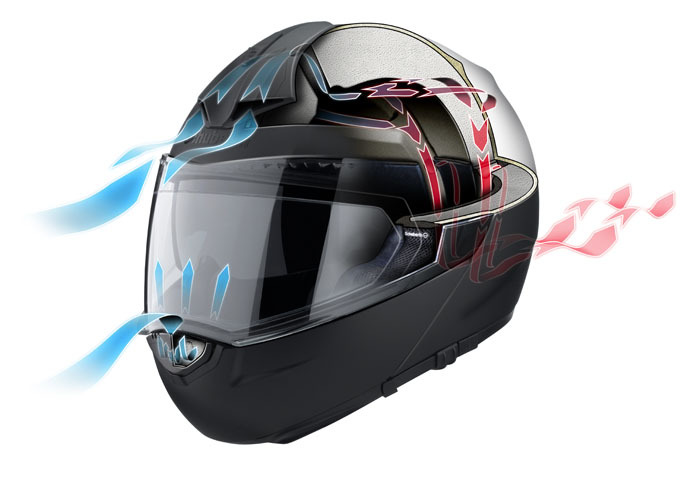 Alpinestars exclusive Climate Control System (CCS) with GORE-TEX® approved waterproof air intakes and rear exhaust zippers, which offer greater regulation of internal airflow for enhanced riding comfort. 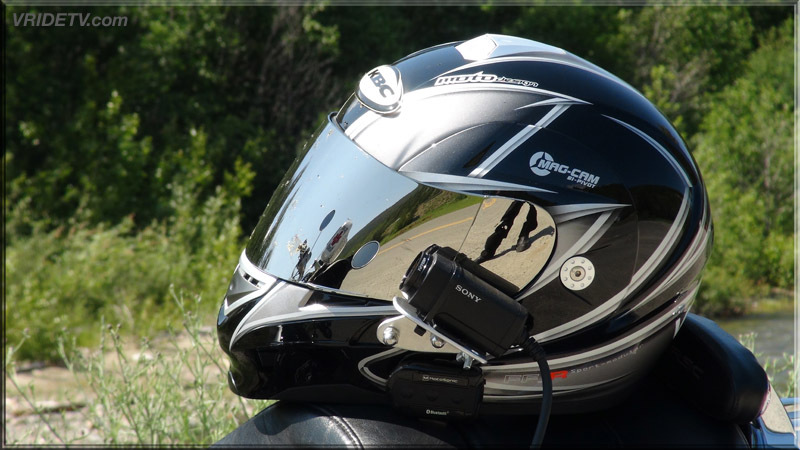 Nov 5th, 2012: New High definition video has been posted featuring: Motorcycle ride to the Valley of the Ten Peaks and Moraine Lake in Banff National Park, Alberta Canada. 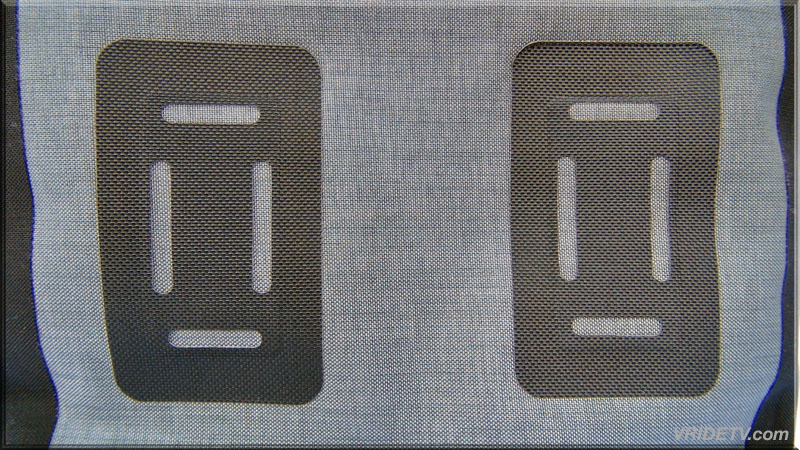 Moraine Lake was on the back of the Canadian twenty dollar bill from 1969 to 1979. 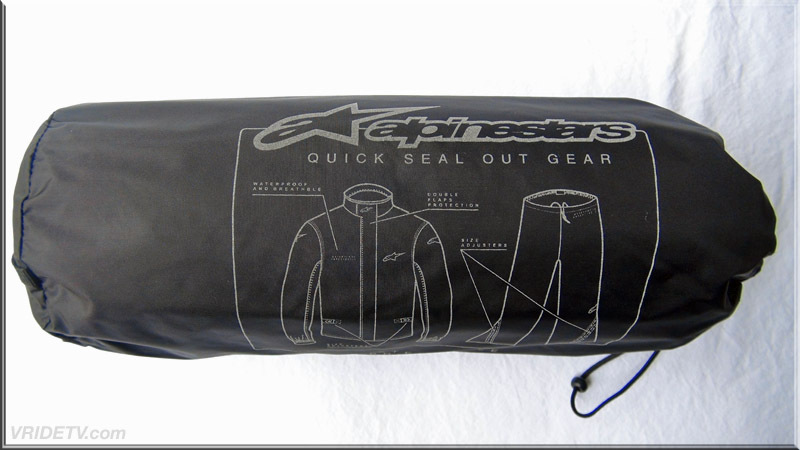 Dec 11, 2012: Alpinestars has sent this Quick Seal Out jacket and pants for Diane's fall and winter ring season. 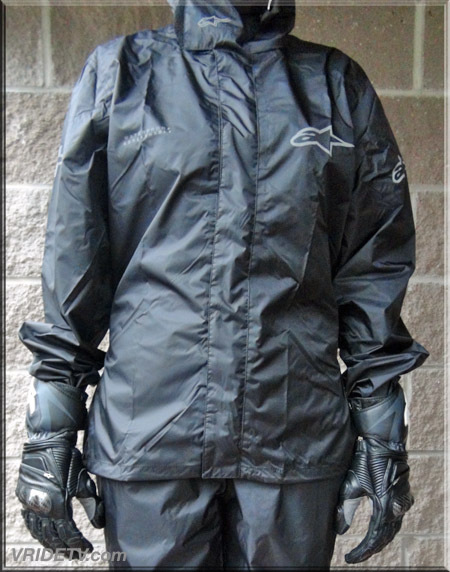 The Quick Seal Out Jacket and Pants are compact, easily transportable over garments that are 100% waterproof to keep you dry when the weather turns for the worse. 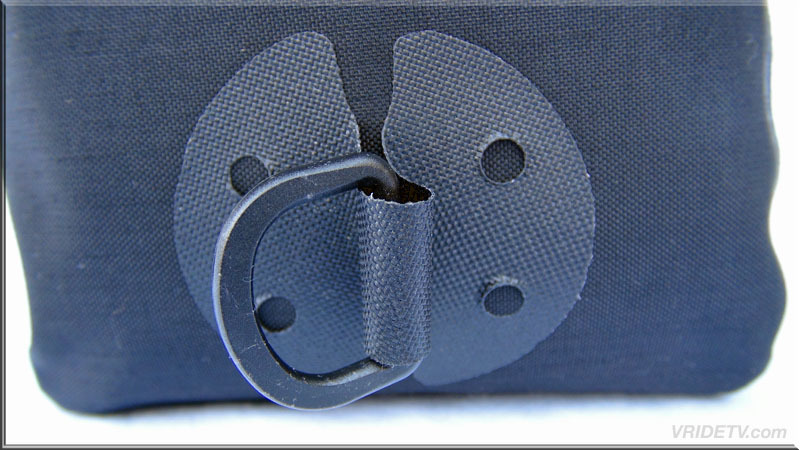 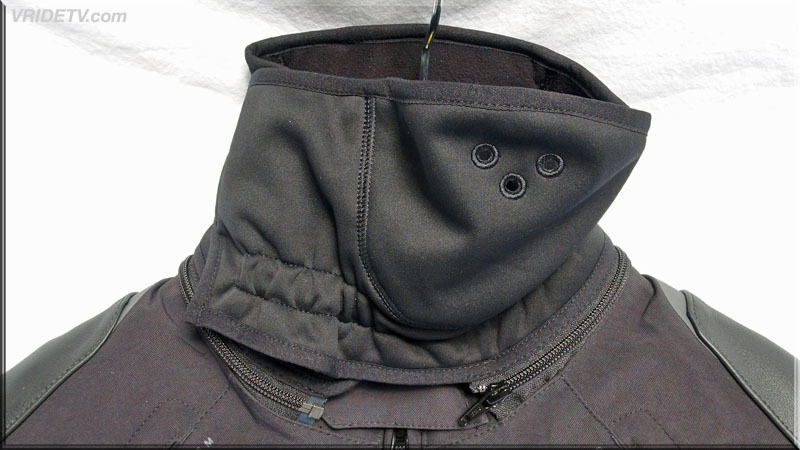 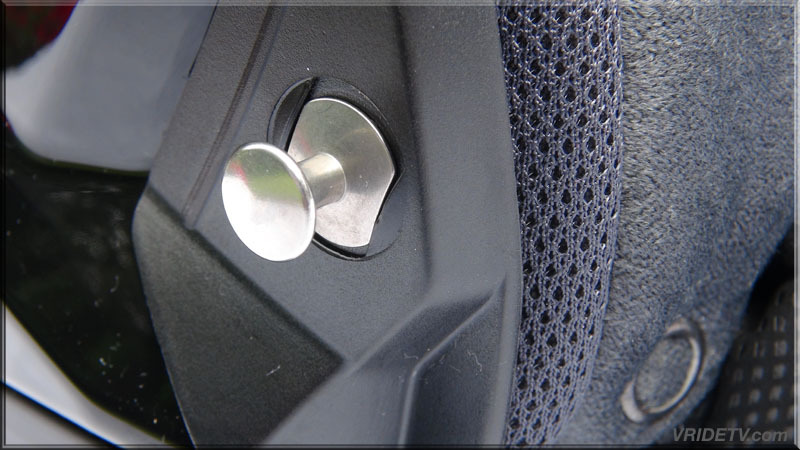 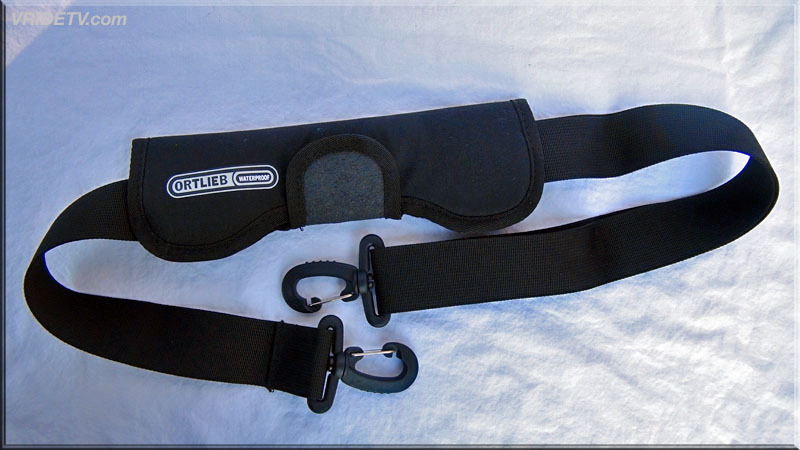 Elasticized cuffs and numerous volume adjusters help achieve a water tight fit and the inclusion of strategically placed reflective details help improve rider visibility. 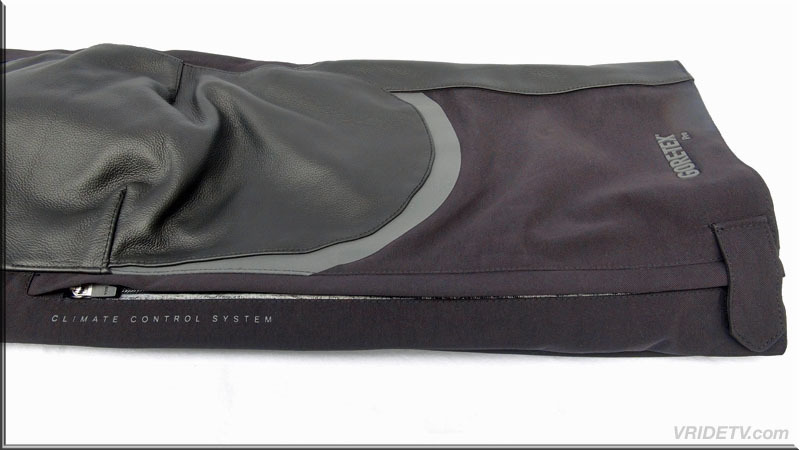 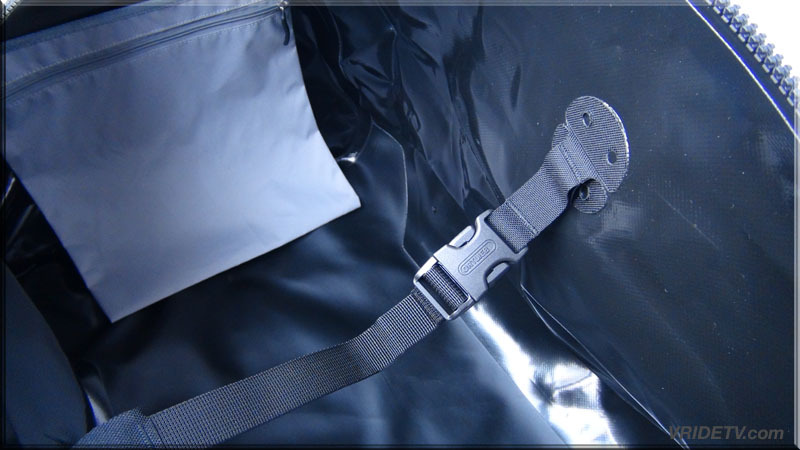 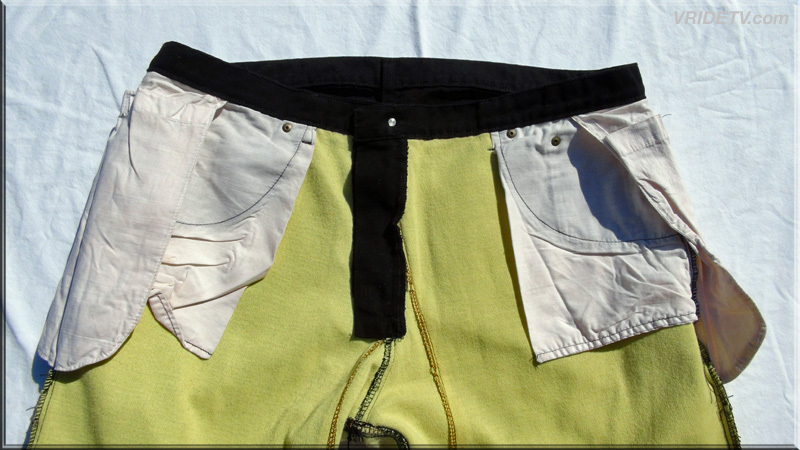 Constructed from waterproof and breathable material with taped seams providing 100% water tightness. 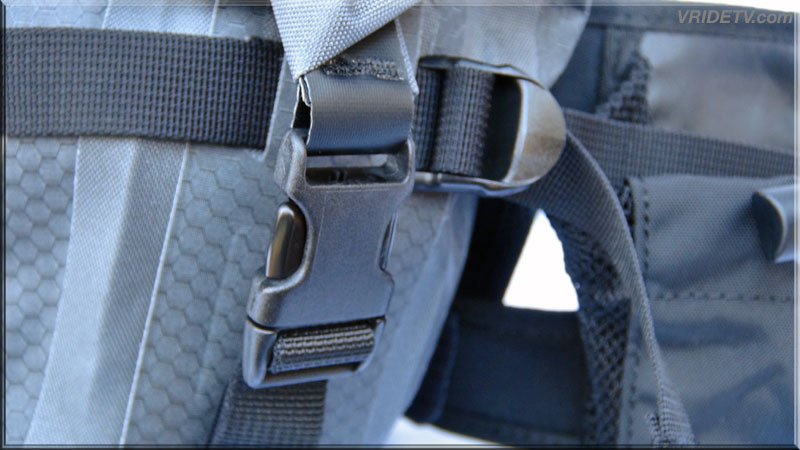 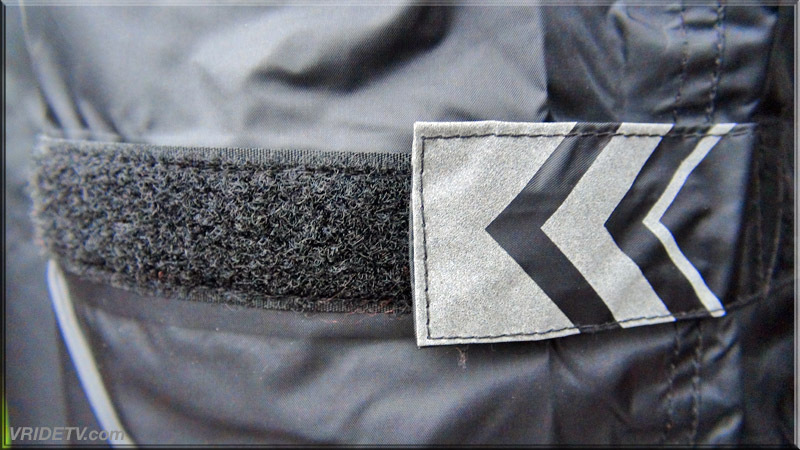 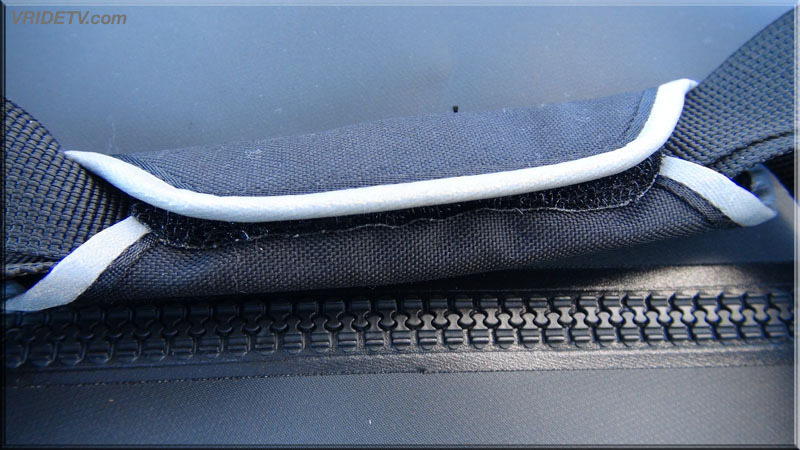 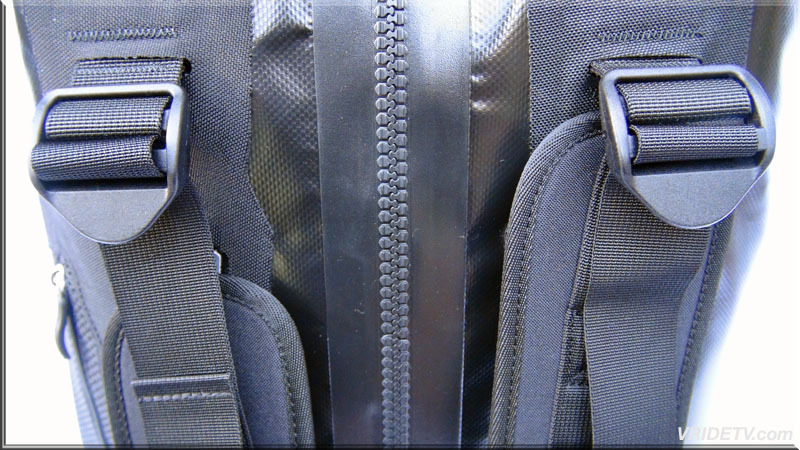 Dual front flap design helps seal elements out. 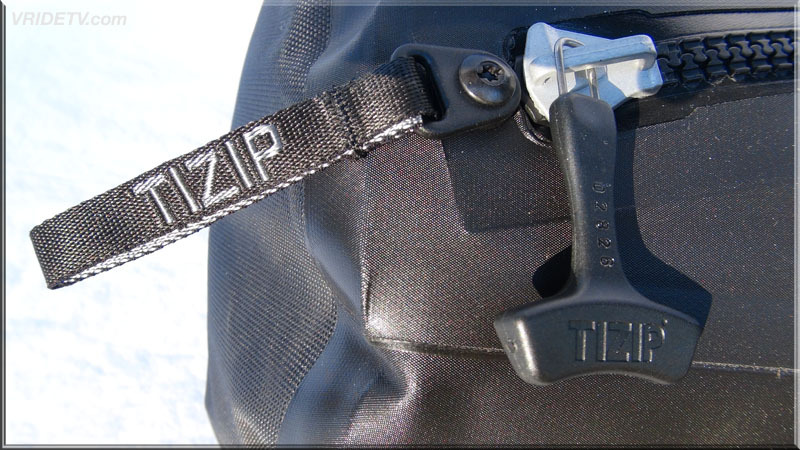 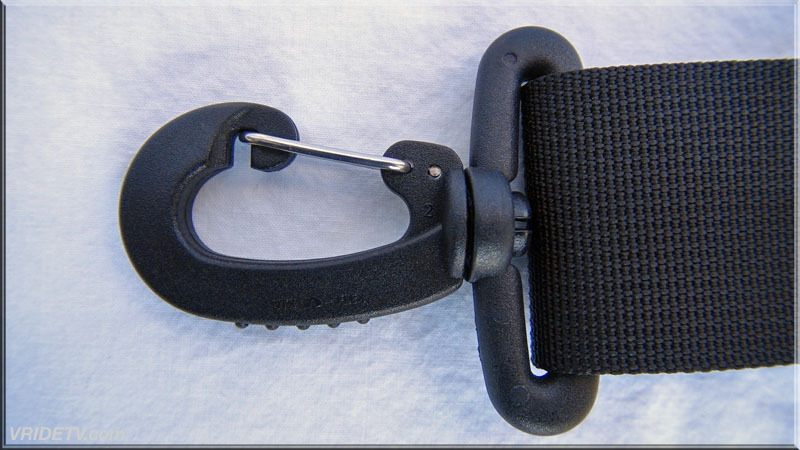 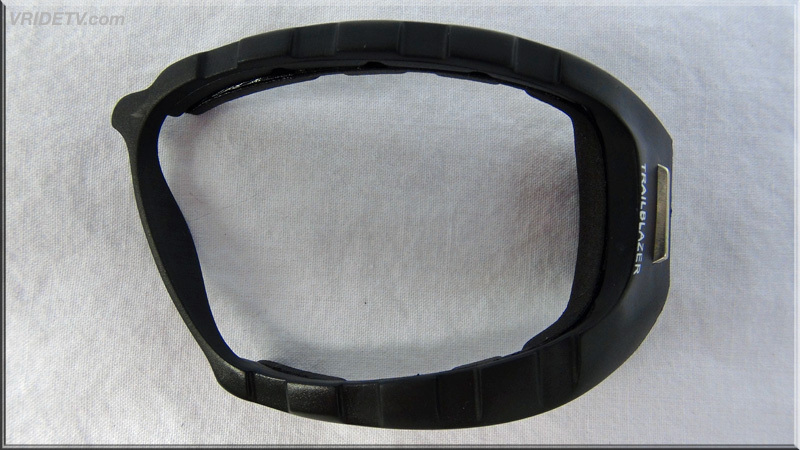 High profile neck for extended material coverage. 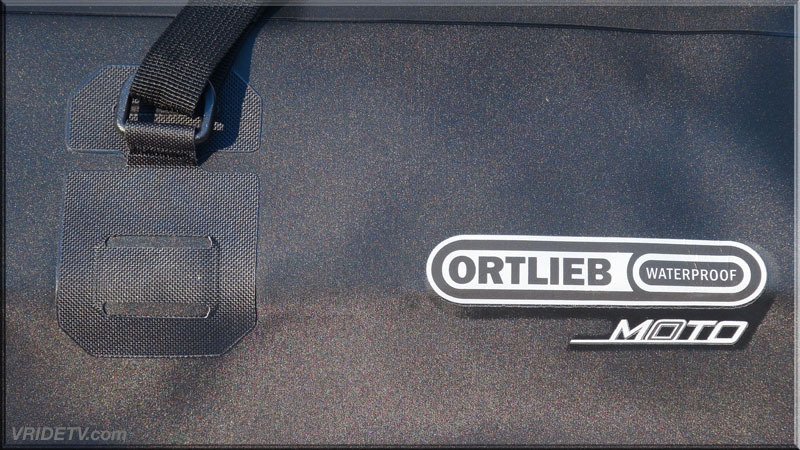 Dec 31, 2012: We are very pleased to announce that Ortlieb USA is now an official sponsor of Vridetv. 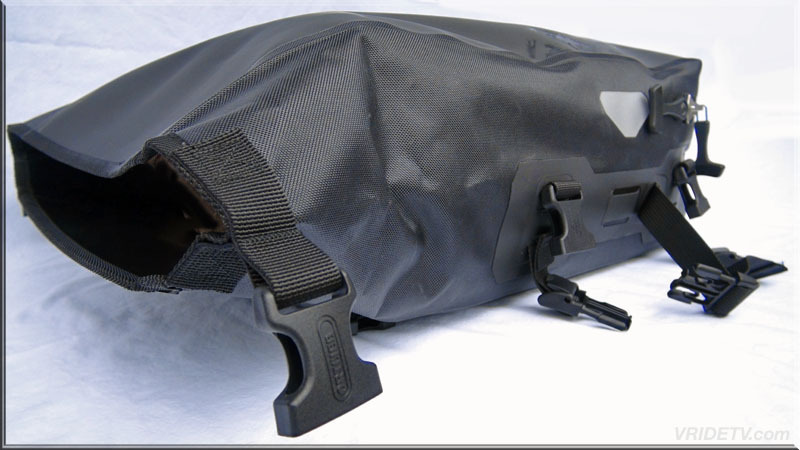 Their German engineered waterproof bags will be protecting all our riding gear as well as our expensive camera gear that we use in filming. 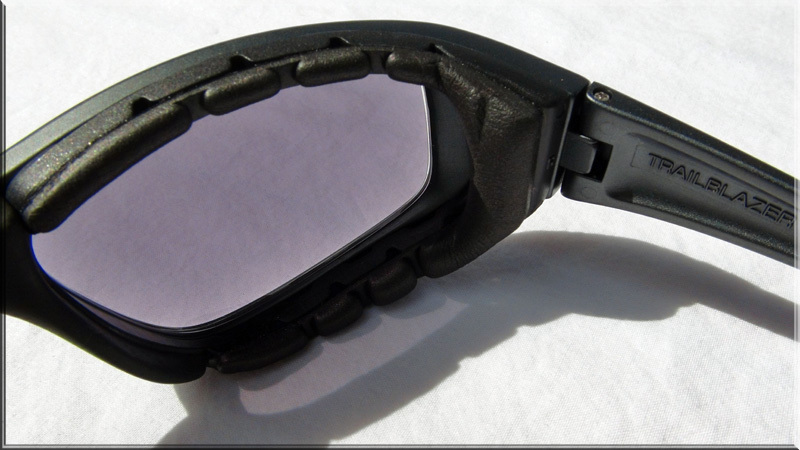 We will be posting a review with all of their specs, info, and detailed product shots in our review section soon. 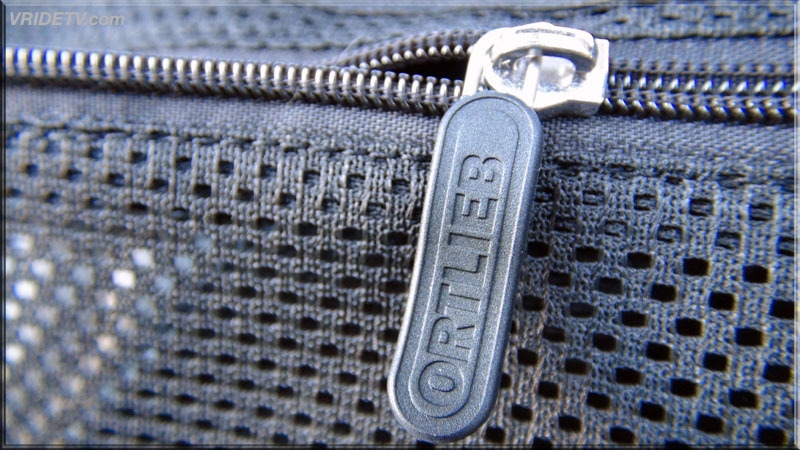 Find us at www.ortliebusa.com and @OrtliebUSA on twitter. 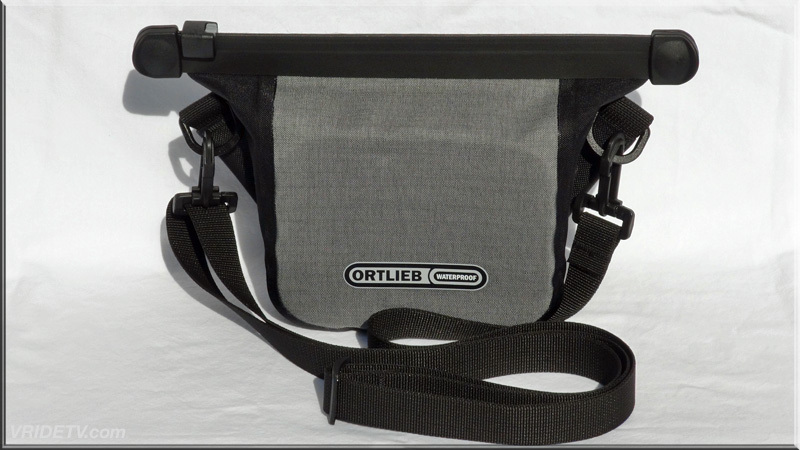 Here are a list of the Ortlieb bags we will be featuring. 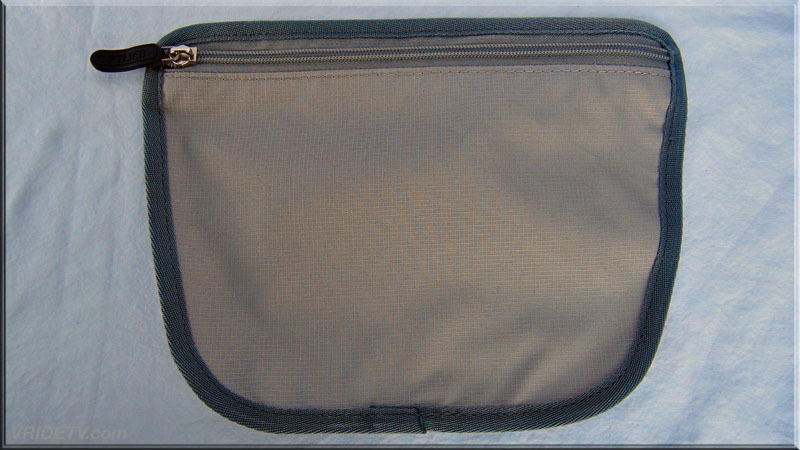 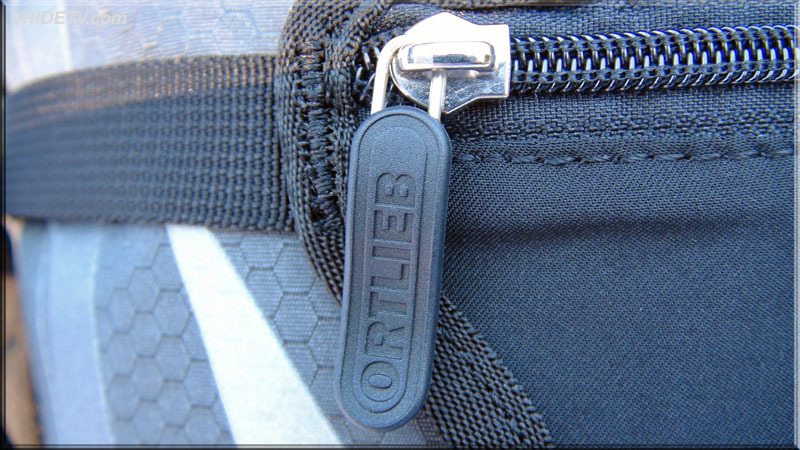 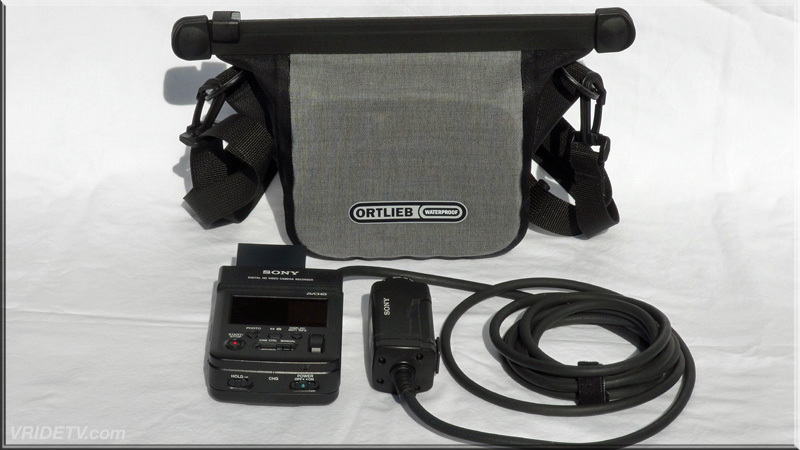 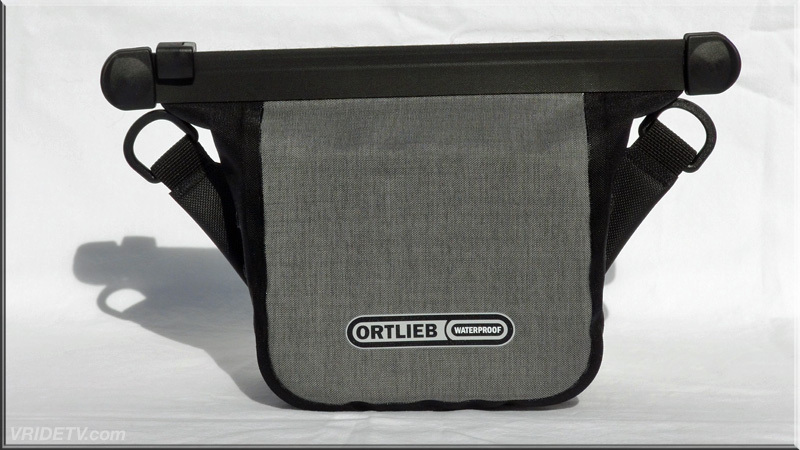 These are direct links to Ortlieb USA products. 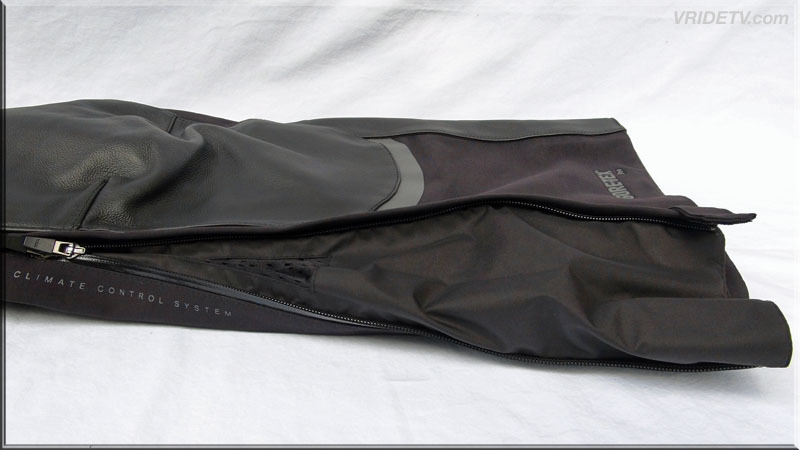 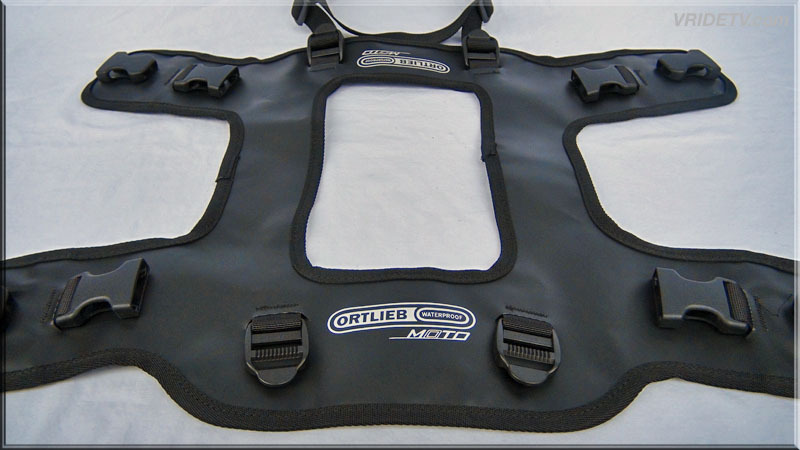 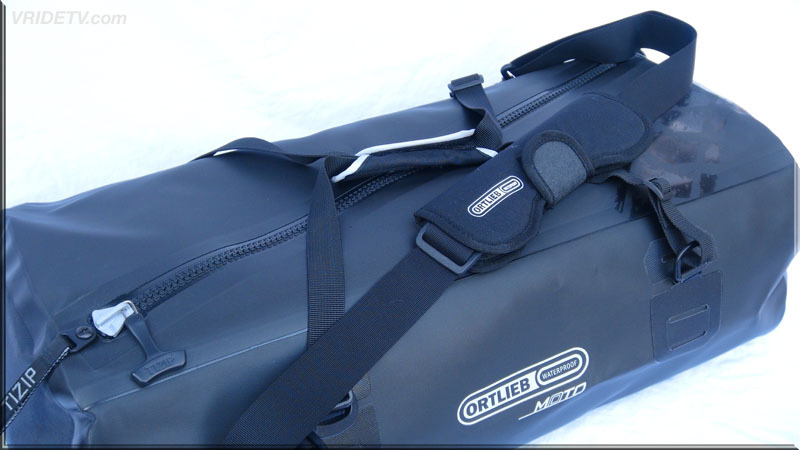 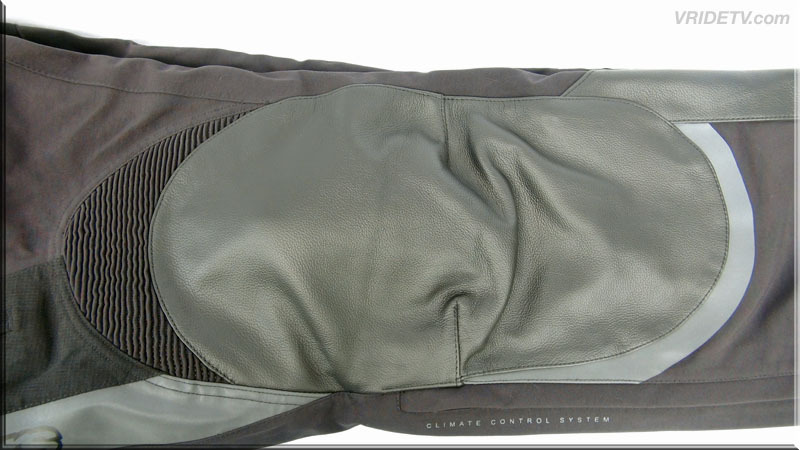 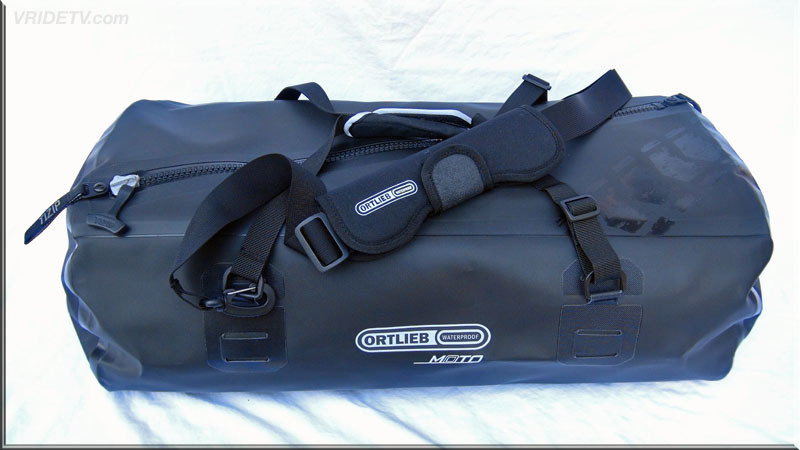 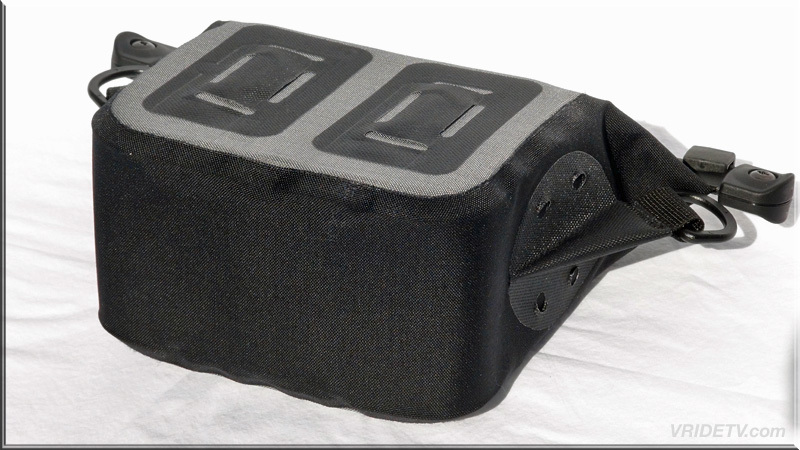 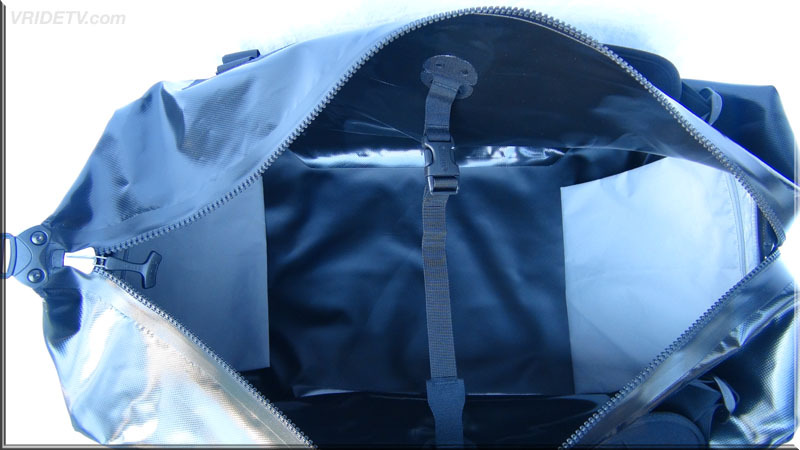 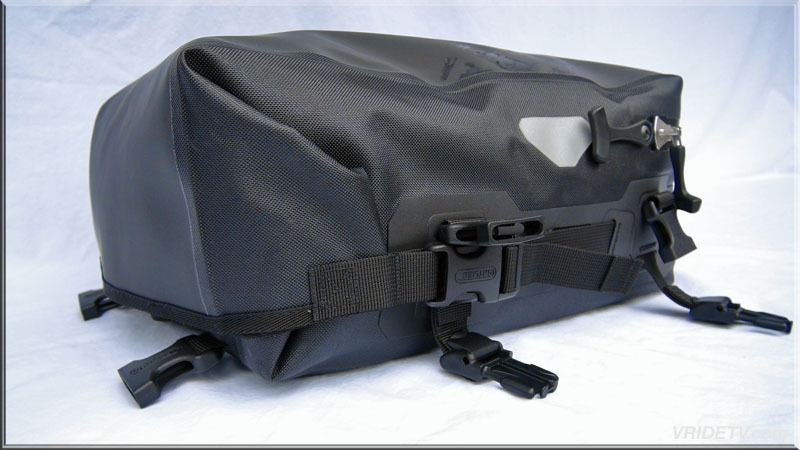 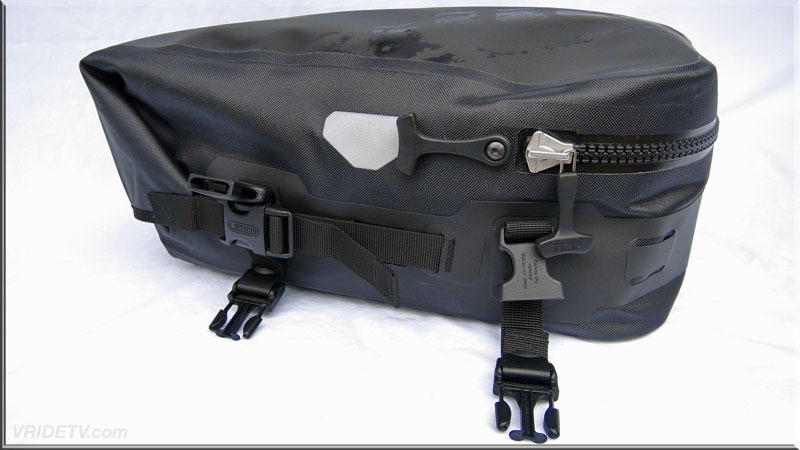 Jan 7, 2013: Ortlieb USA has sent their Waterproof Moto Tank Bag for the 2013 riding season. 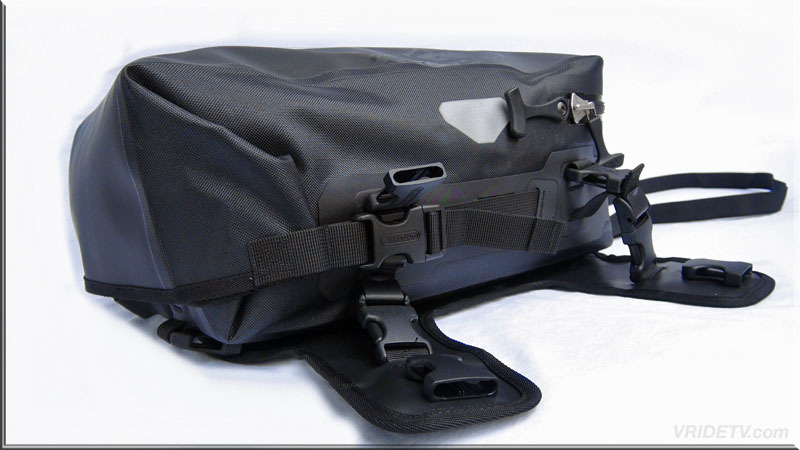 I will be doing a full review on this incredible bag after I've used it awhile. 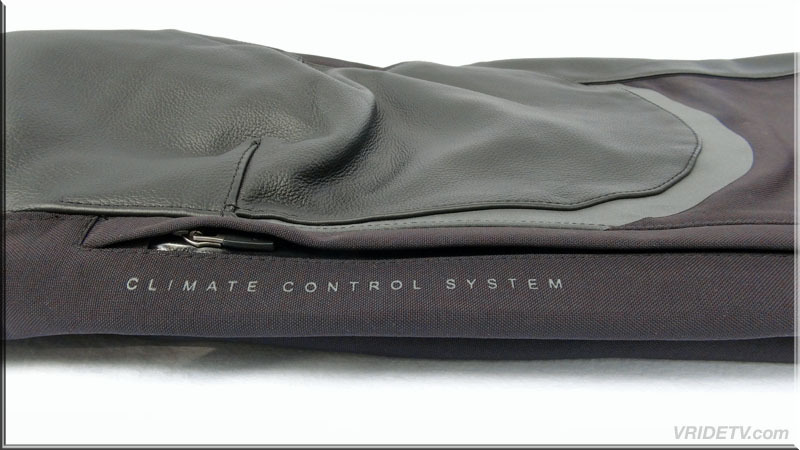 Till then, here are some of the key features. 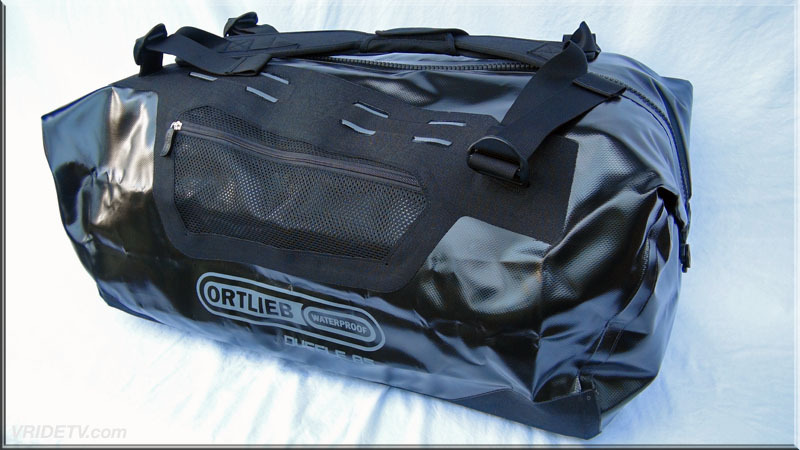 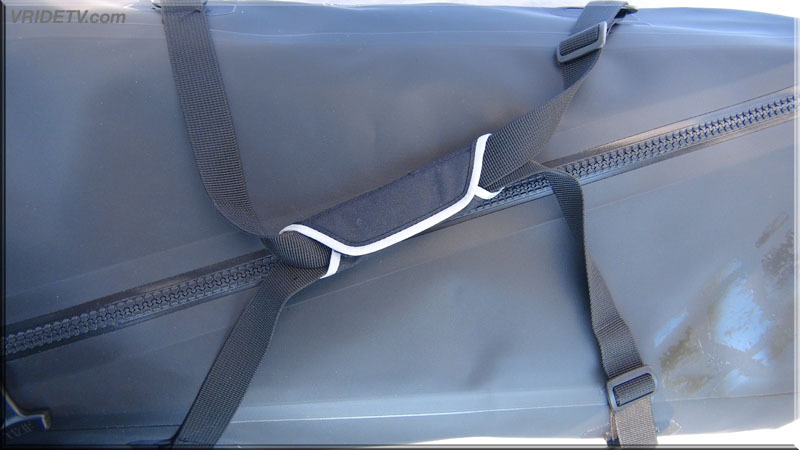 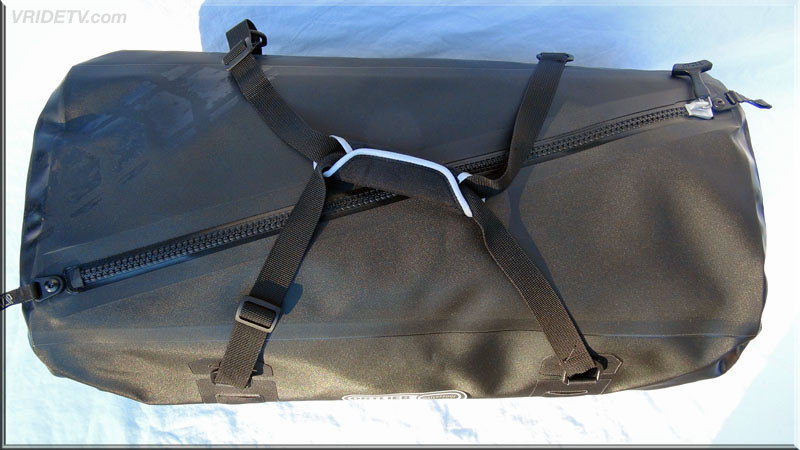 Jan 25, 2013: Ortlieb USA has sent their Moto Zip'N Go waterproof duffle for the 2013 riding season. 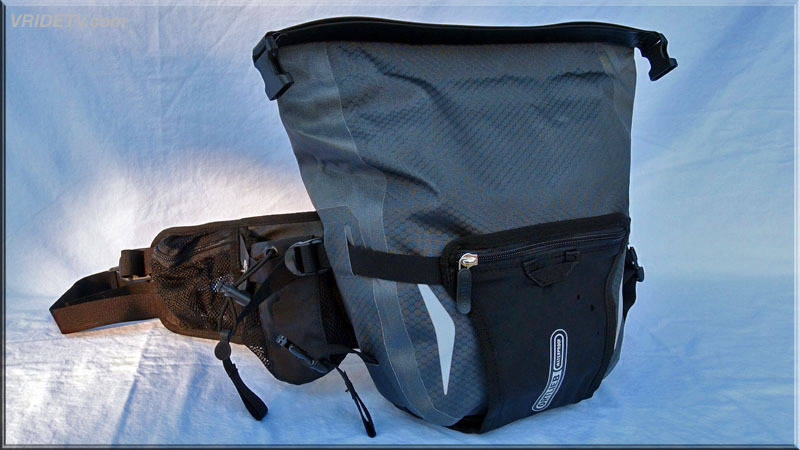 I will be doing a full review on this incredible bag after I've used it awhile. 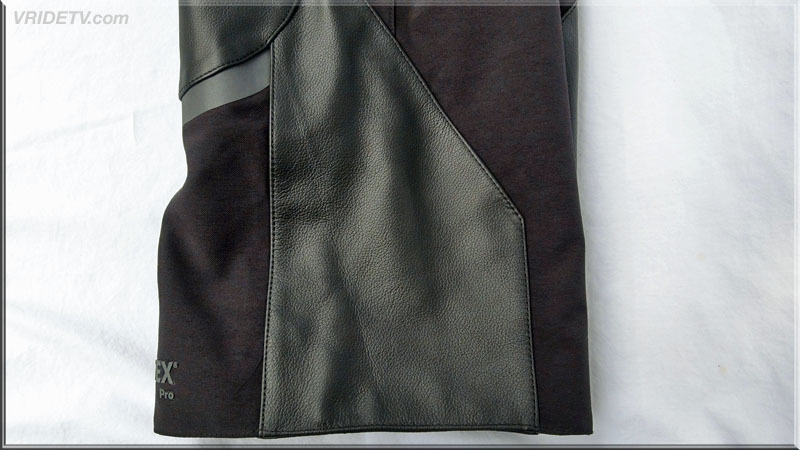 Till then, here are some of the key features. 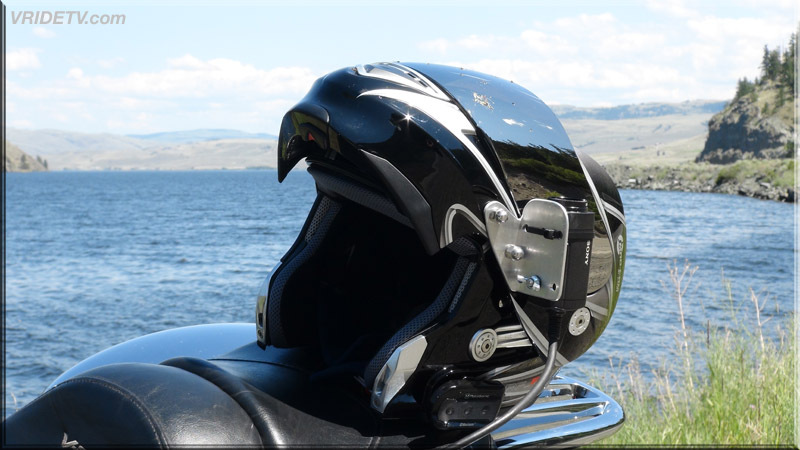 February 1st, 2013: New High definition video has been posted featuring: The Icefields Parkway (Highway 93) between Lake Louise and Jasper is 230 kilometers long and is my all time favorite place to ride, I've been there several times and can't wait to go back again. 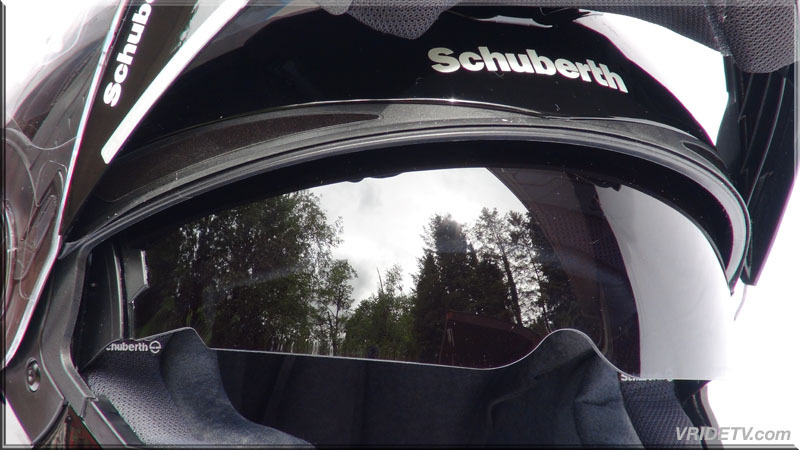 I shot this promo video with fellow motorcycle enthusiast and owner of the Mountaineer Lodge and the Mount Robson Inn, Chad Gulevich. 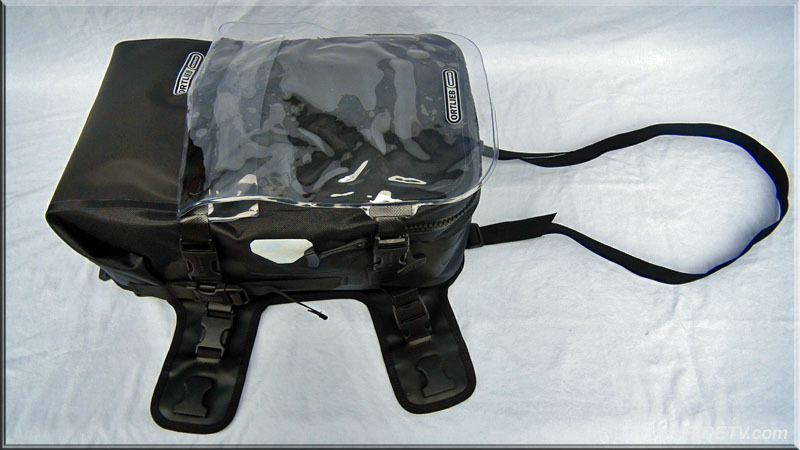 Chad certainly understands a travelers needs, he has visited 72 countries, all 7 continents, and uses his experience to accommodate the motorcycle community with great hospitality and affordable rates while bookending the most beautiful stretch of road I've ever seen. 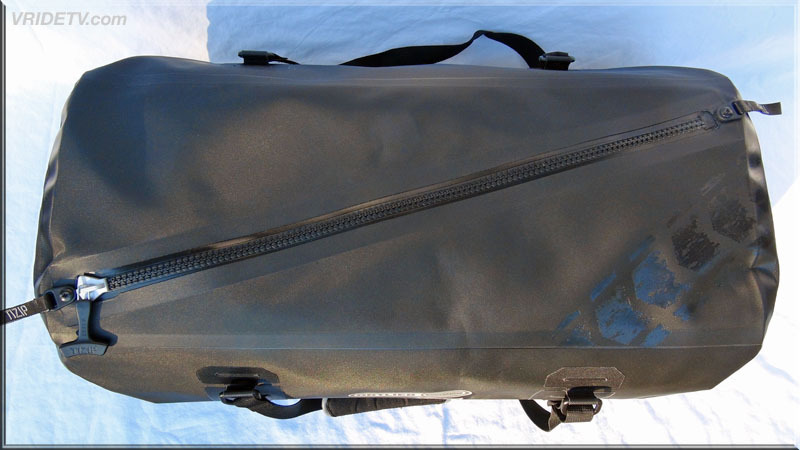 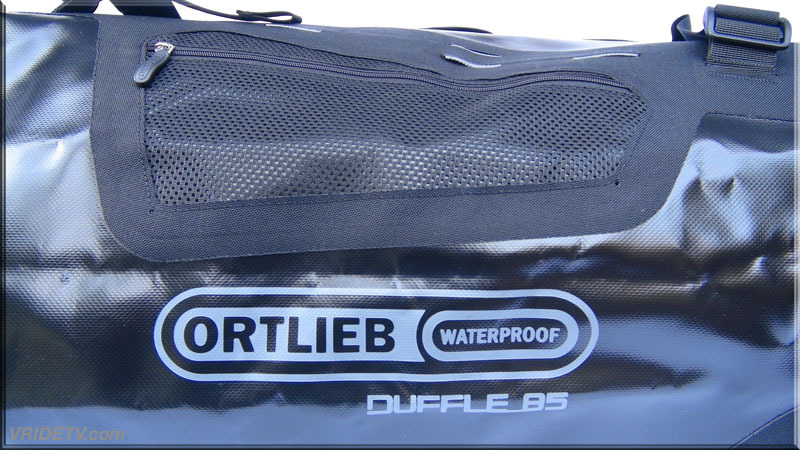 Feb 8, 2013: Ortlieb USA has sent their 85 liter waterproof duffle for the 2013 riding season. 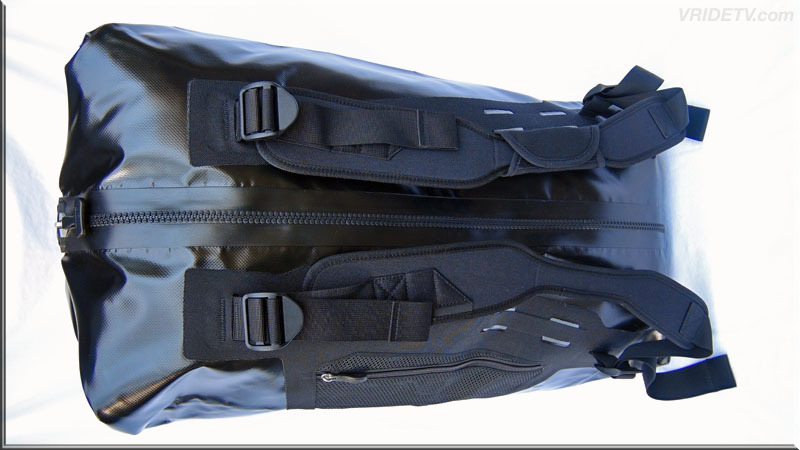 I will be doing a full review on this incredible bag after I've used it awhile. 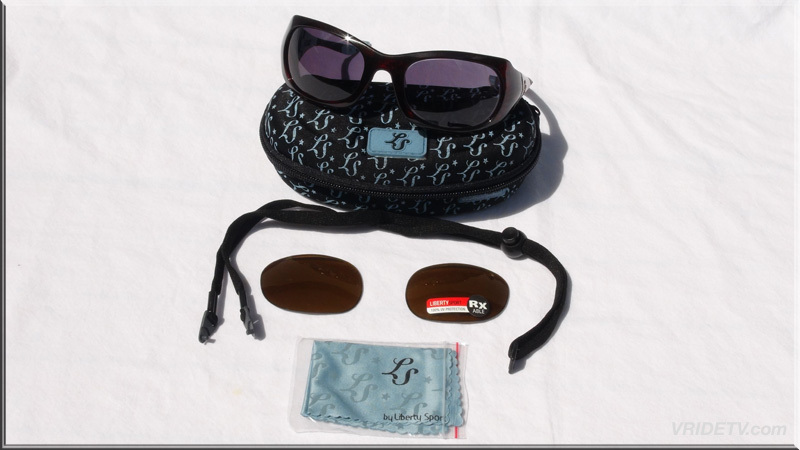 Till then, here are some of the key features. 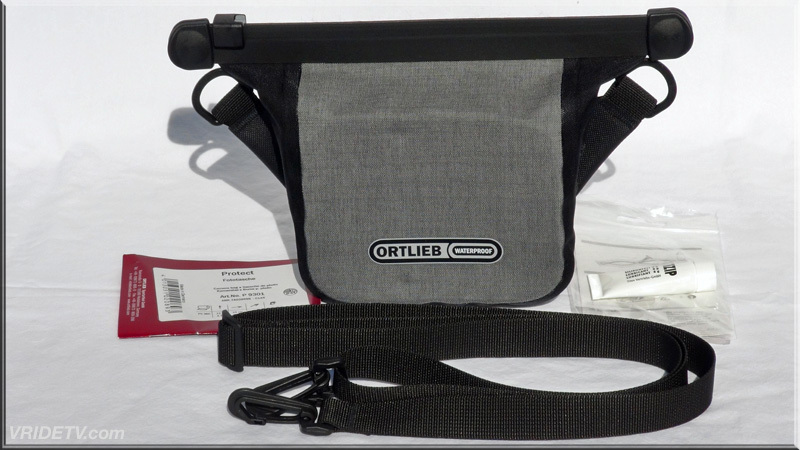 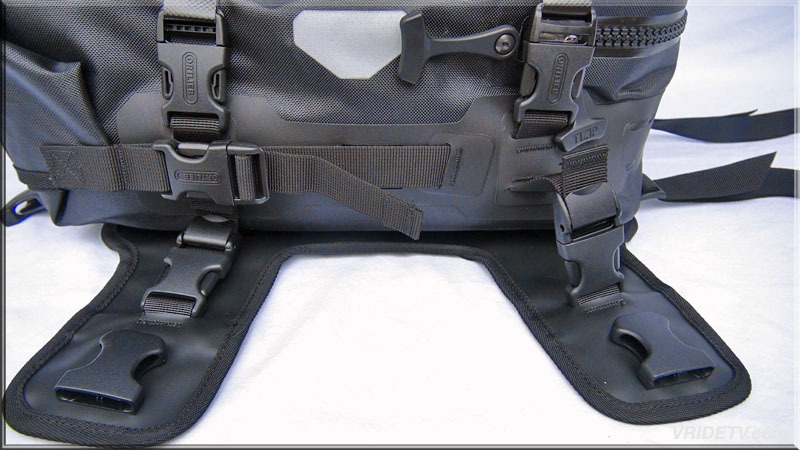 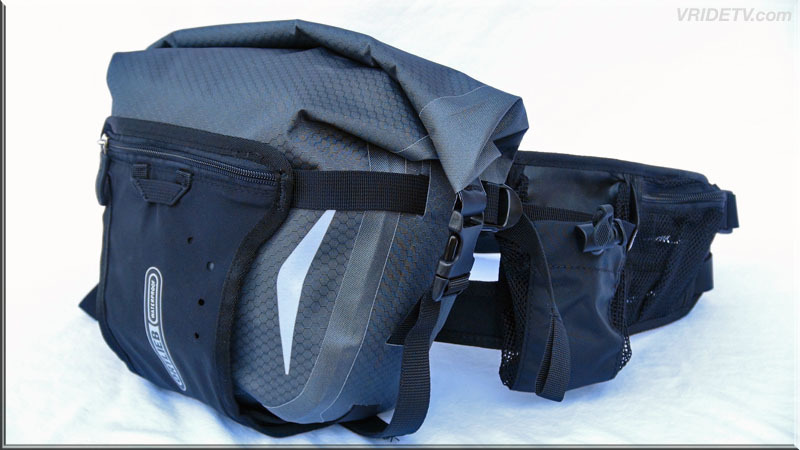 Feb 15, 2013: Ortlieb USA has sent their 3 and 5 liter Hip-Packs for the 2013 riding season. 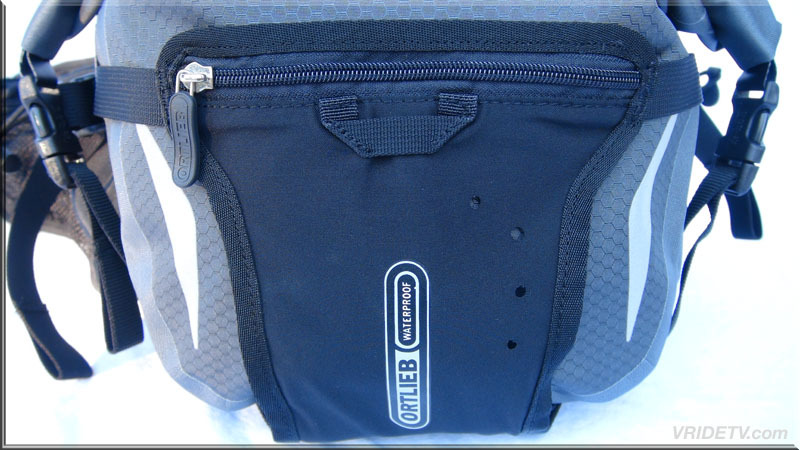 I will be doing a full review on these waterproof hip packs after we've worn them awhile. 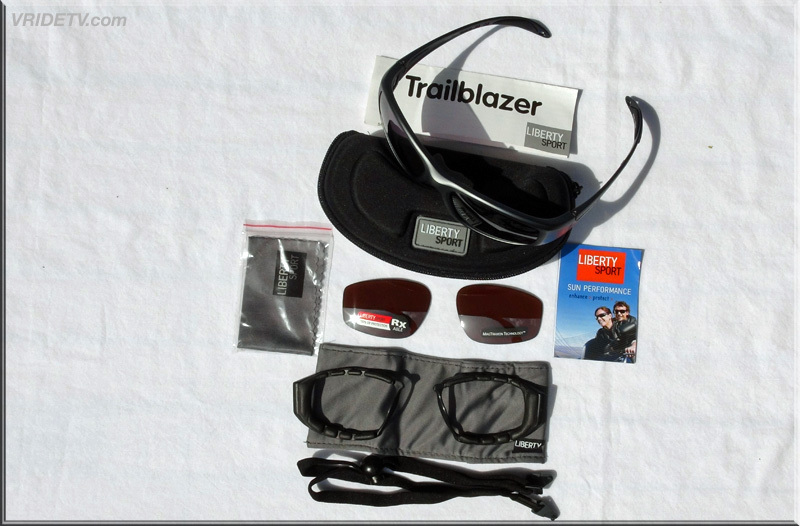 Till then, here are some of the key features. 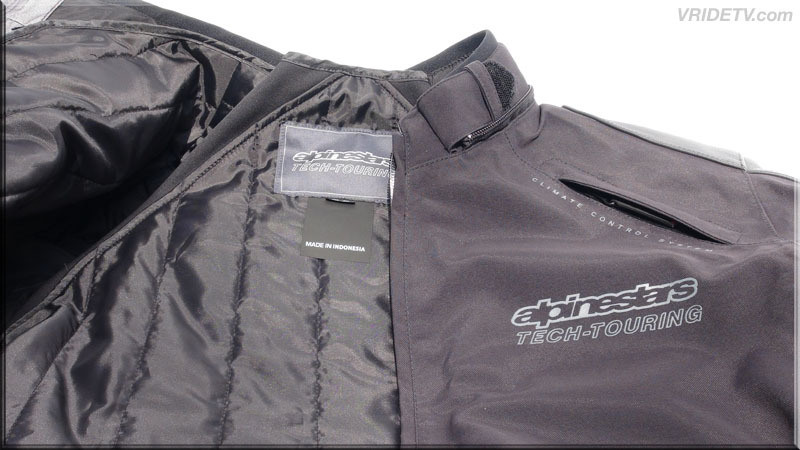 ATTENTION: outer pocket and mesh pockets are not waterproof! 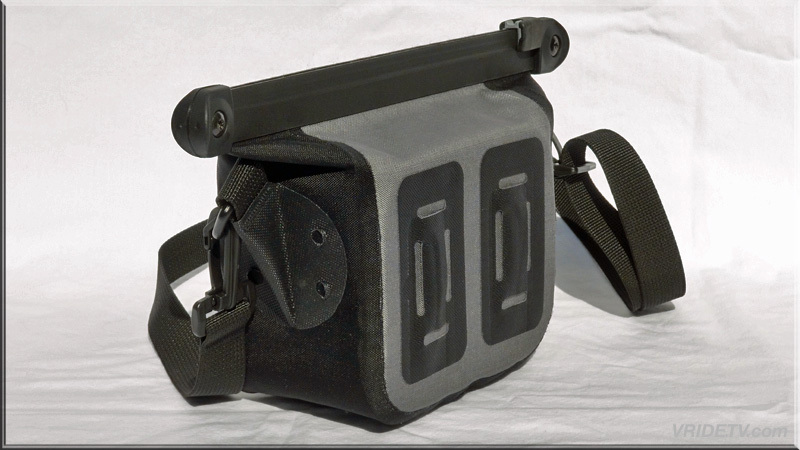 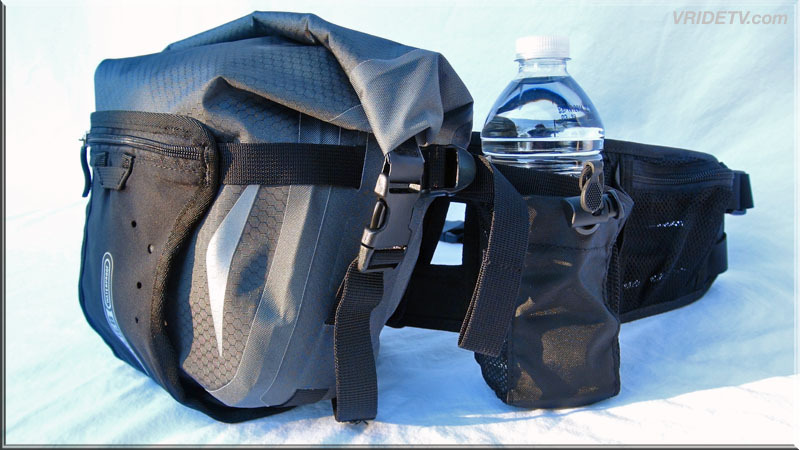 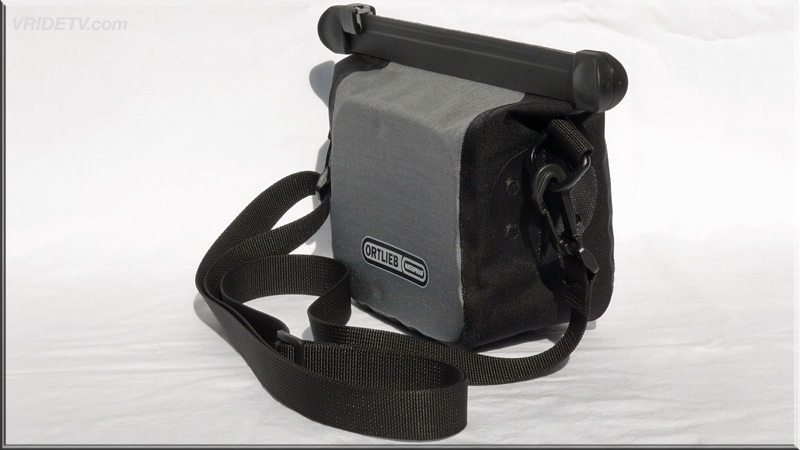 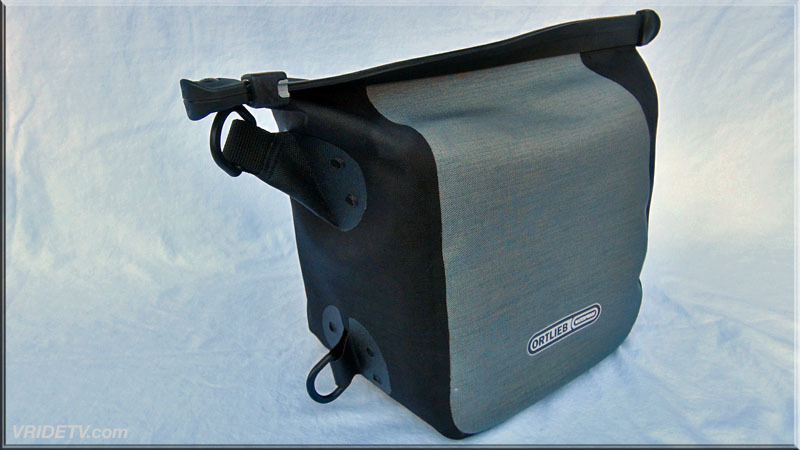 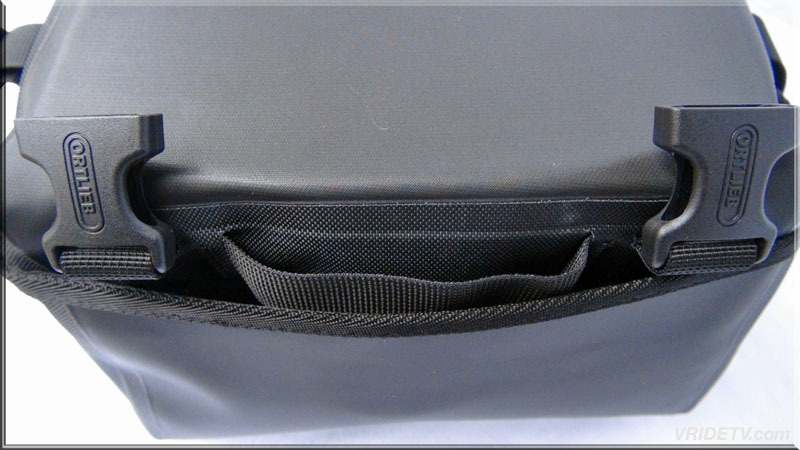 March 1st, 2013: Ortlieb USA has sent their Aqua-Cam waterproof camera bag for the 2013 riding season. 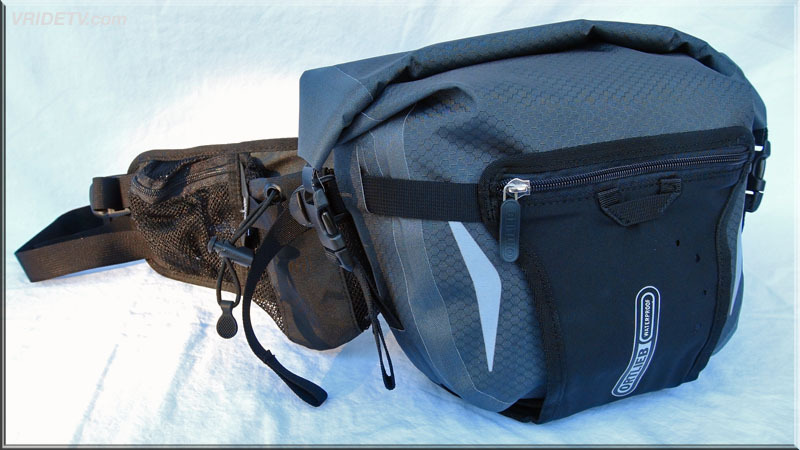 I will be doing a full review on this incredible bag after I've used it awhile. 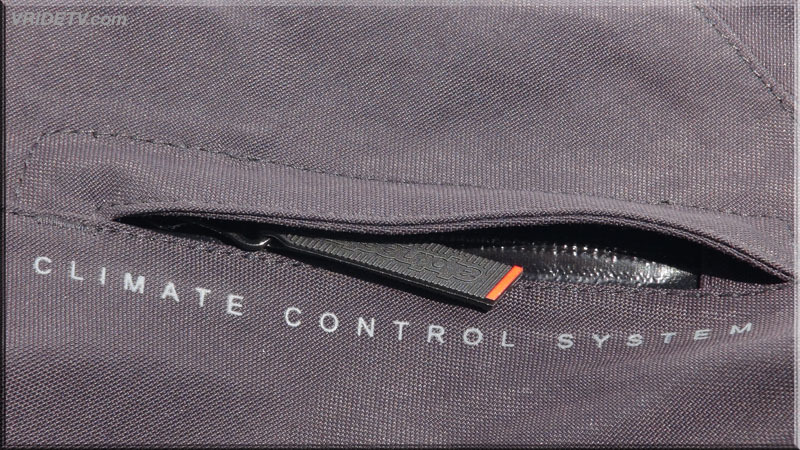 Till then, here are some of the key features. 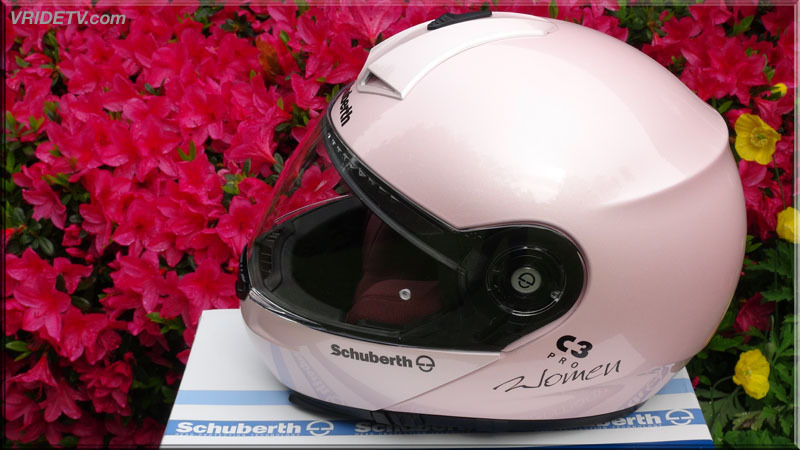 Vol 4.5Liters 275 cubic inches Weight 450g 15.7oz. 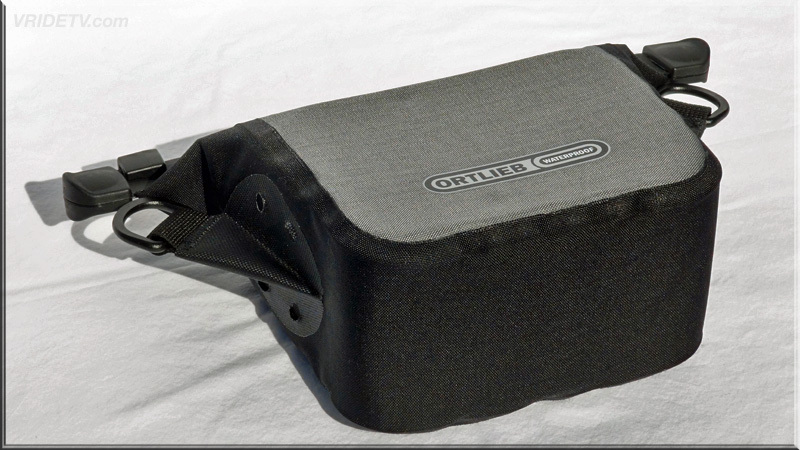 April 6, 2013: Ortlieb USA has sent their Protect waterproof camera bag for the 2013 riding season. 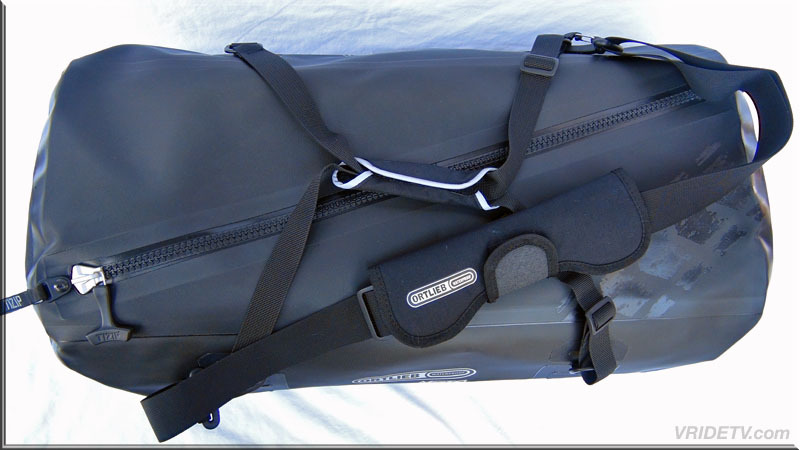 I will be doing a full review on this incredible bag after I've used it awhile. 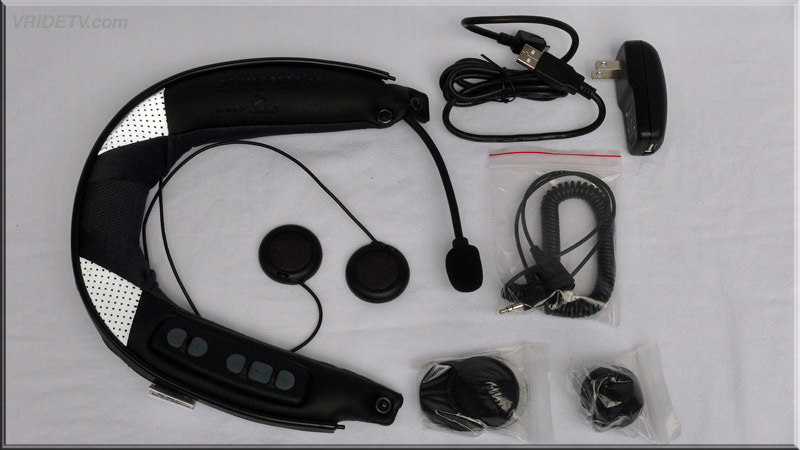 Till then, here are some of the key features. 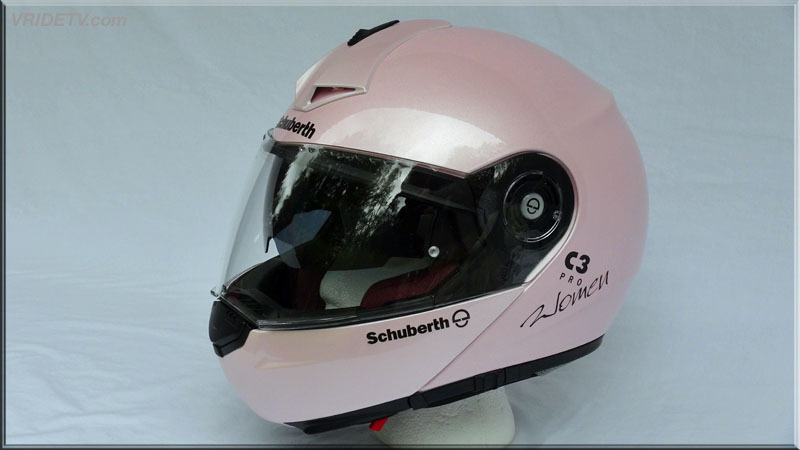 May 28, 2013: We are very proud to have Schuberth North america as our officicl helmet sponsor for the 2013 riding season. 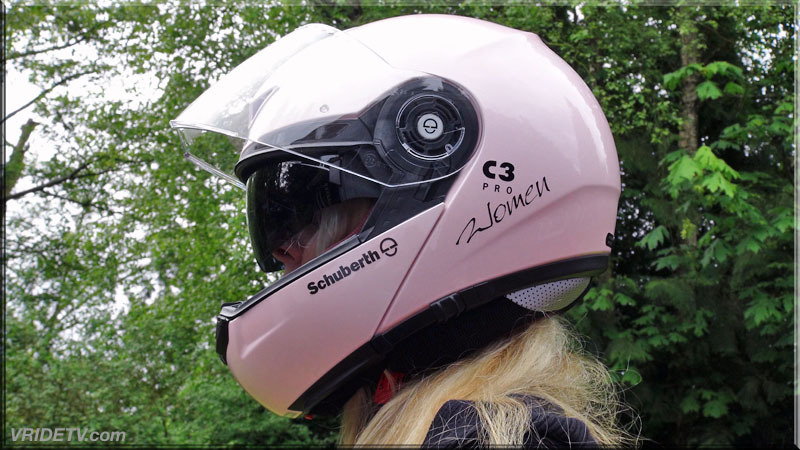 Schuberth has equipped Diane with their C3 Pro Women for this riding season. 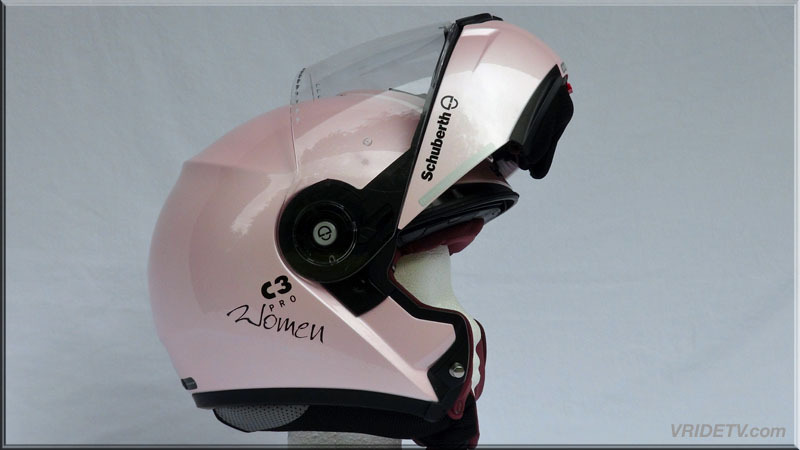 She will be doing a full review on this impressive helmet after she has worn it awhile. 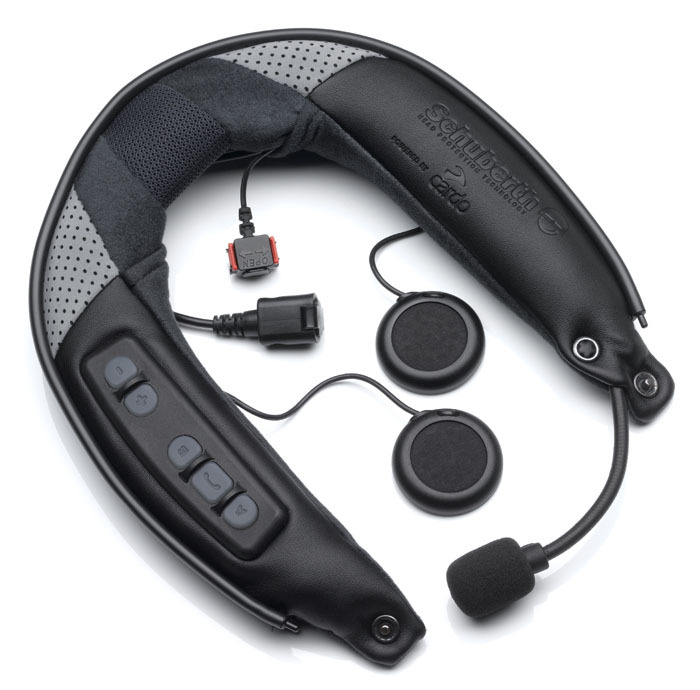 Till then, here are some of the incredible features. 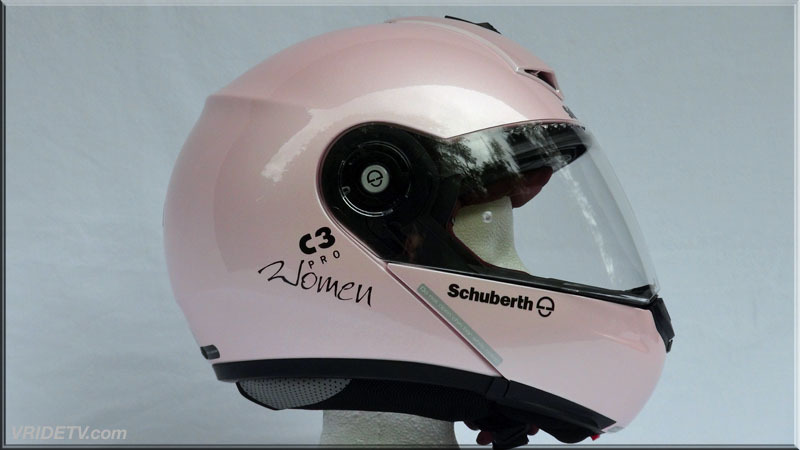 The outer shell of the C3 PRO Women is offered in two helmet shell sizes and combines an aerodynamically optimal shape with excellent protection. 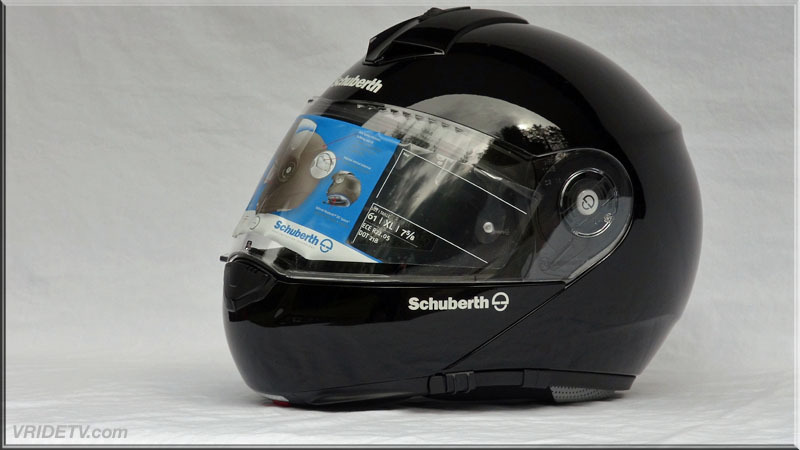 It is manufactured using Schuberth's typical compression moulding process and thus permits great stability and a low weight. 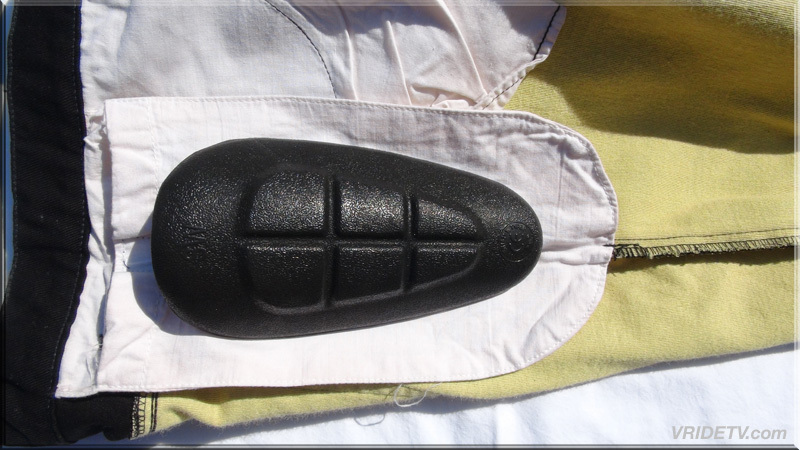 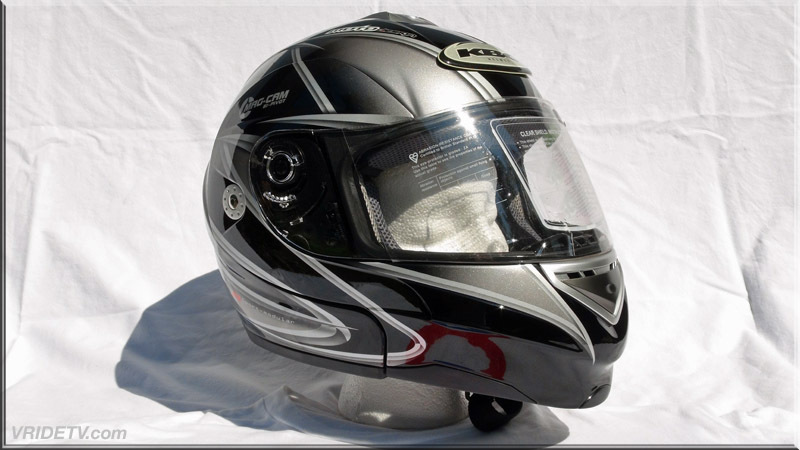 Glass Fiberwith a special resin added is compressed in a vacuum at high pressure to form a helmet shell which is exceptionally strong yet lightweight. 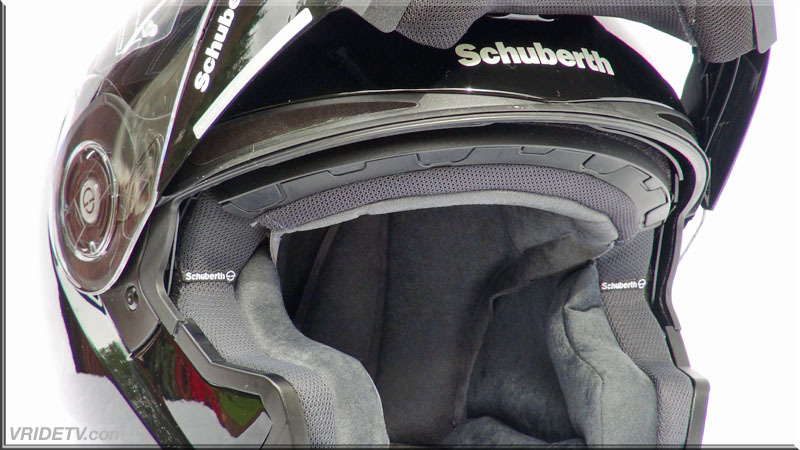 Visit Schuberth North America's website and see their full line of Head Protection. 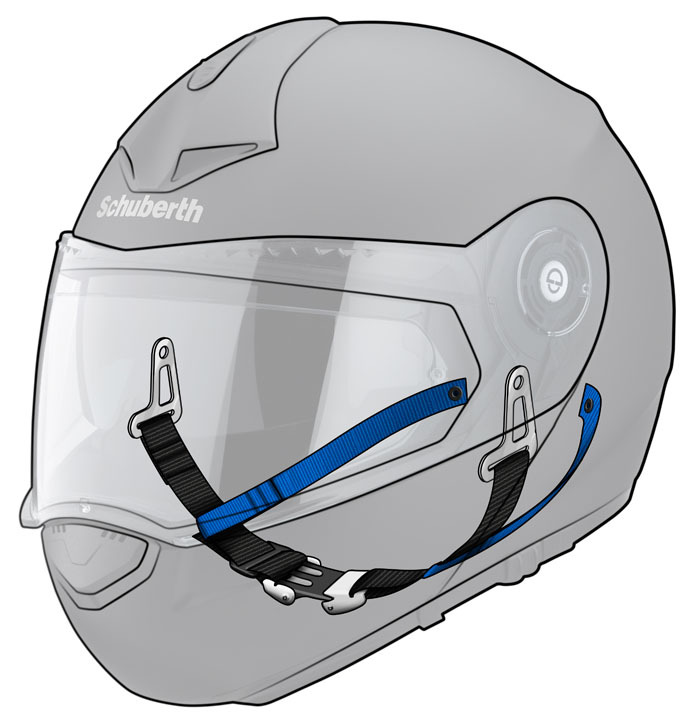 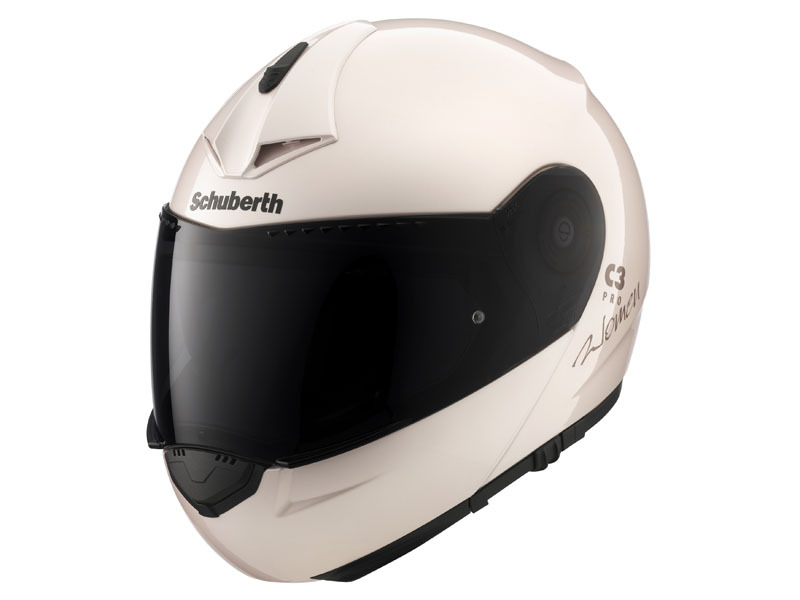 June 3, 2013: Schuberth has equipped me with their C3 Pro for this riding season. 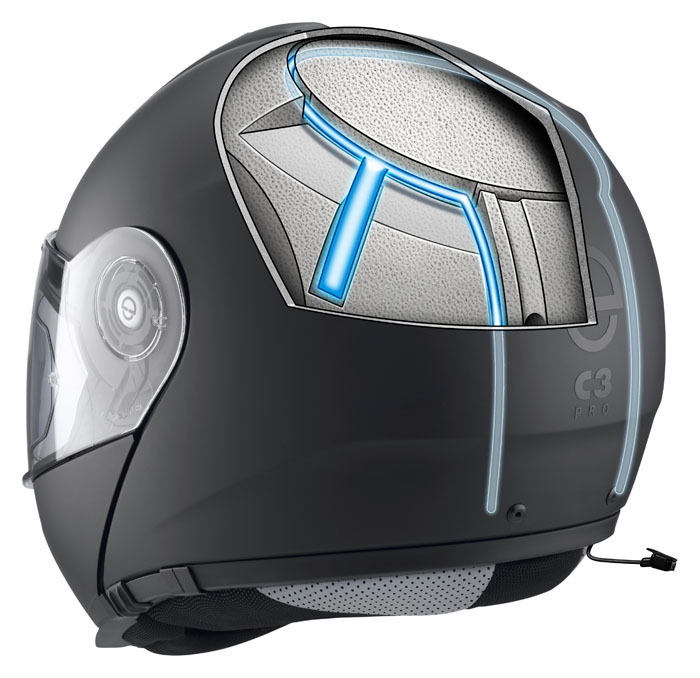 I will be doing a full review on this impressive helmet after Ive used it awhile. 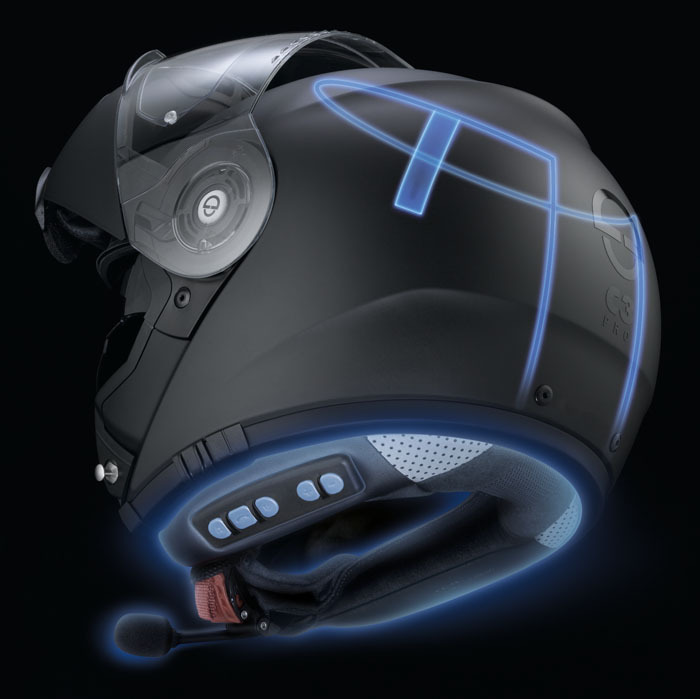 Till then, here are some of the incredible features. 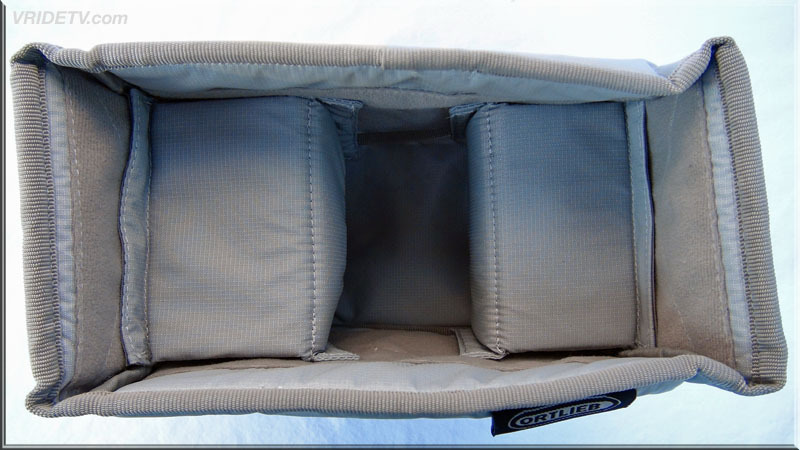 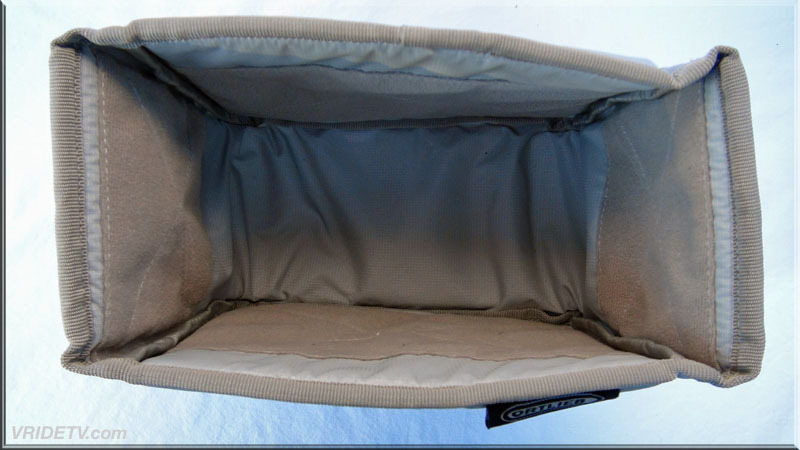 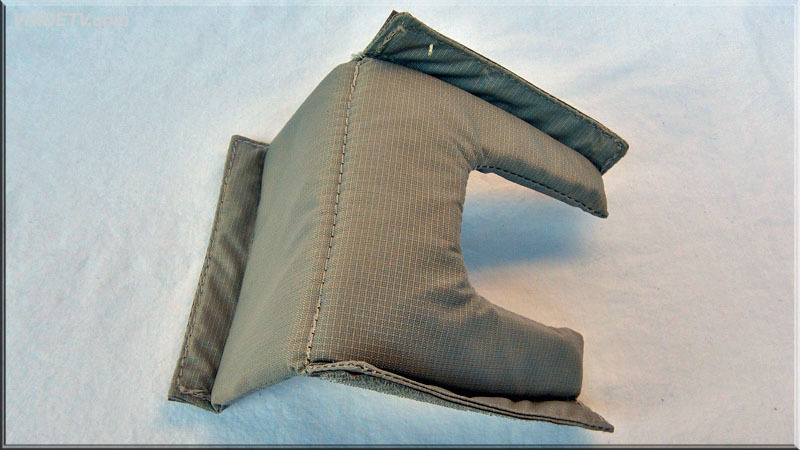 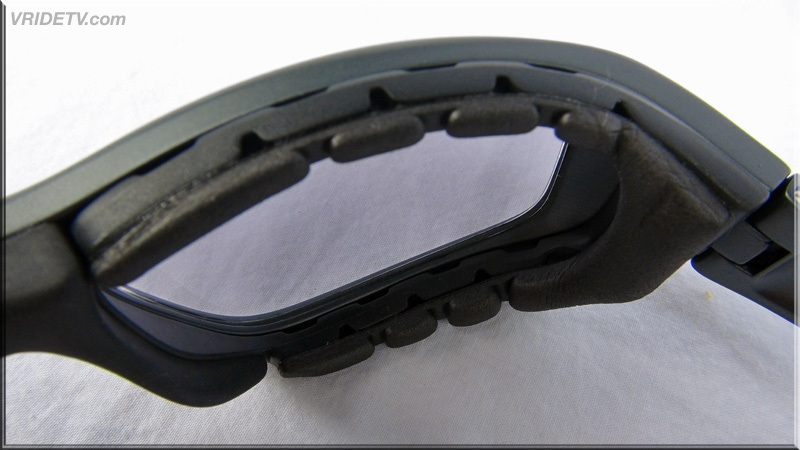 Complex multizone foaming allows optimal shock absorption. 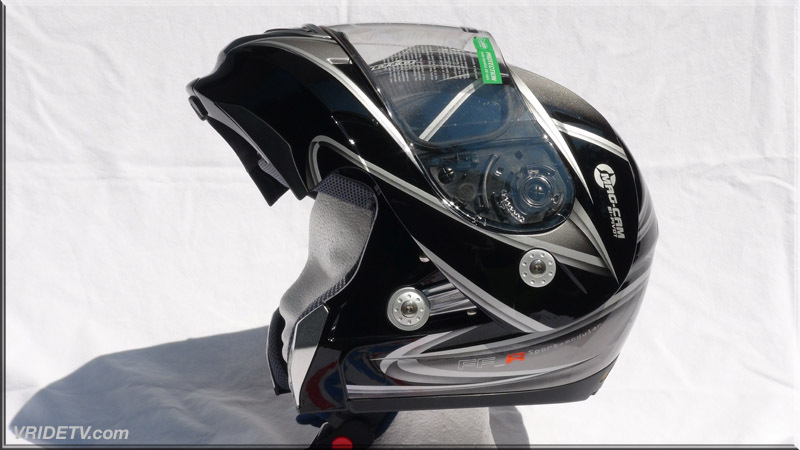 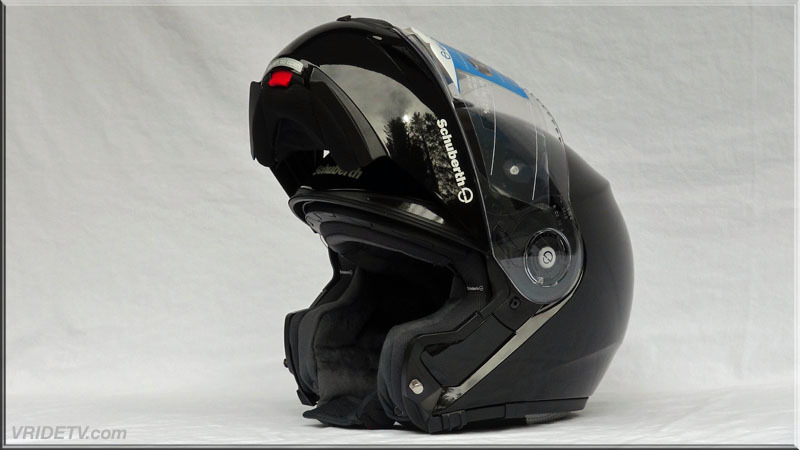 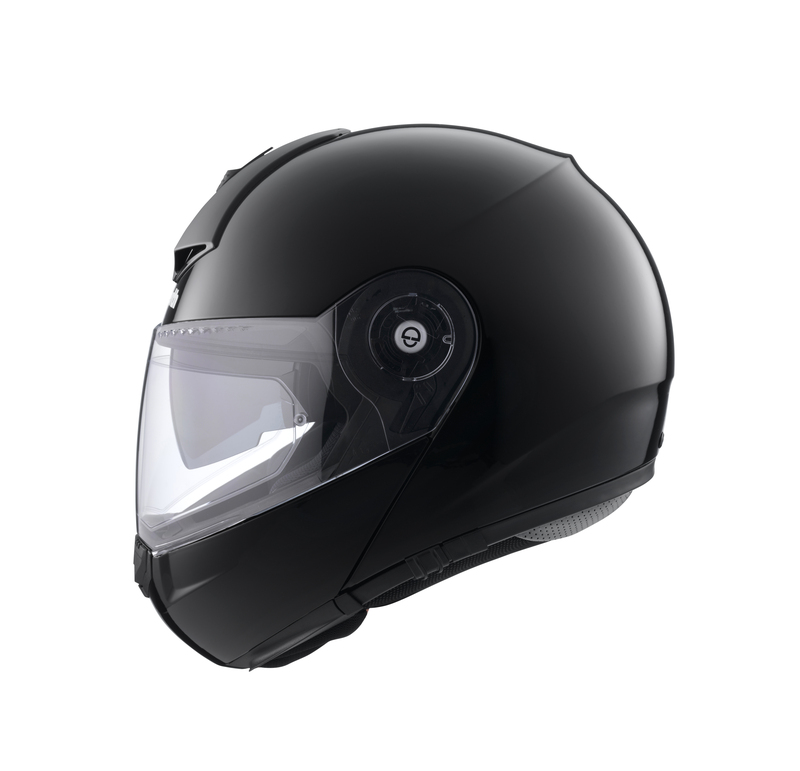 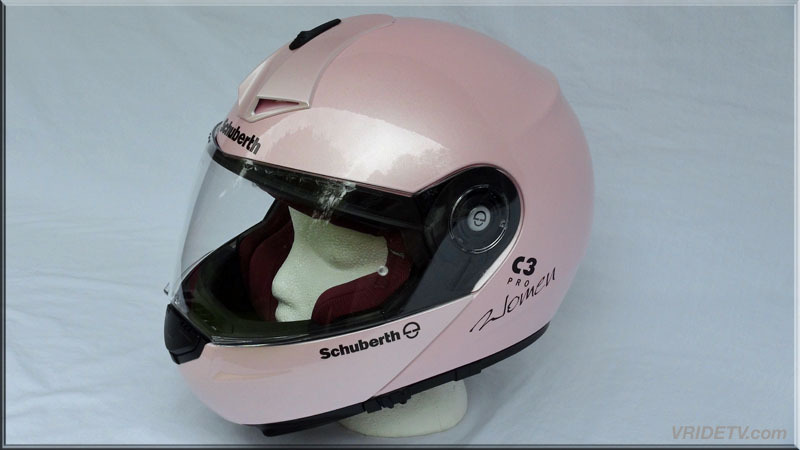 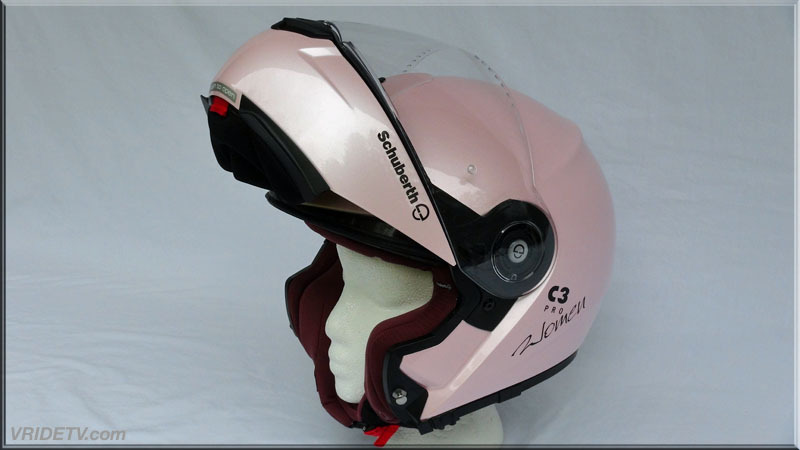 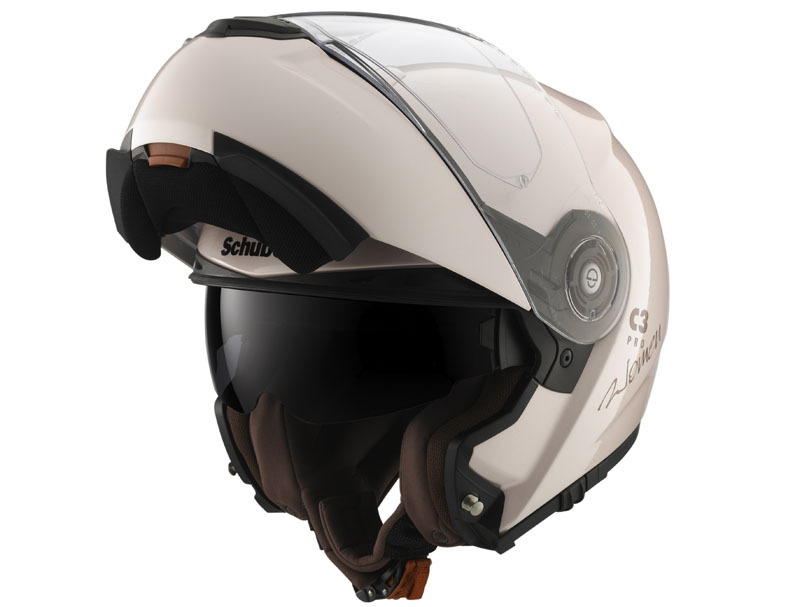 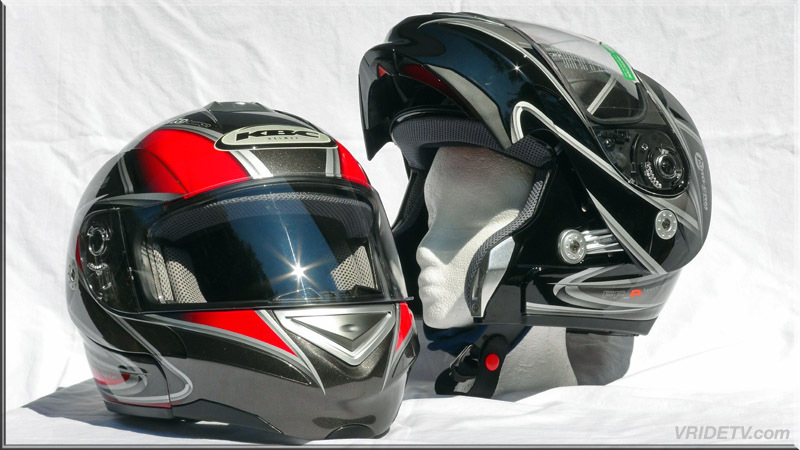 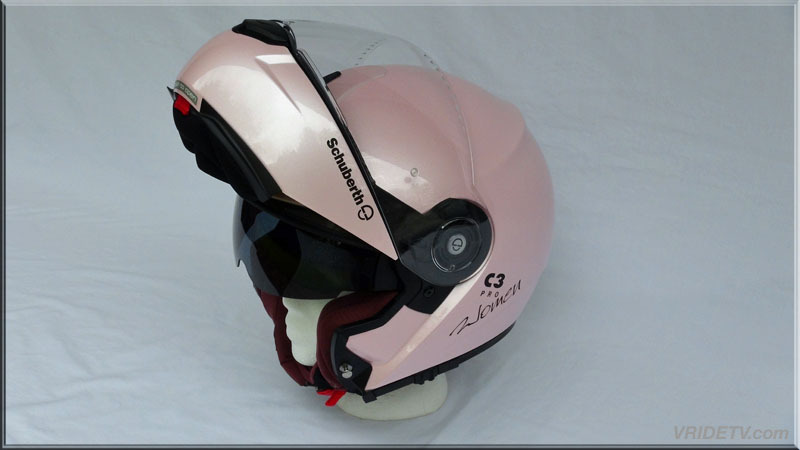 June 14, 2013: Schuberth has equipped us with the SRC System for their C3 Pro & C3 Pro Womens helmets for this riding season. 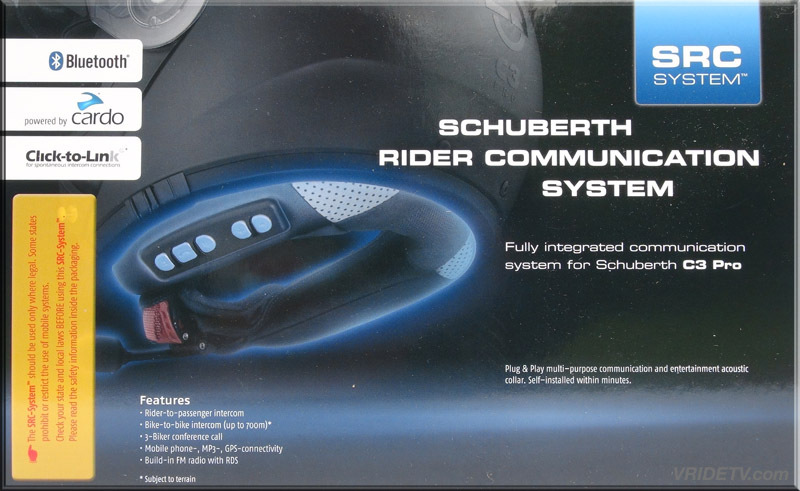 We will be doing a full review on these impressive communication system after we've used them awhile. 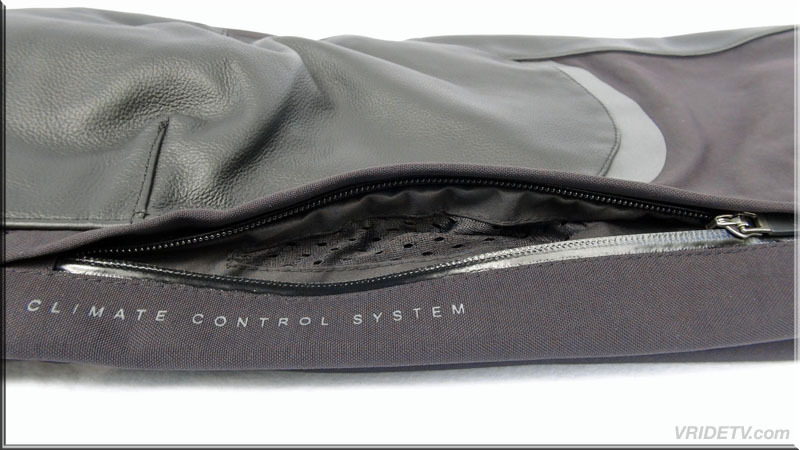 Till then, here are some of the incredible features. 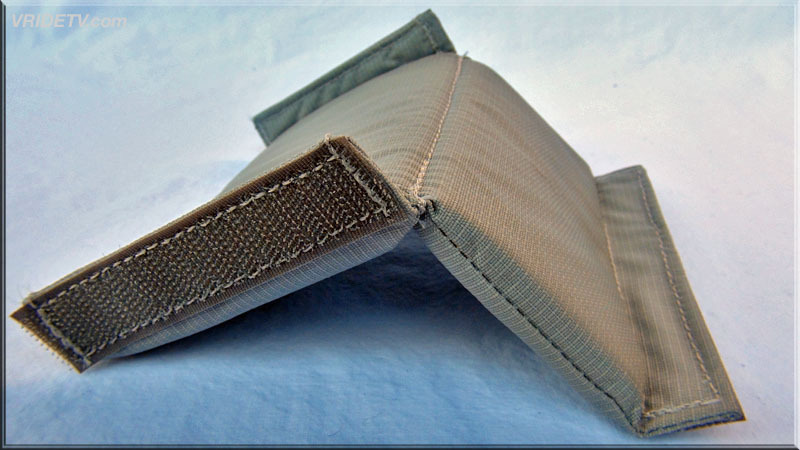 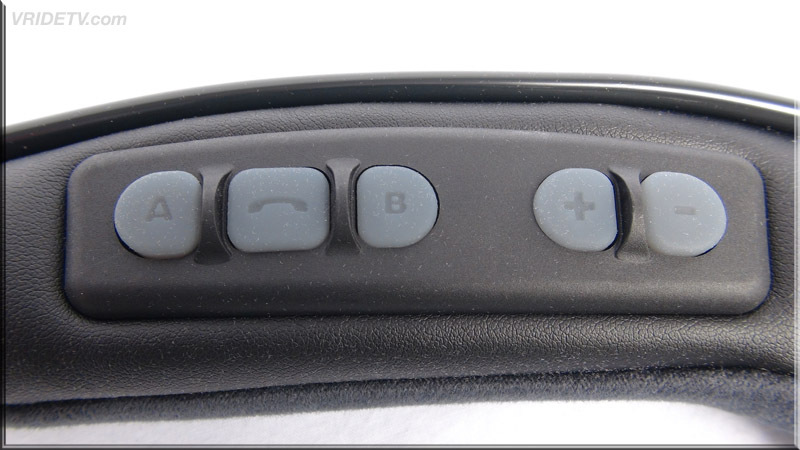 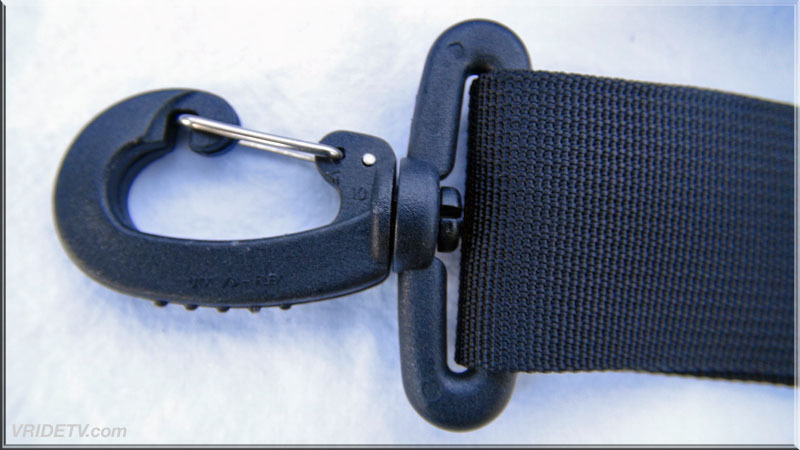 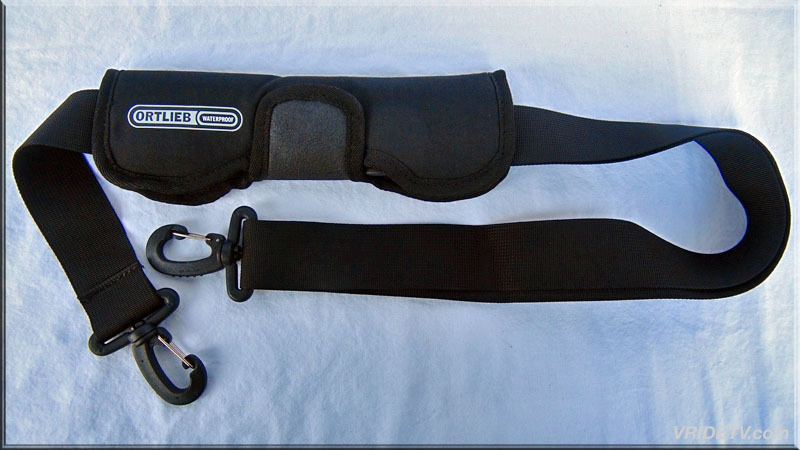 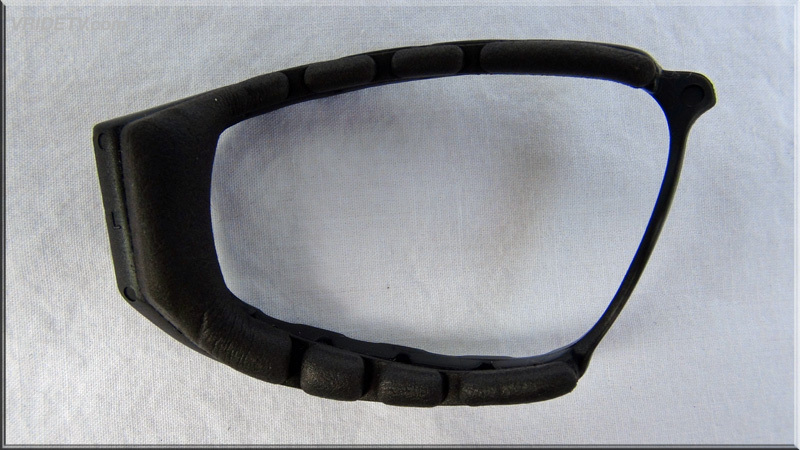 The new SRC-System™ is a communication system which is integrated into the acoustic collar. 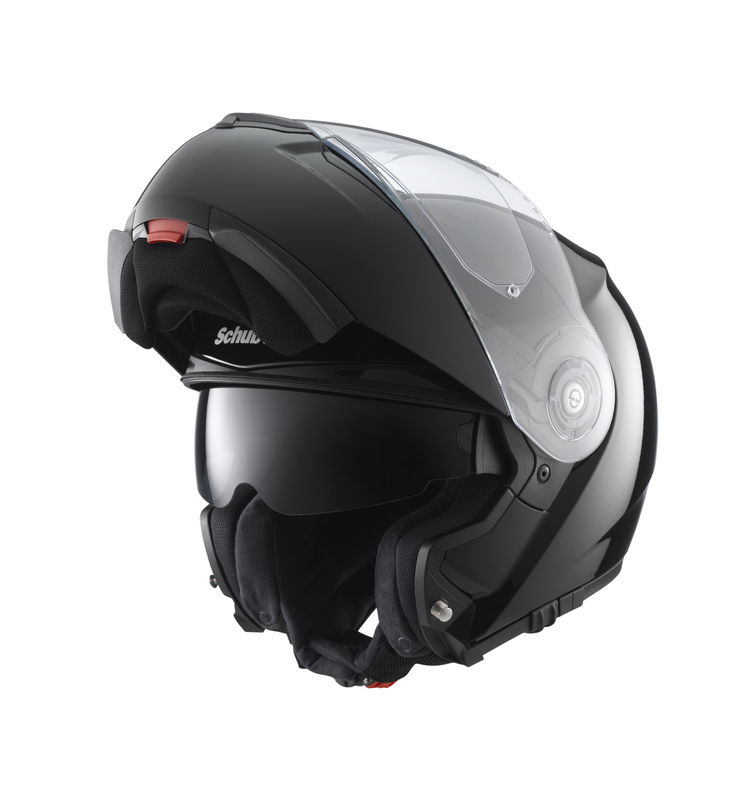 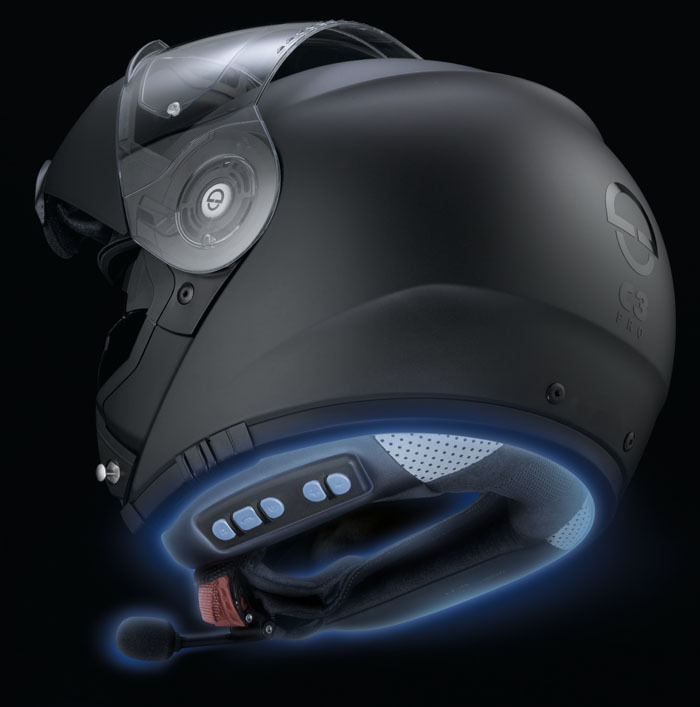 You can install it in your helmet in just a few minutes according to the plug & play principle, and it is connected to the antenna integrated into the C3 PRO as a standard feature. 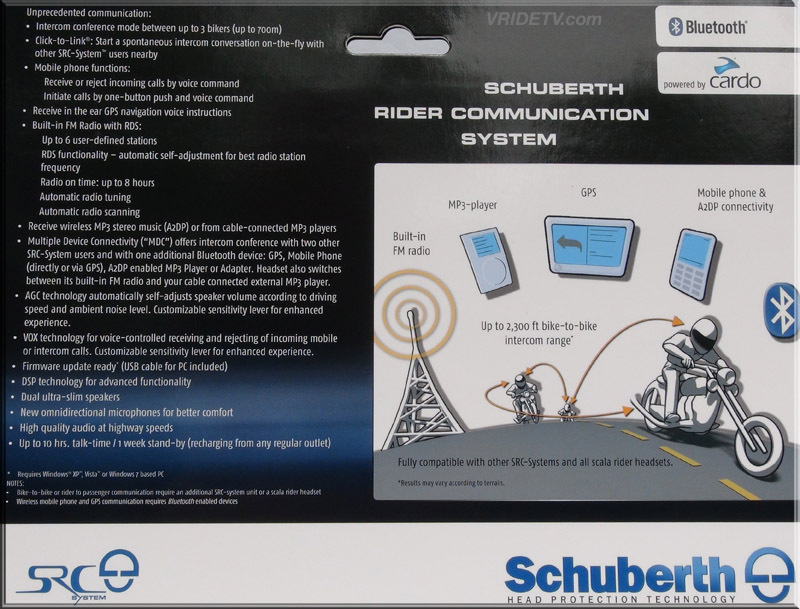 Up to three motorcyclists can communicate simultaneously with the SRC-System™. 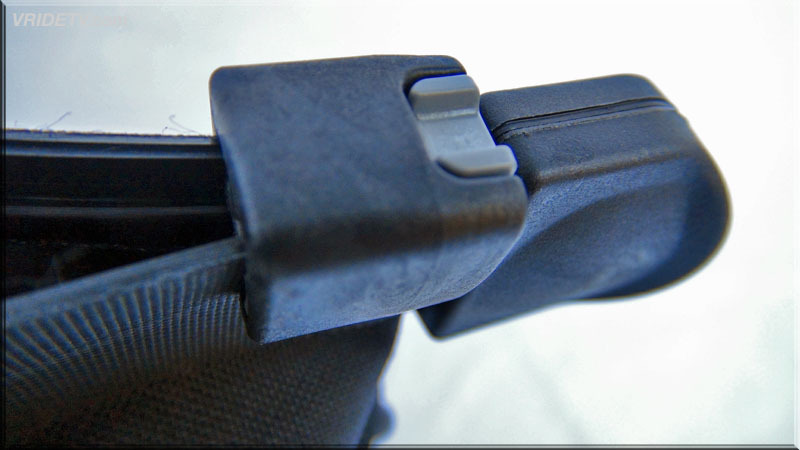 Under ideal conditions the range is up to 700 meters (1/2 mile).